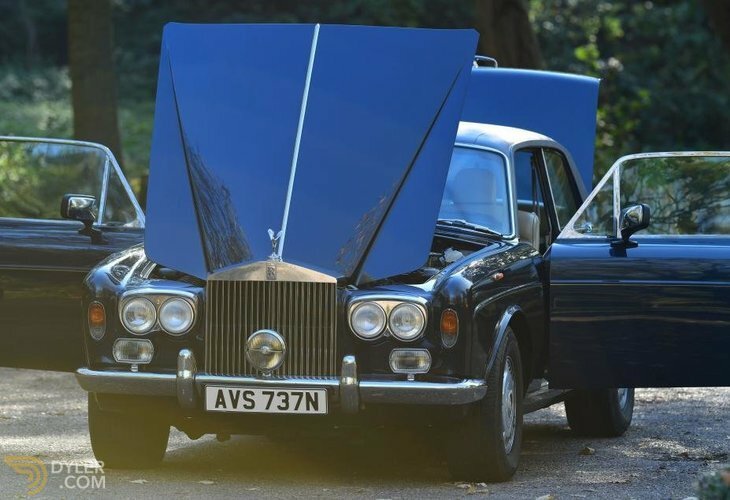 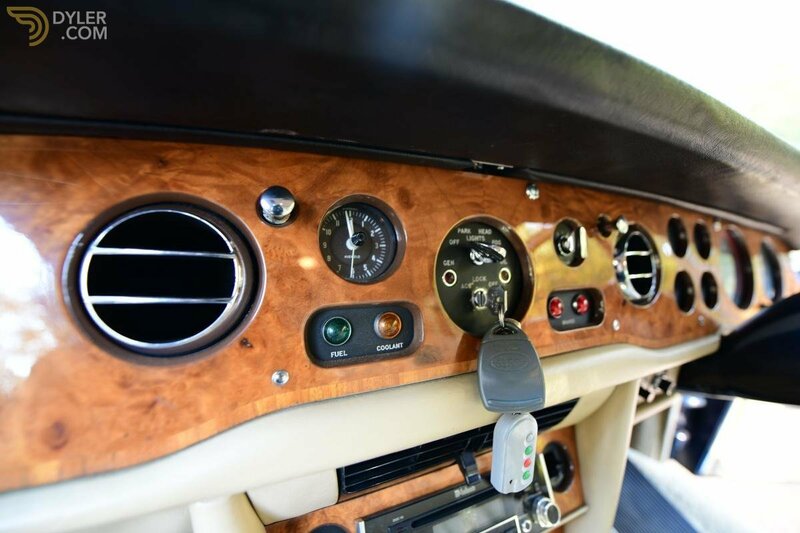 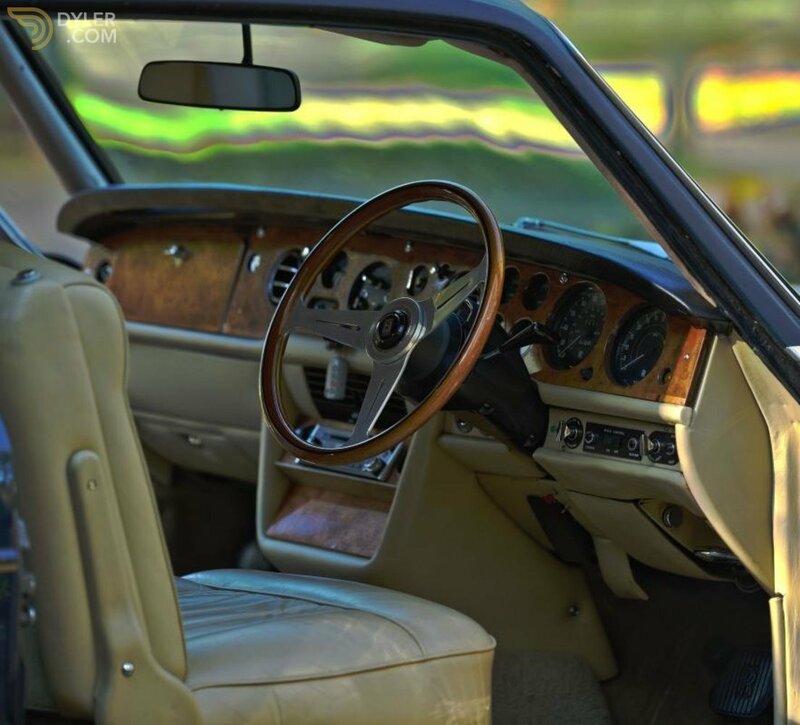 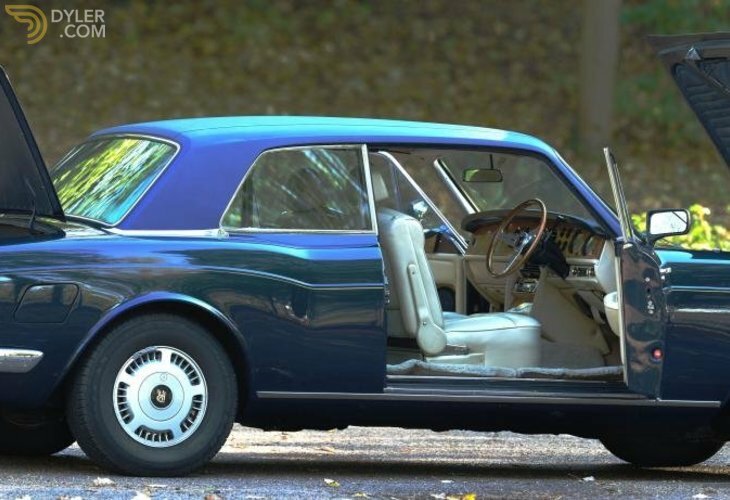 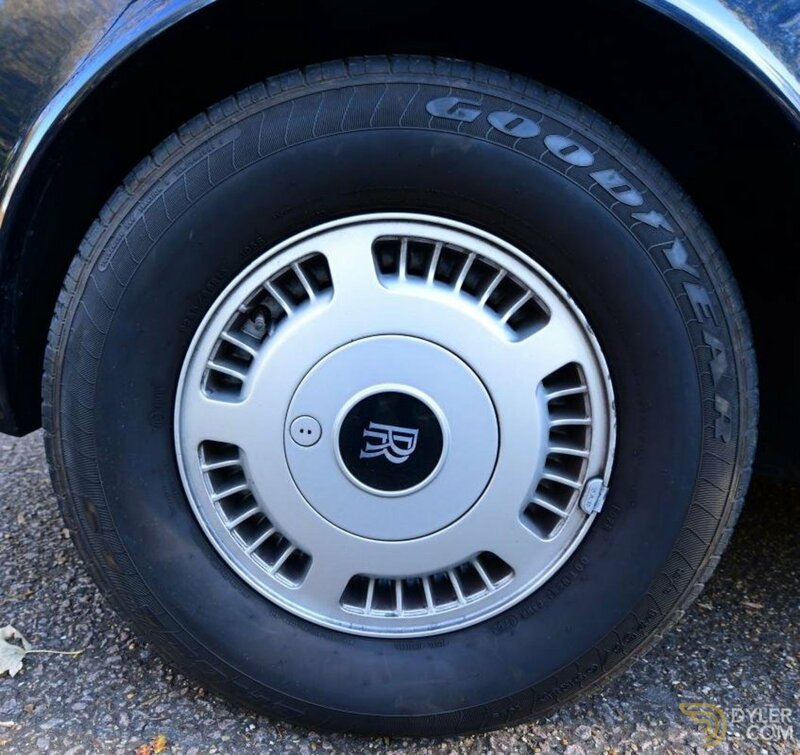 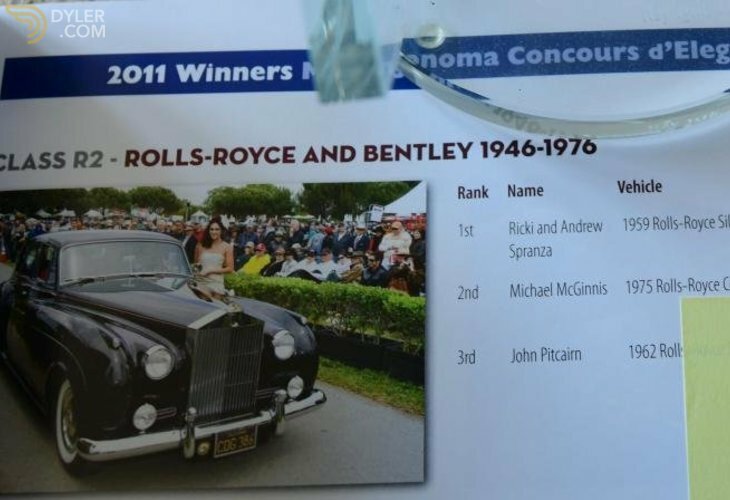 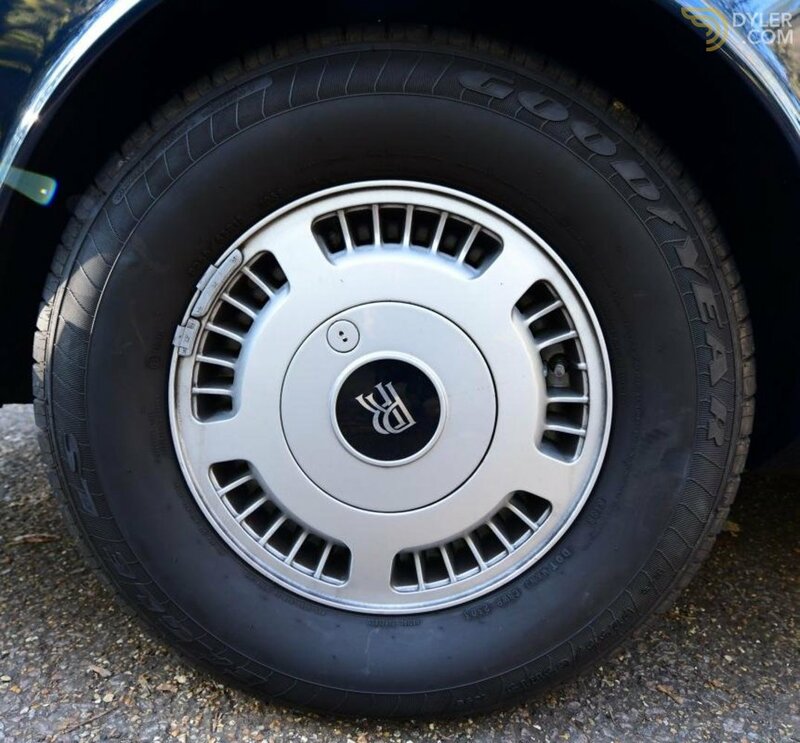 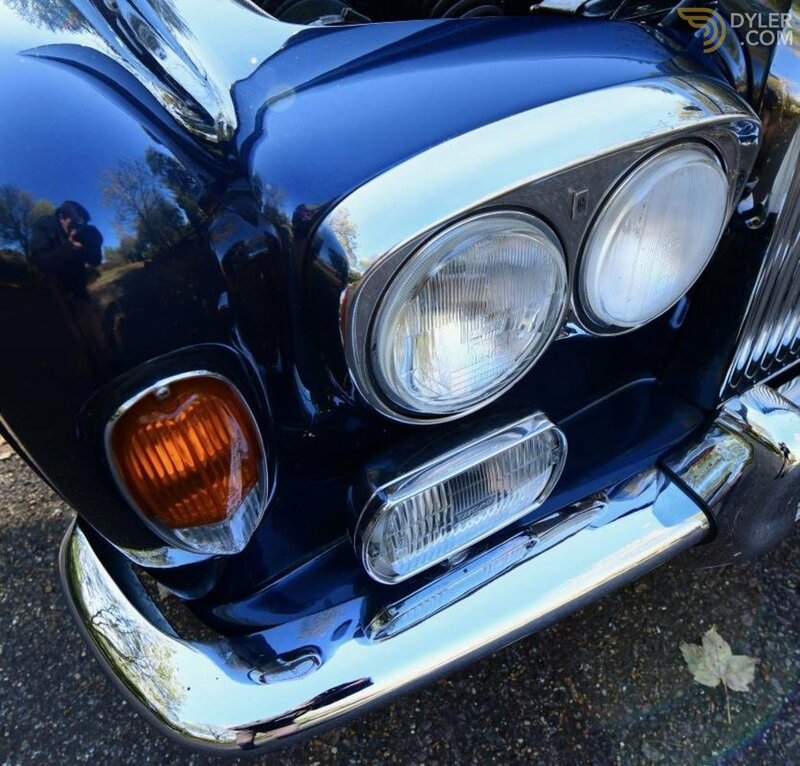 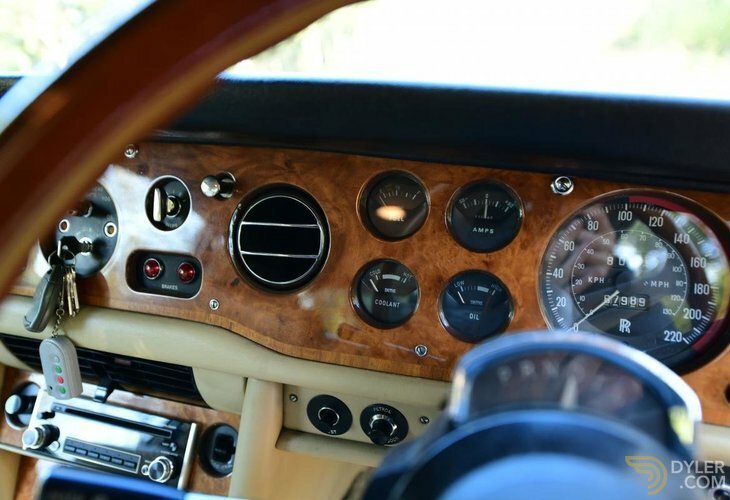 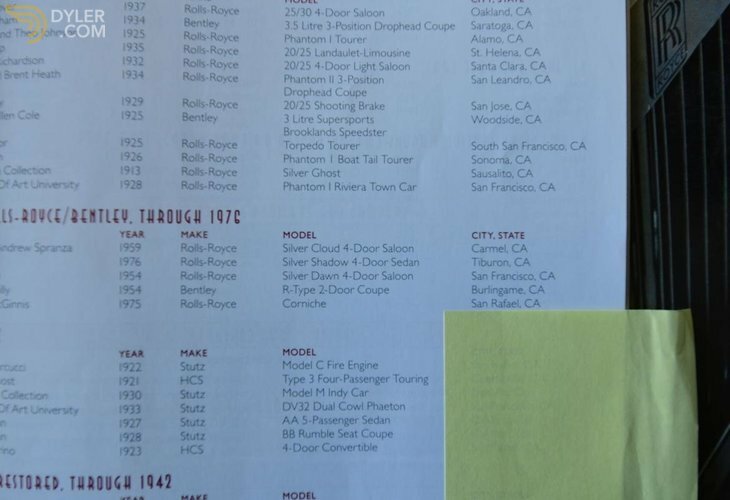 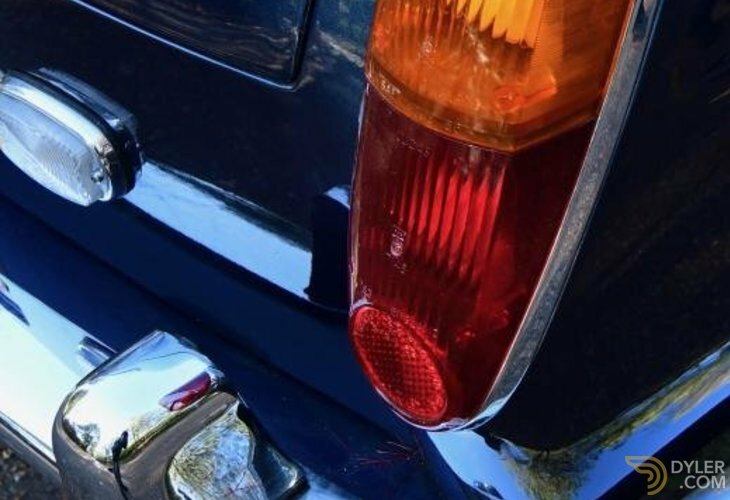 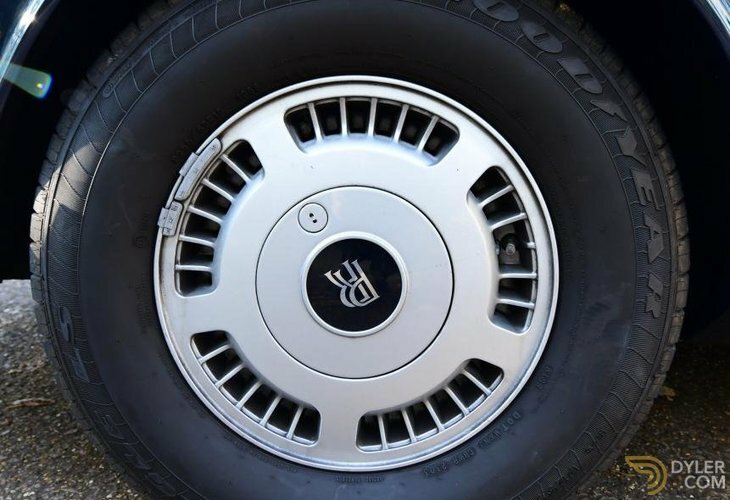 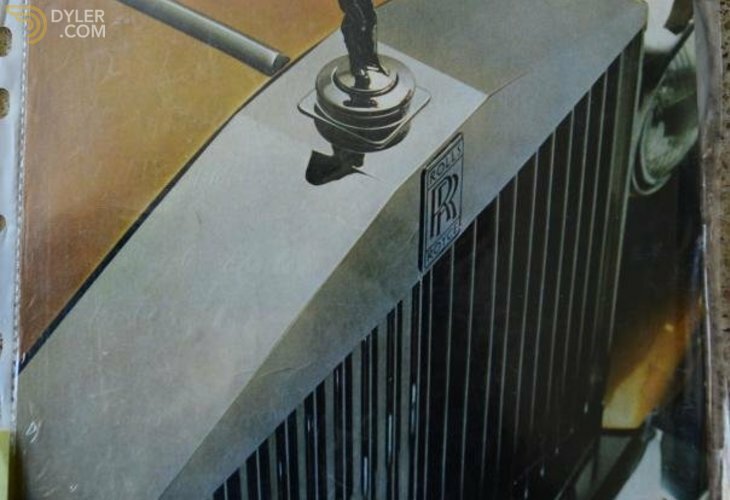 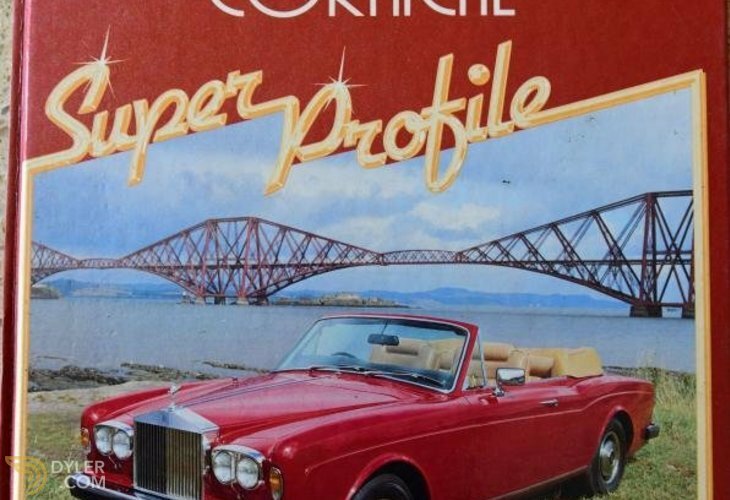 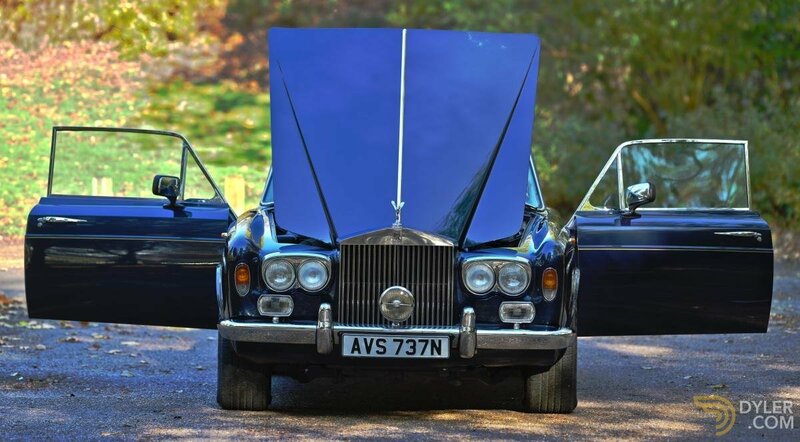 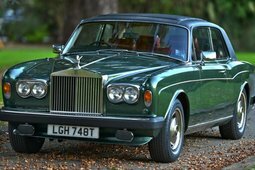 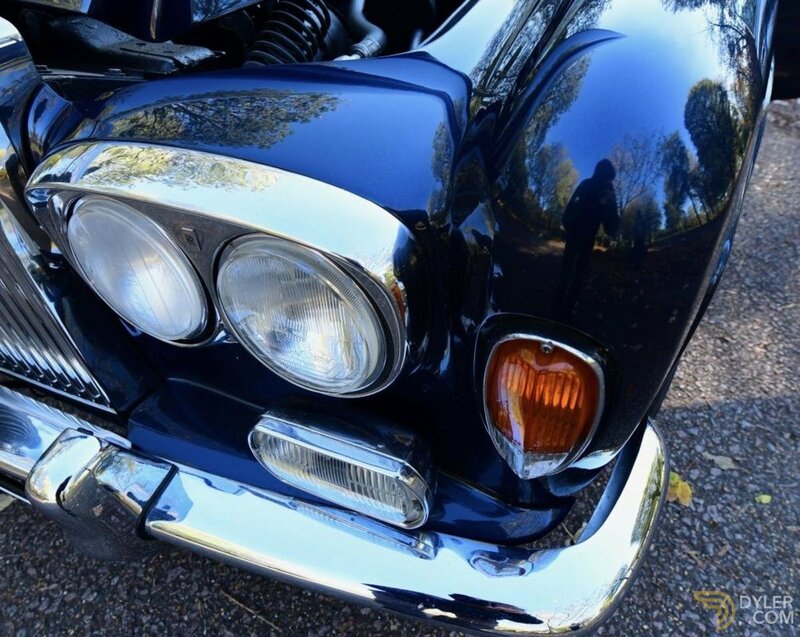 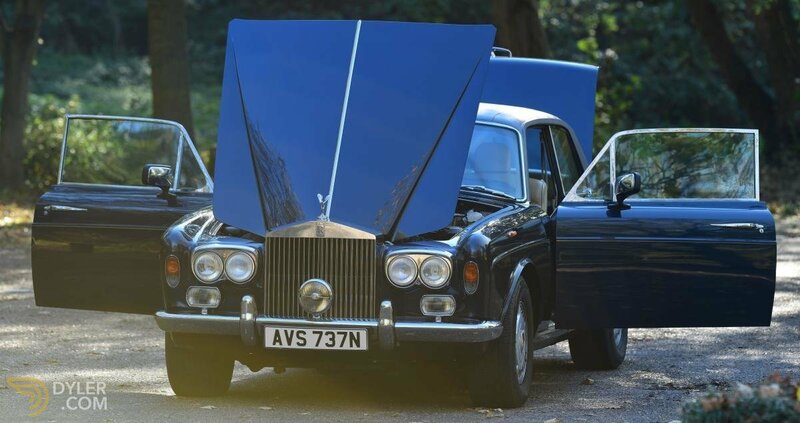 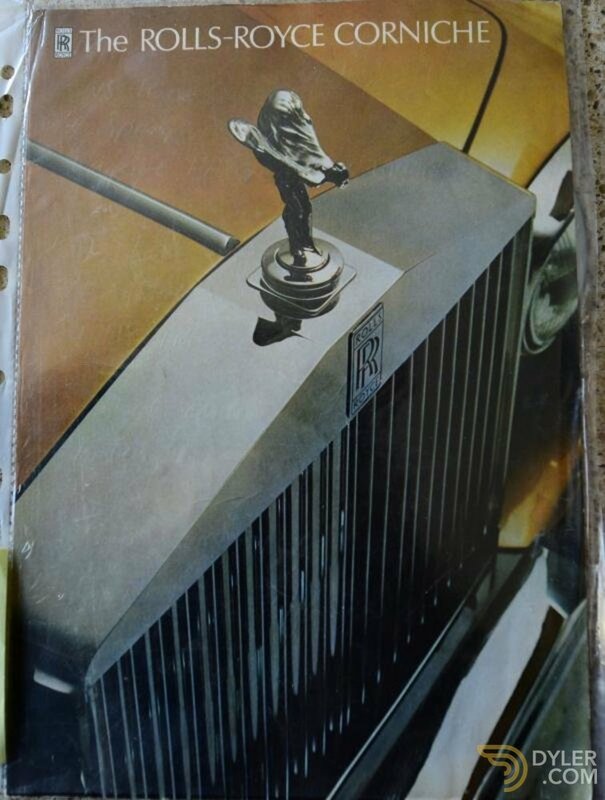 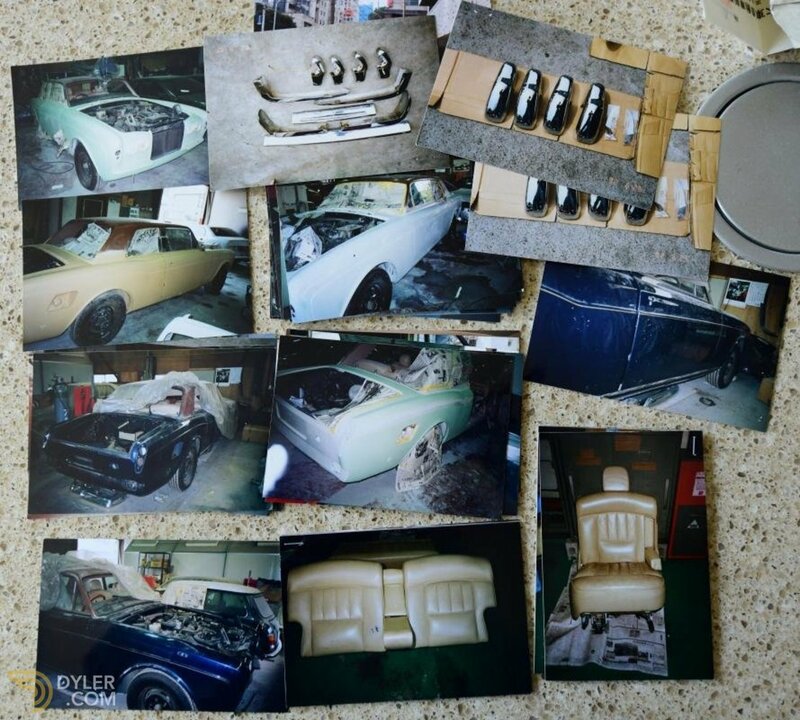 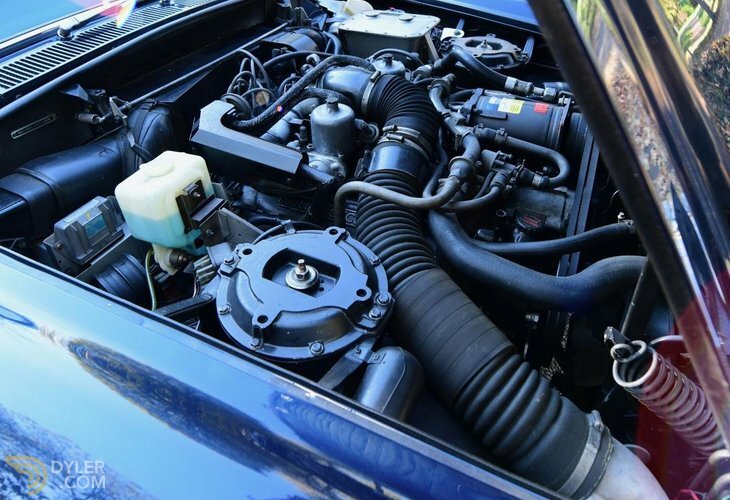 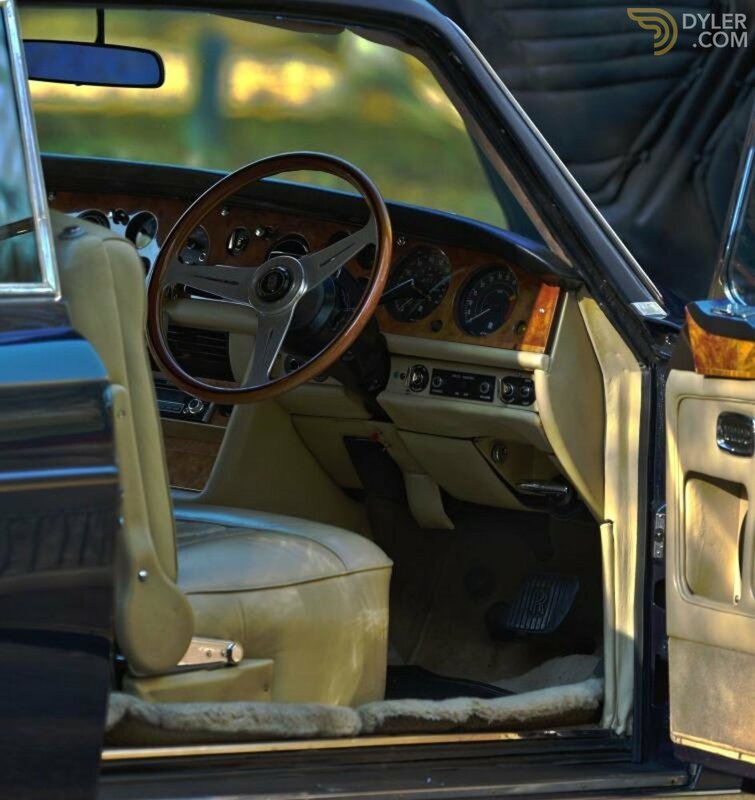 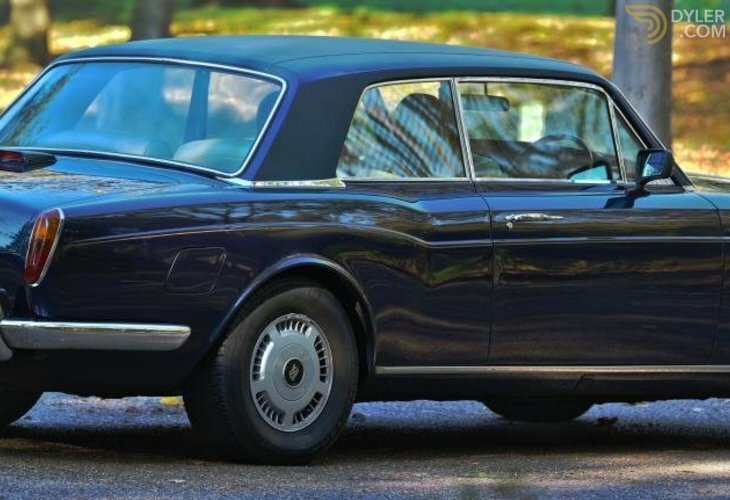 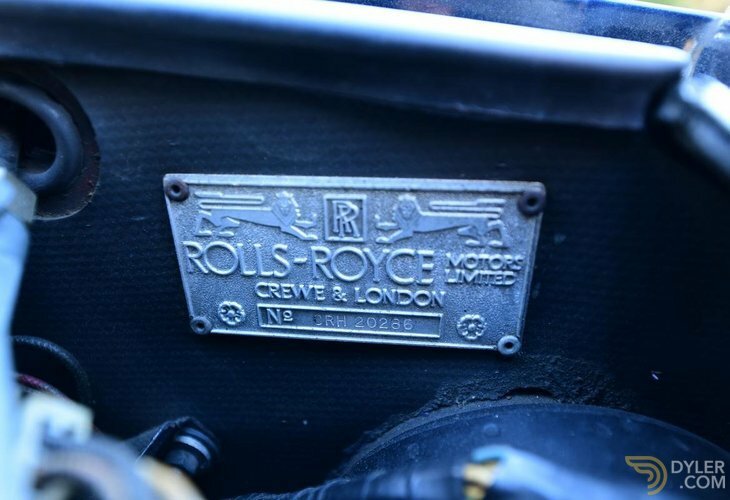 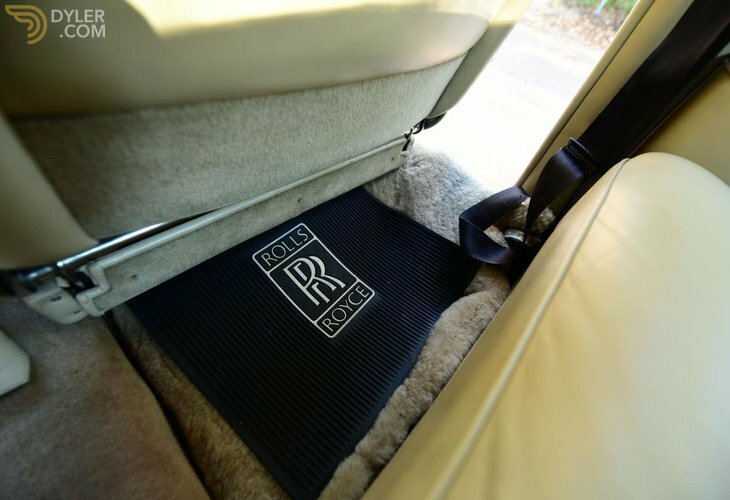 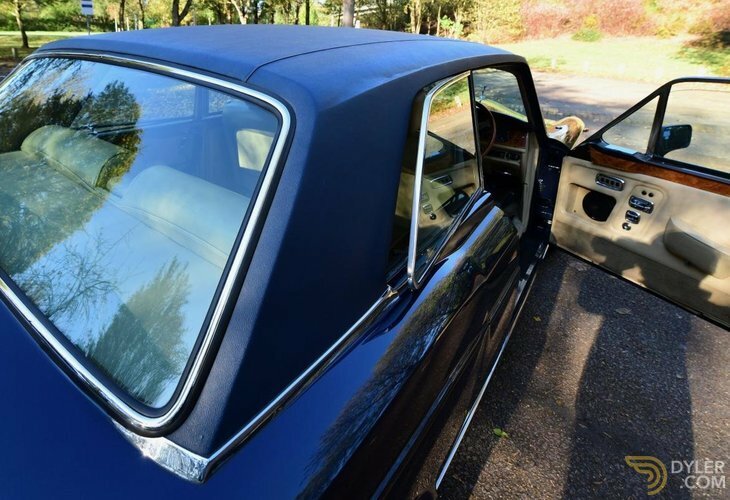 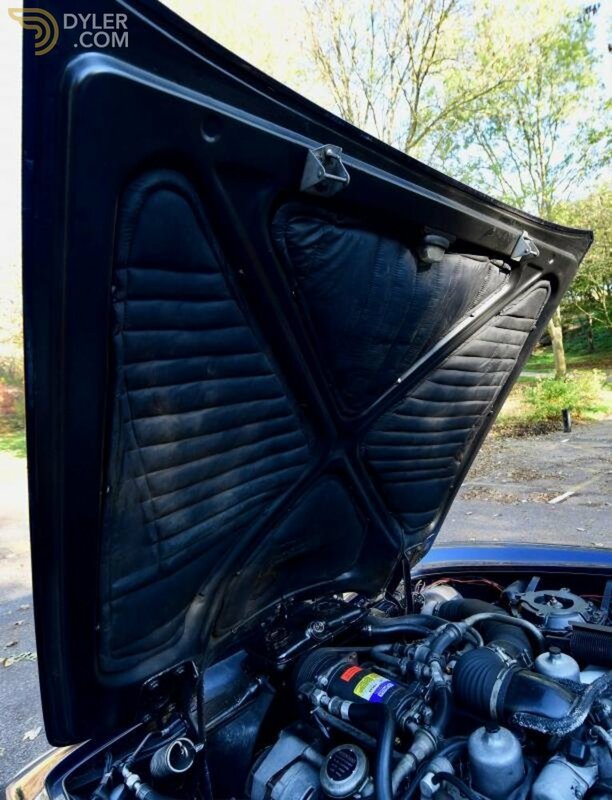 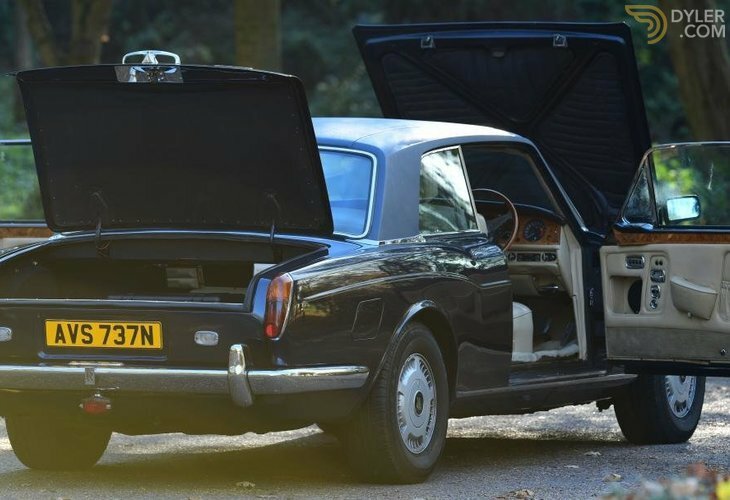 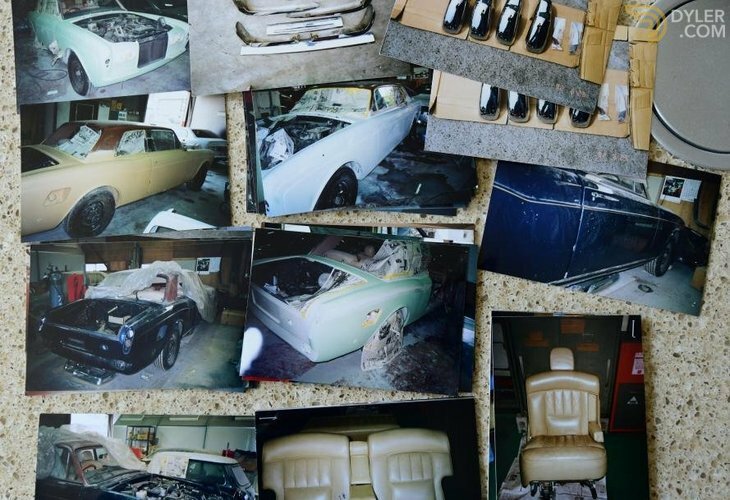 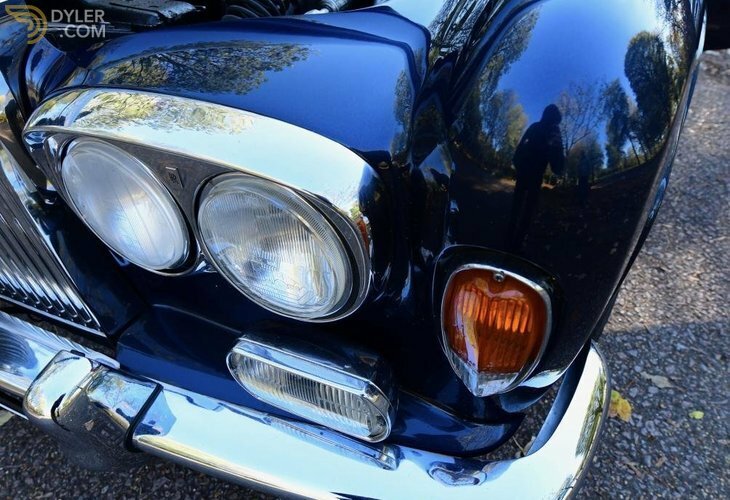 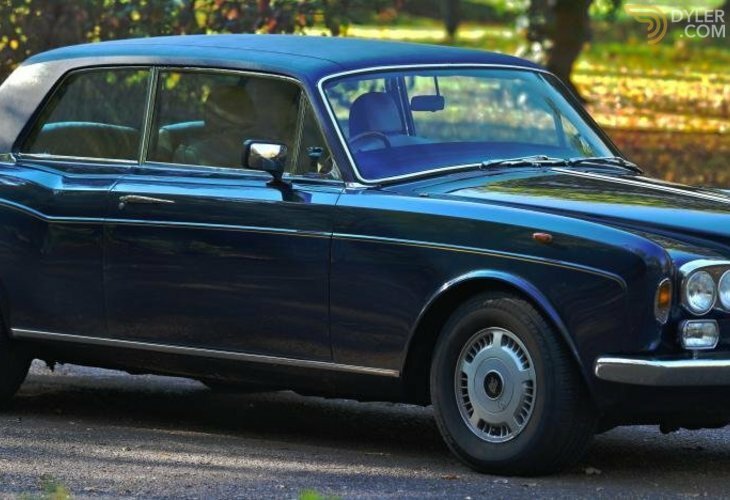 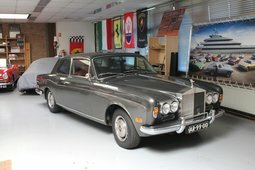 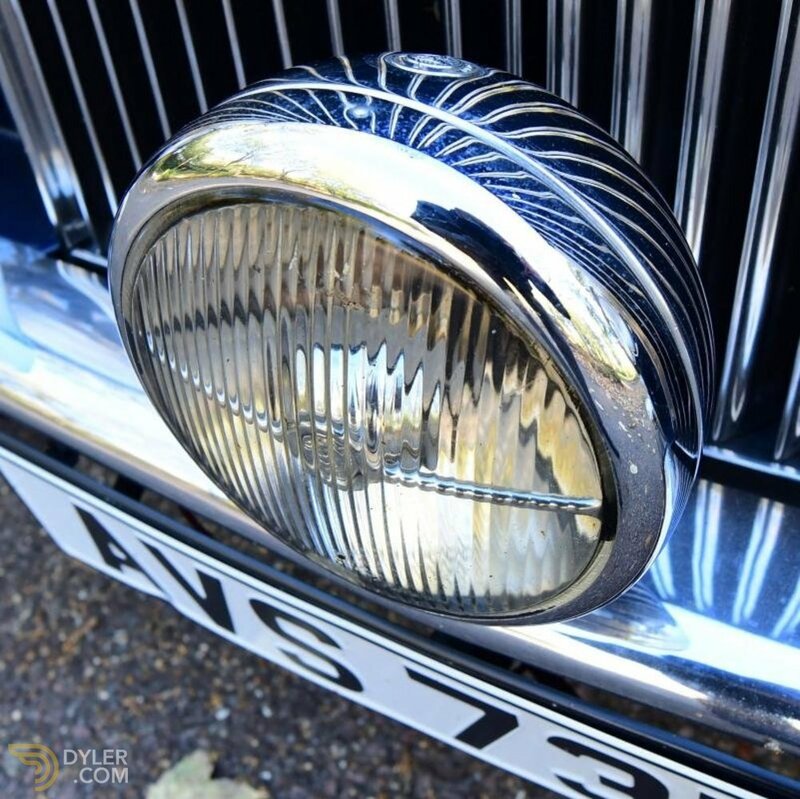 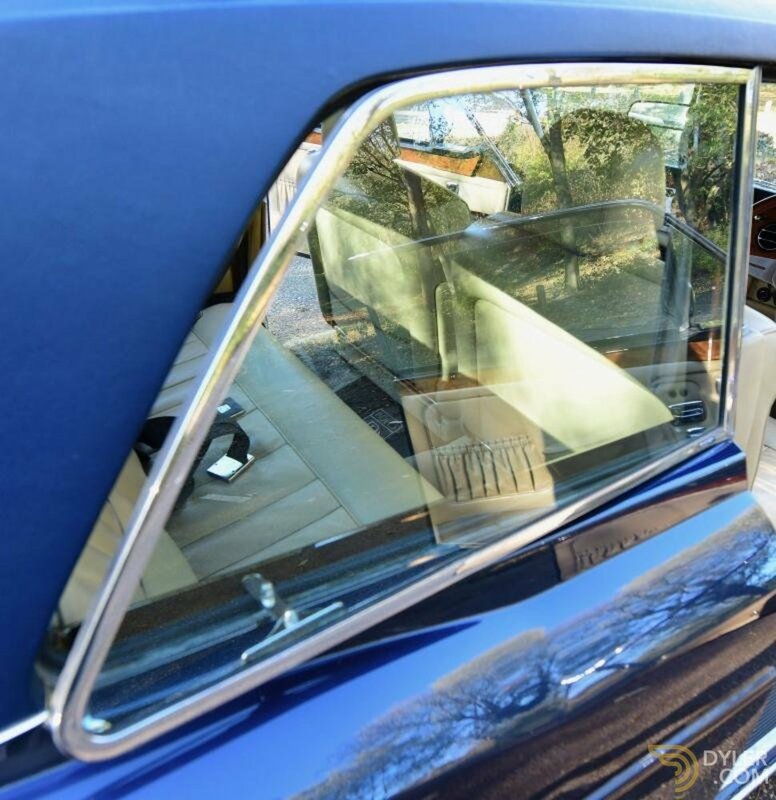 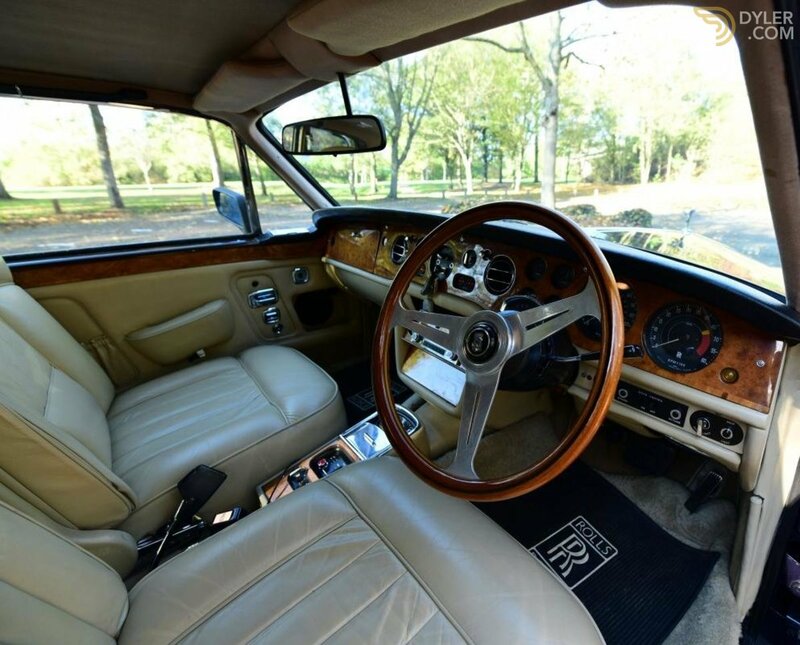 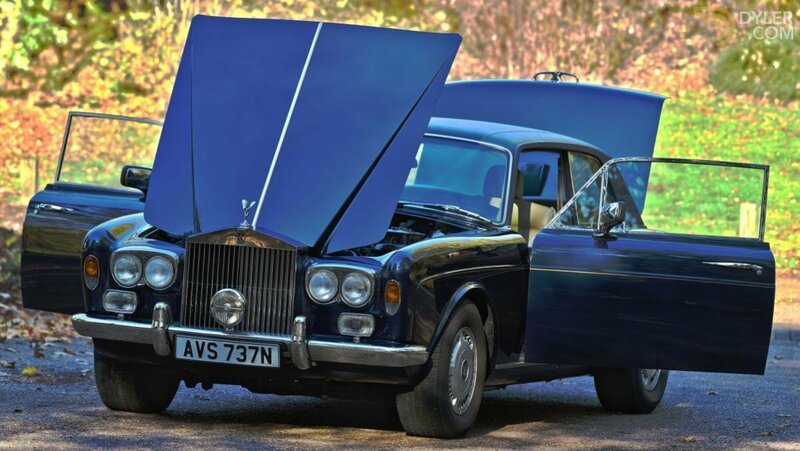 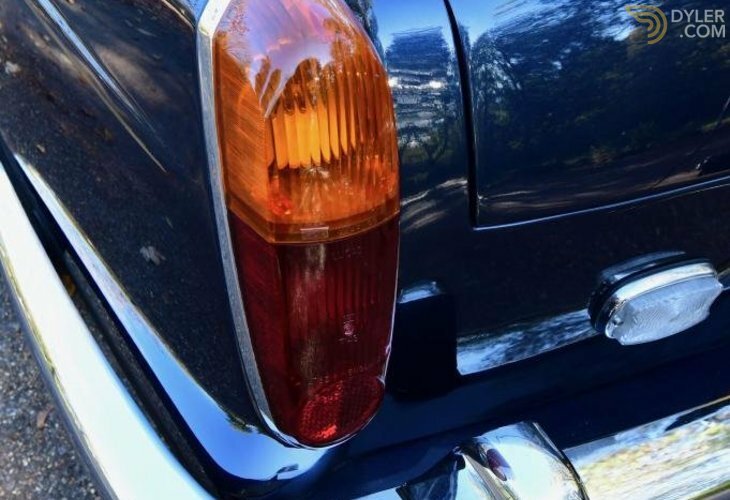 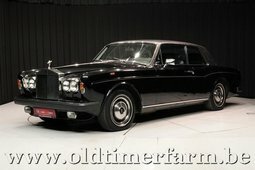 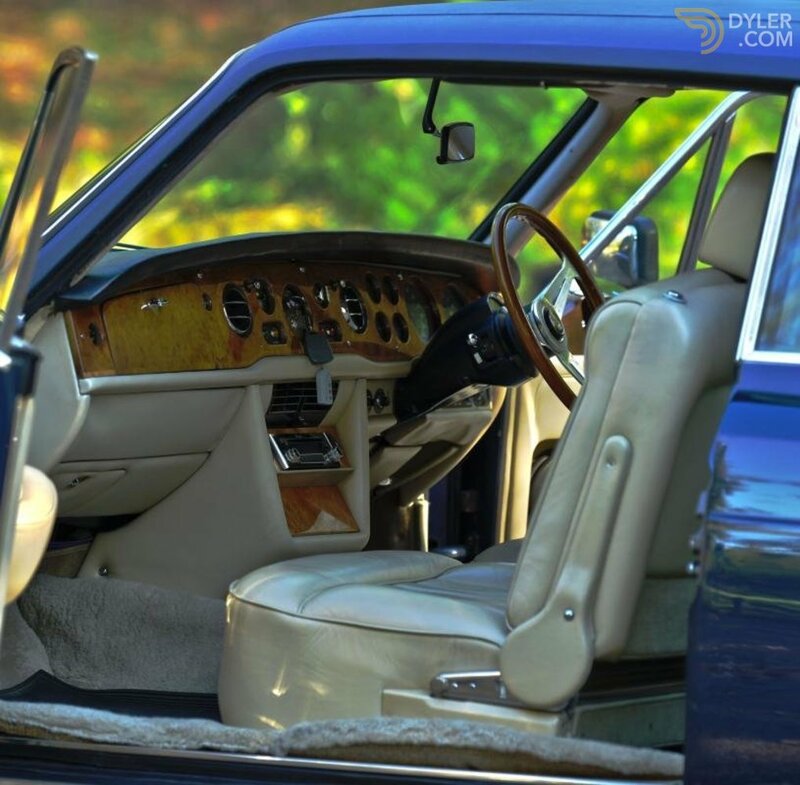 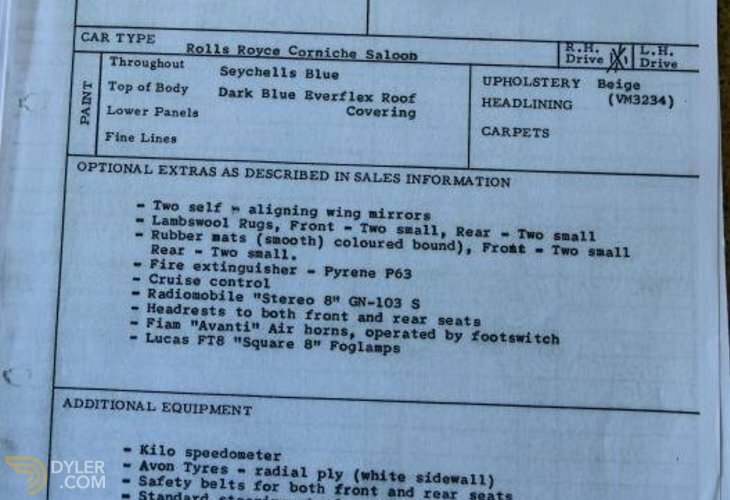 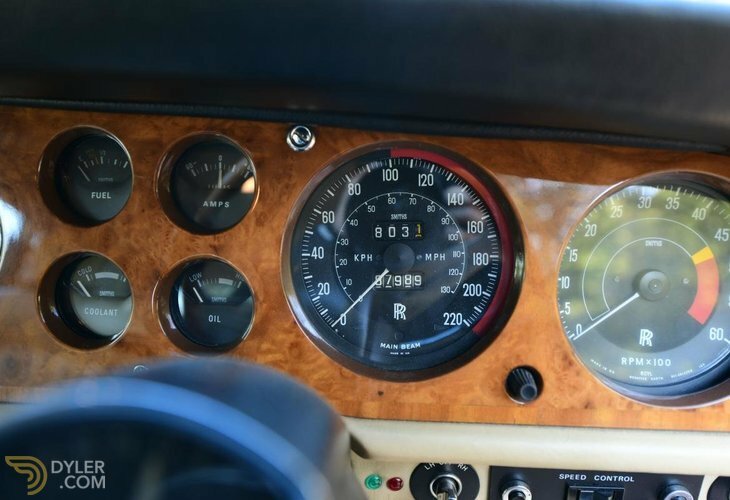 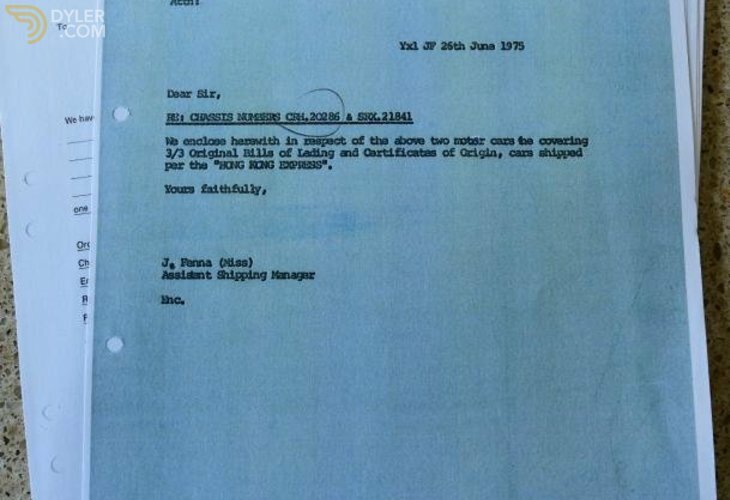 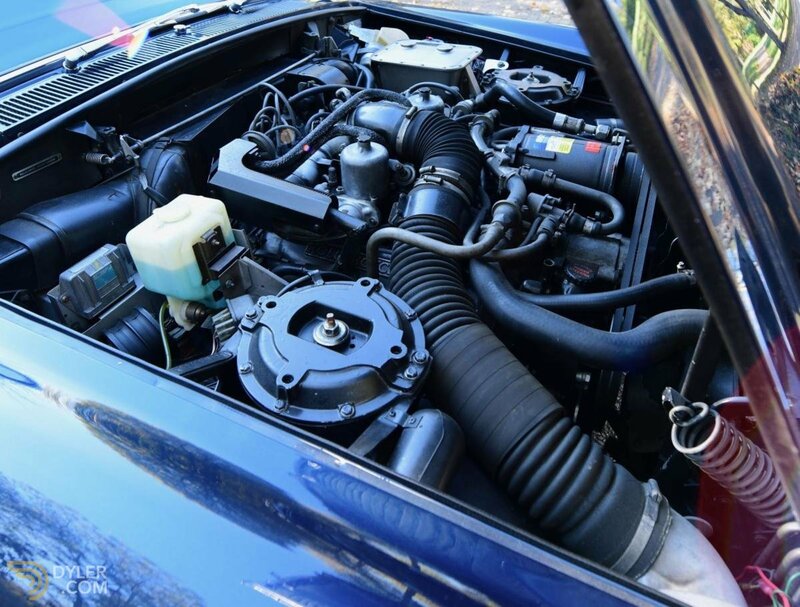 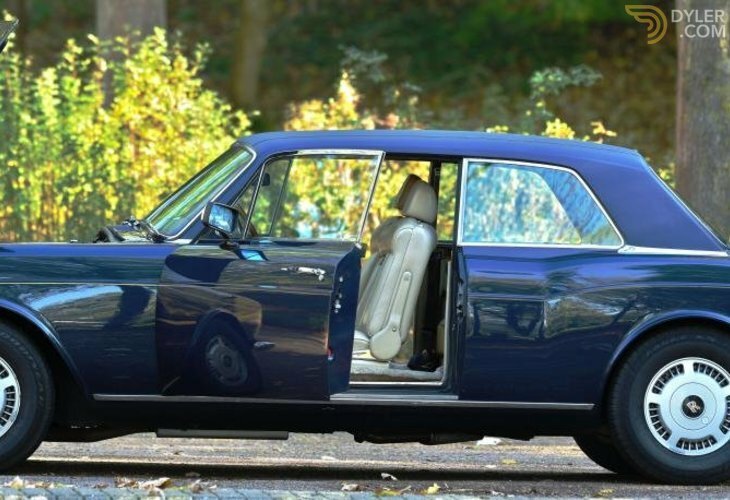 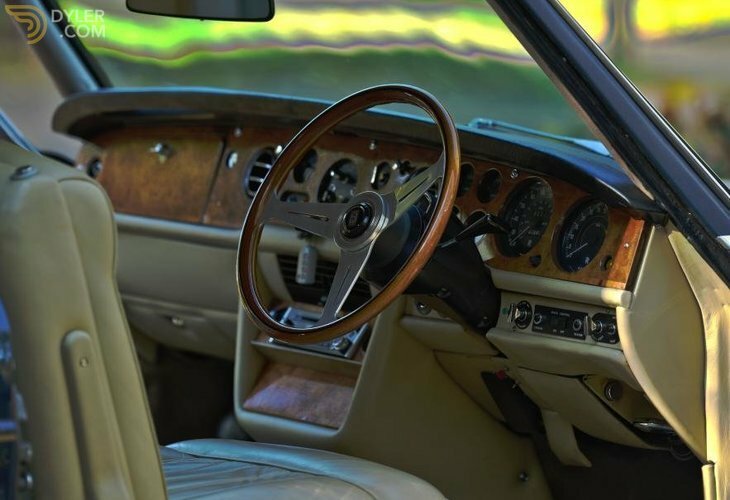 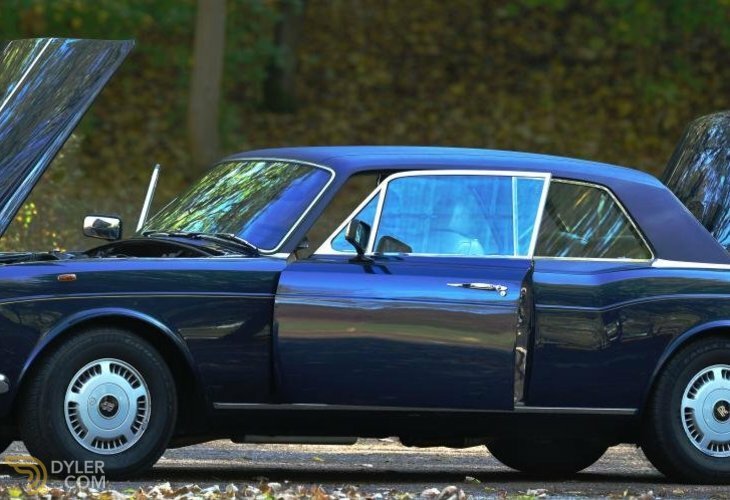 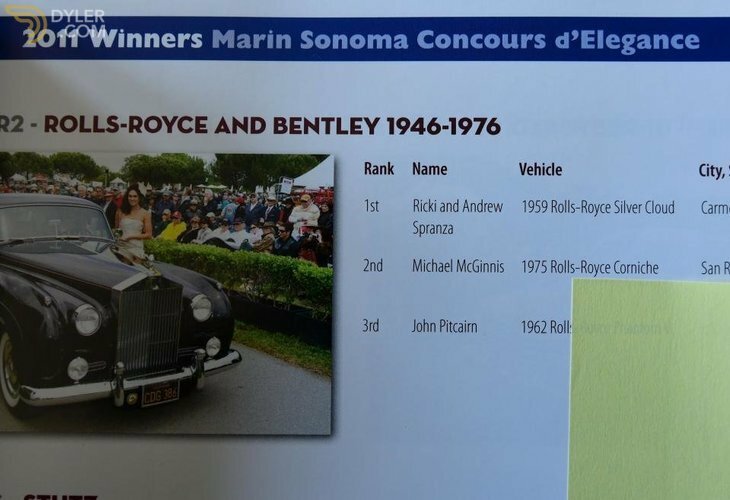 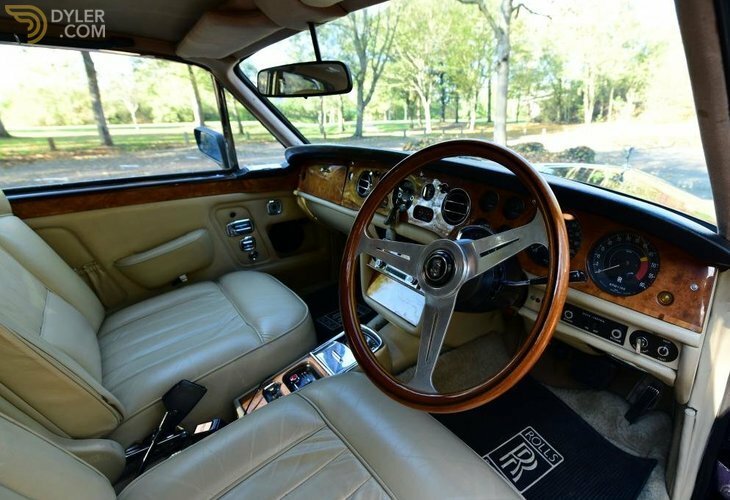 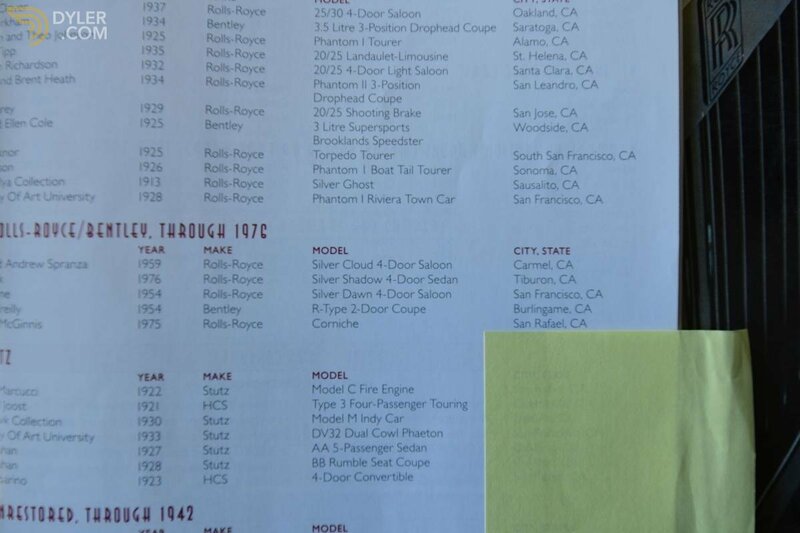 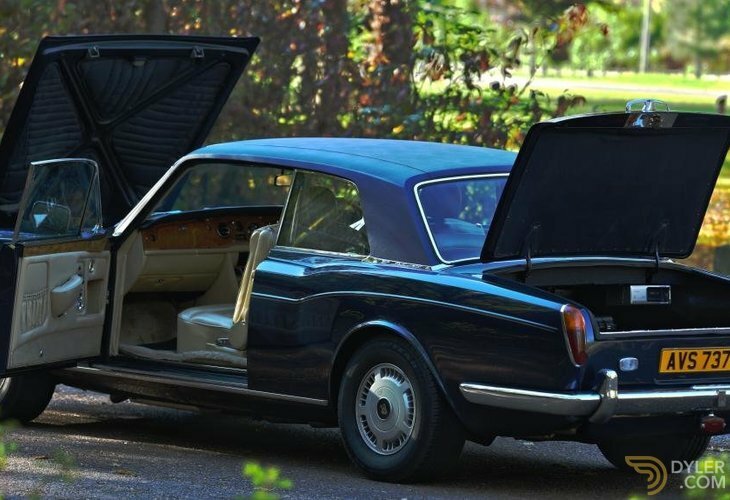 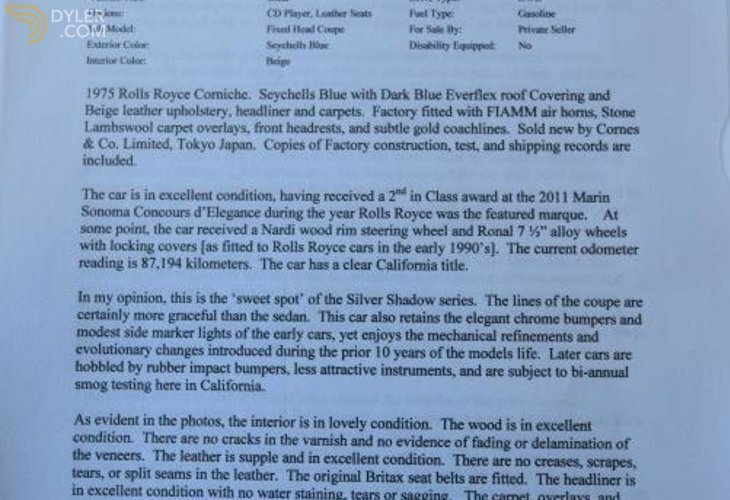 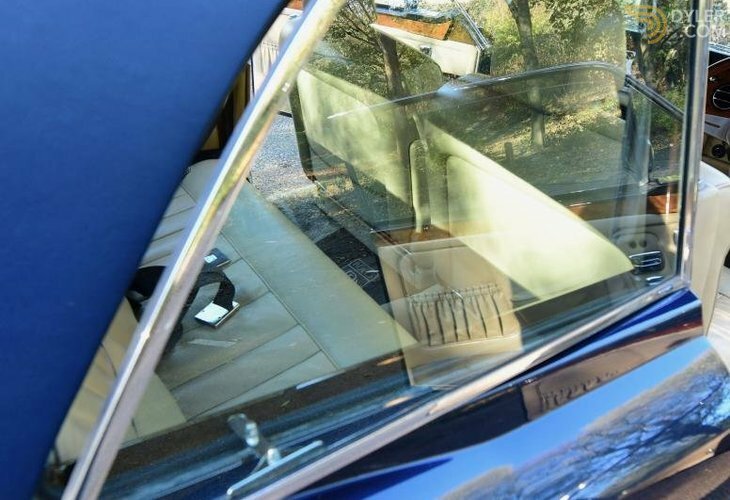 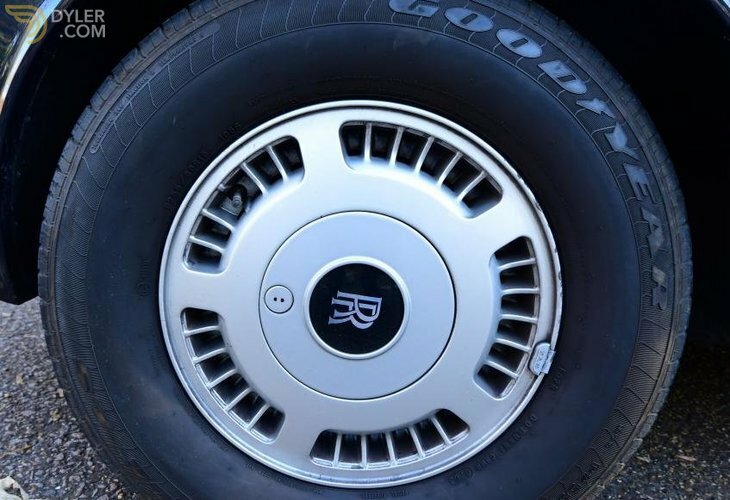 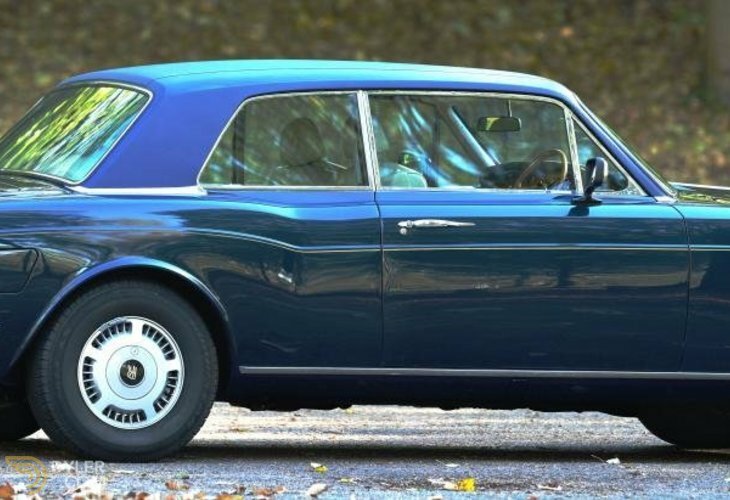 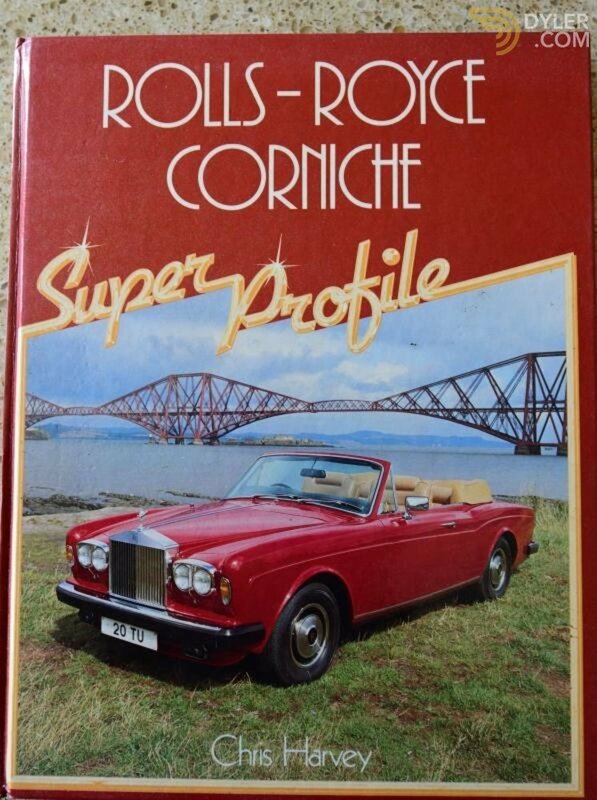 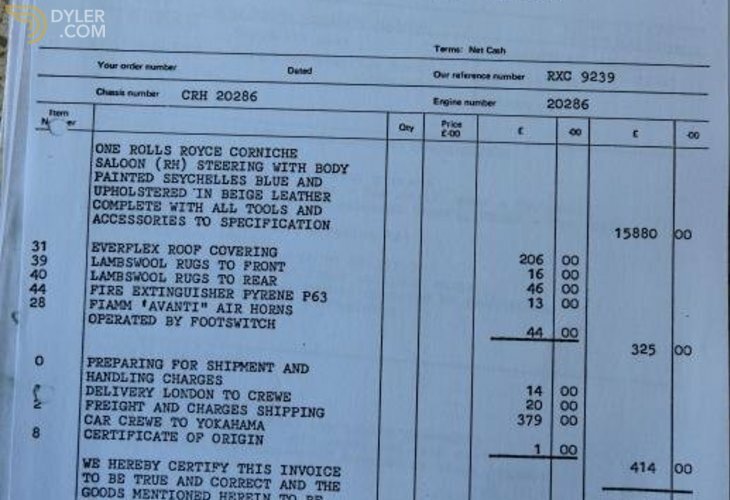 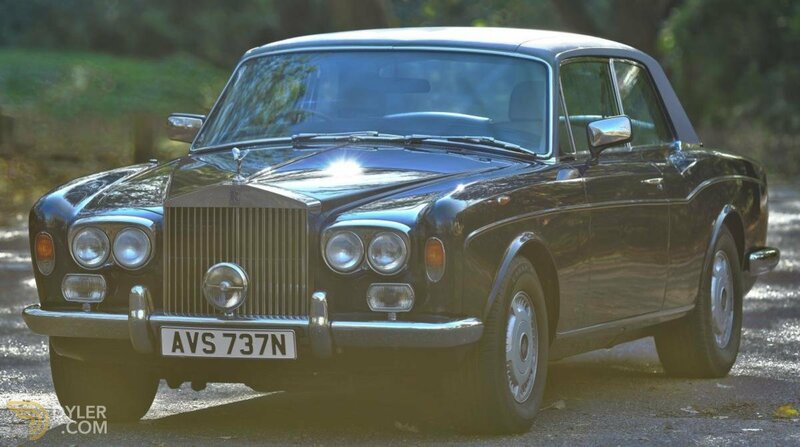 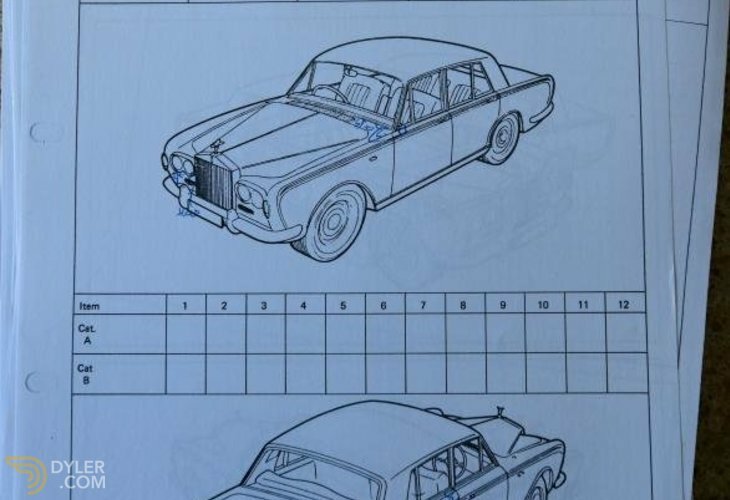 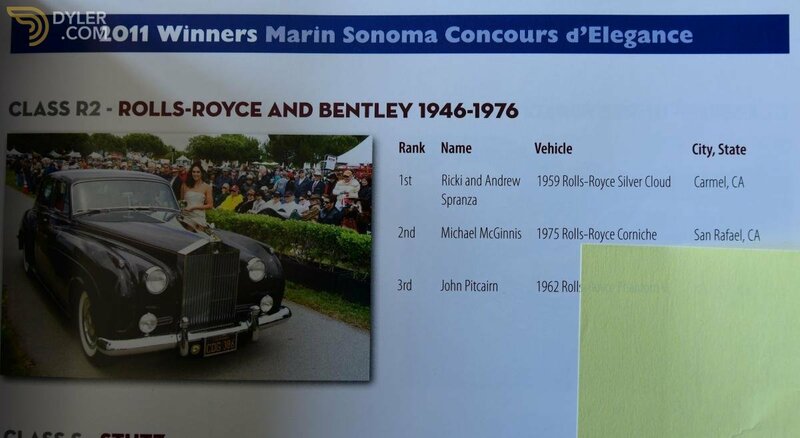 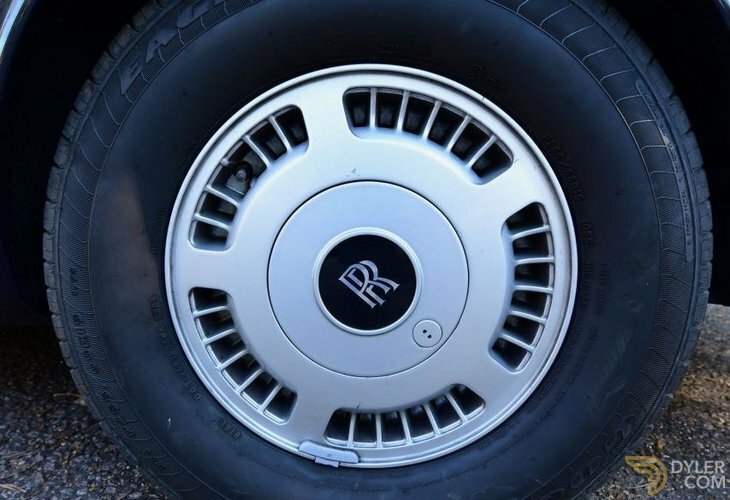 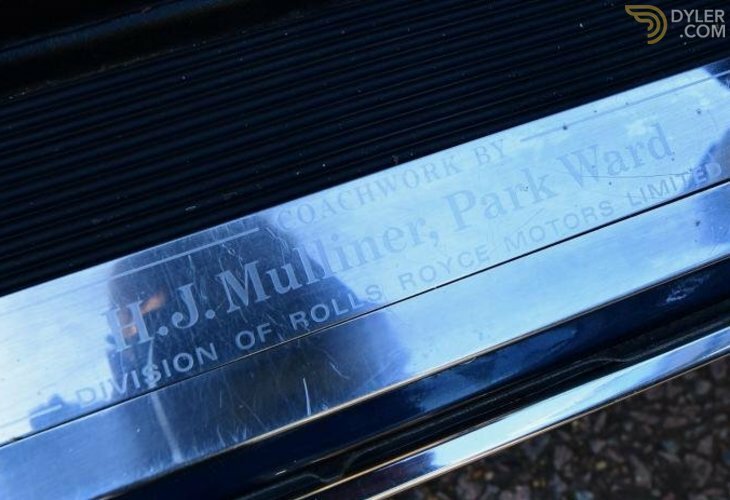 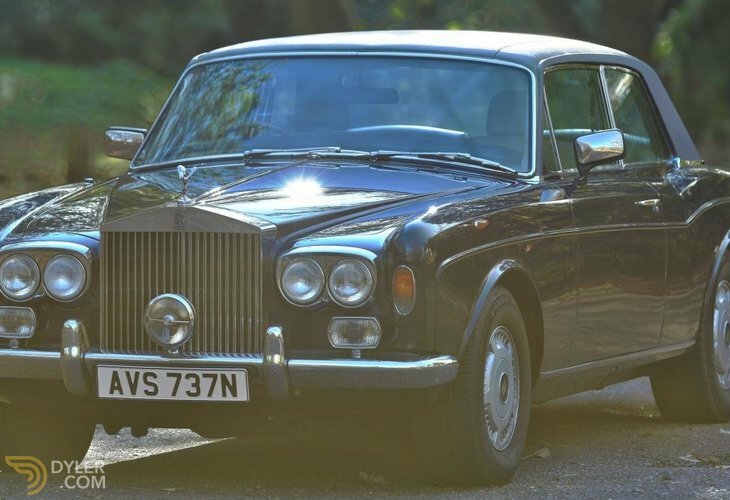 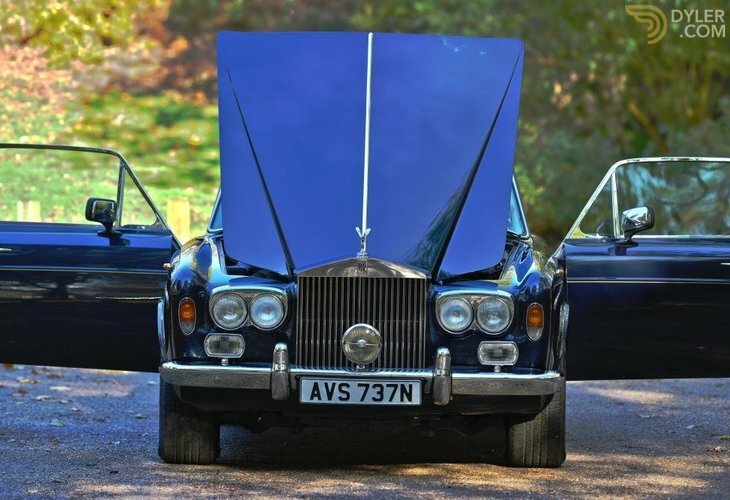 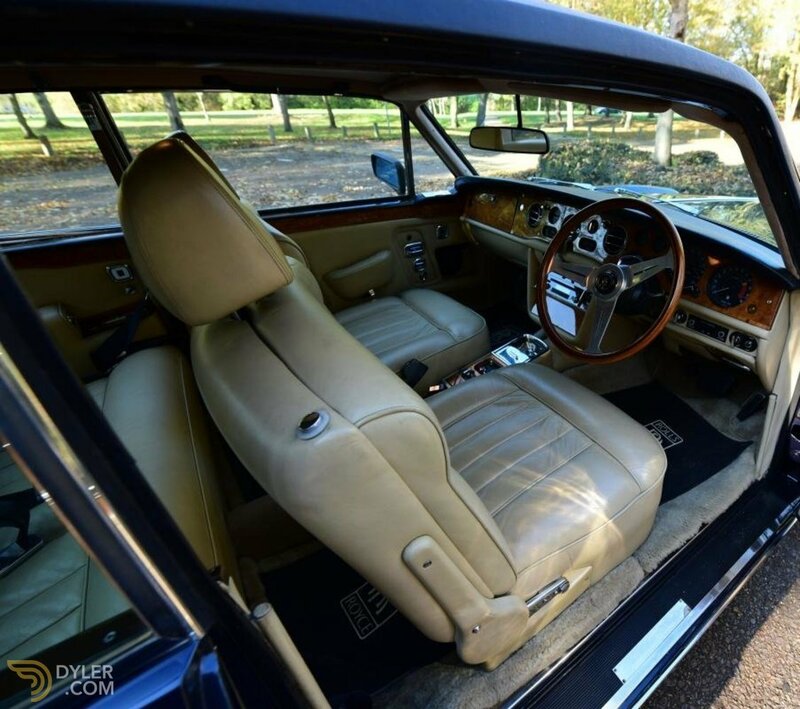 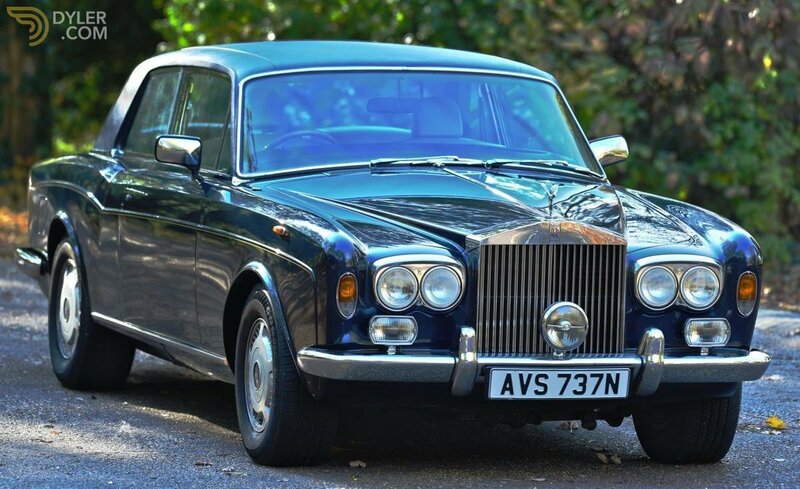 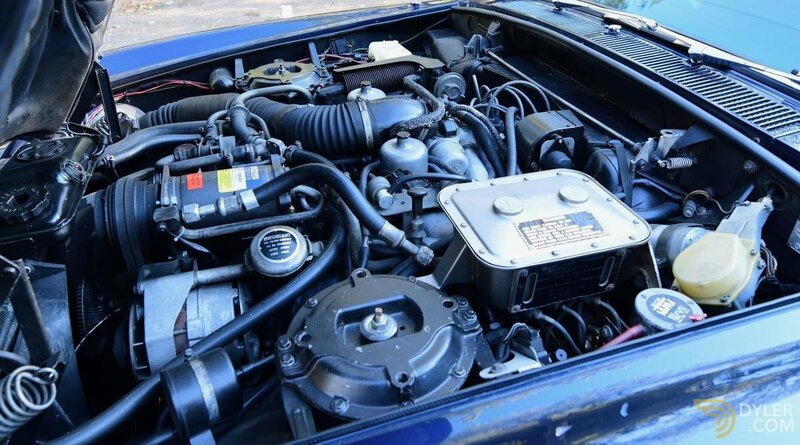 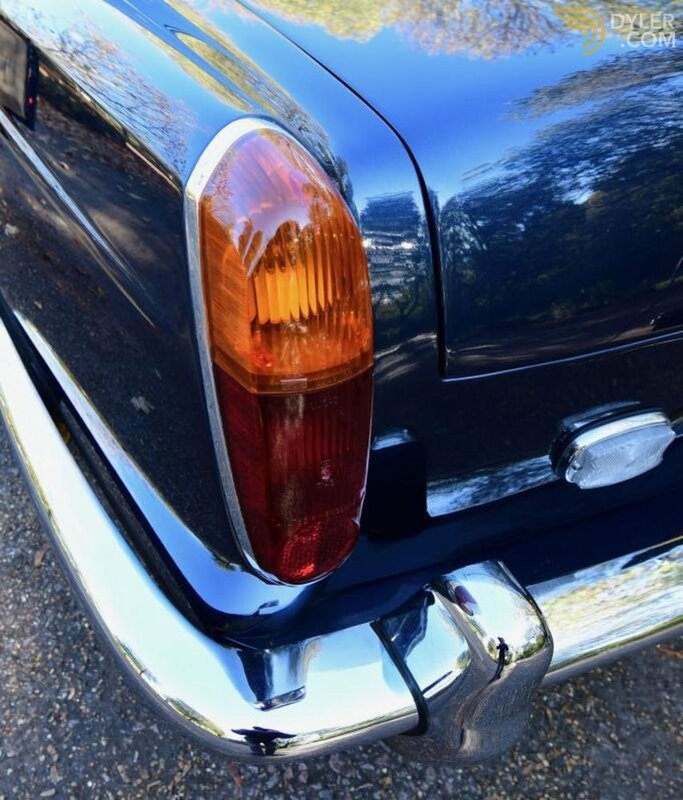 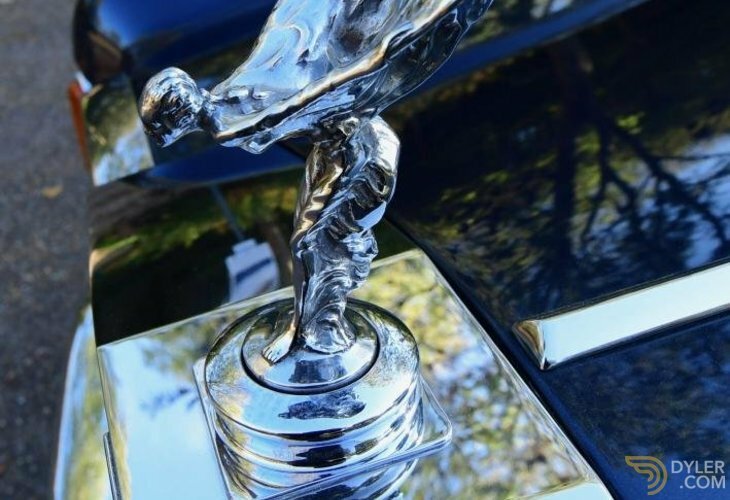 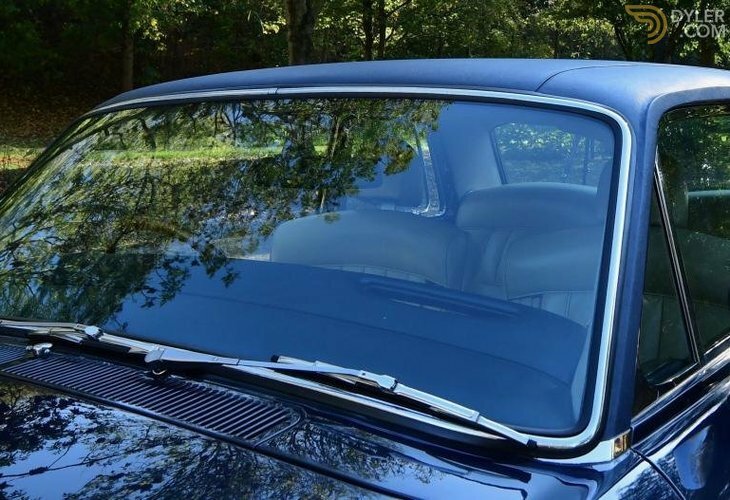 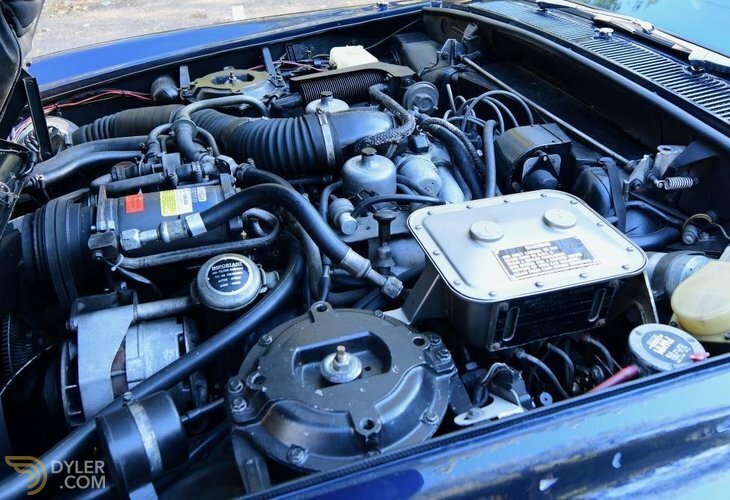 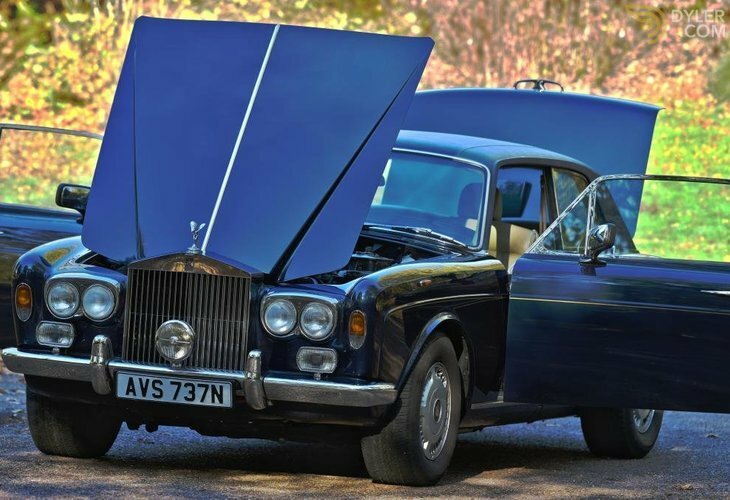 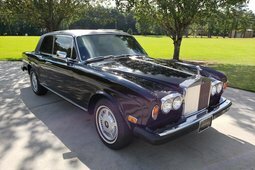 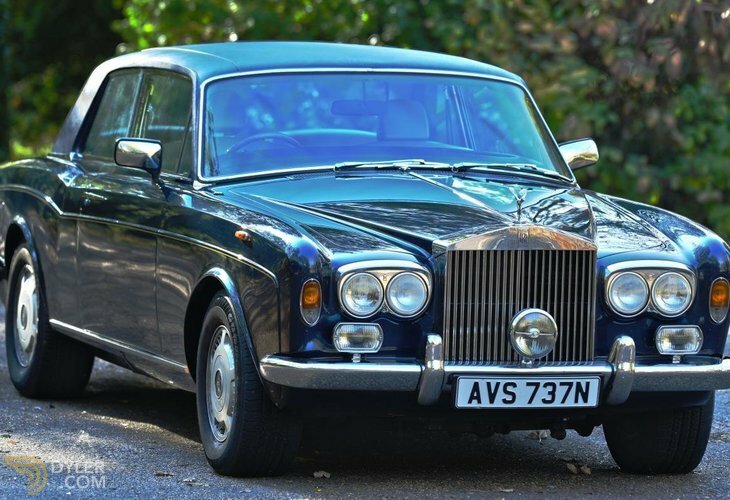 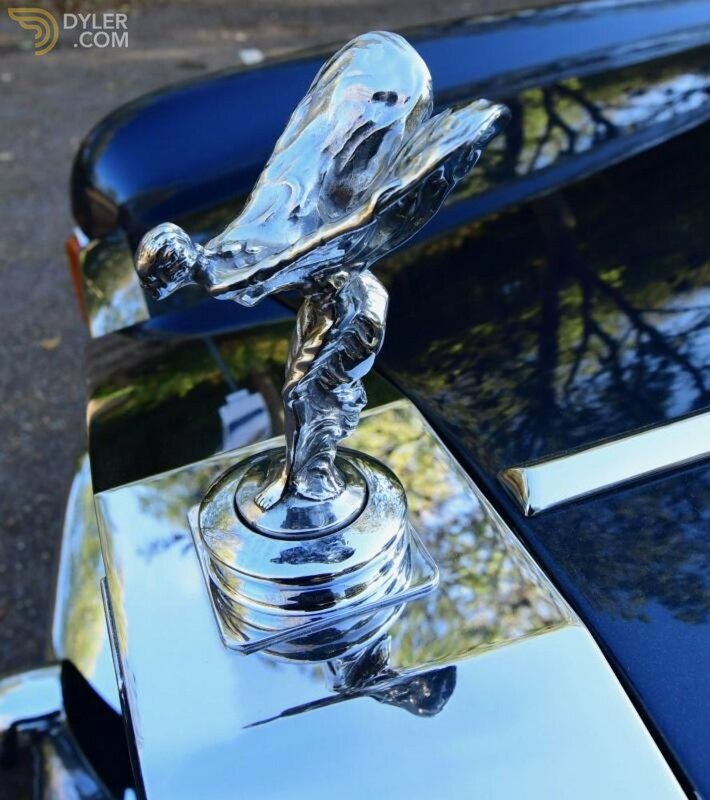 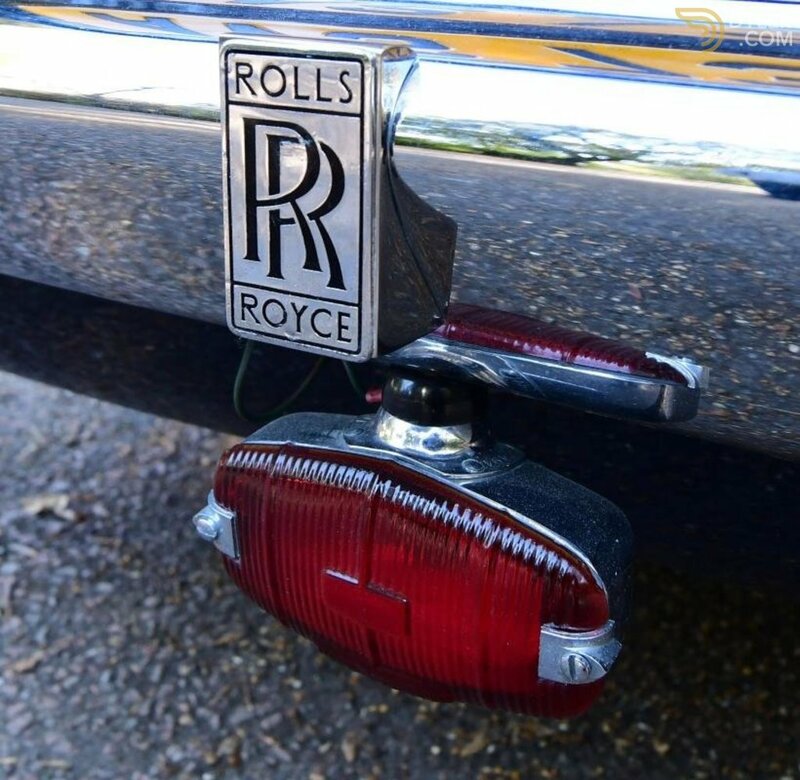 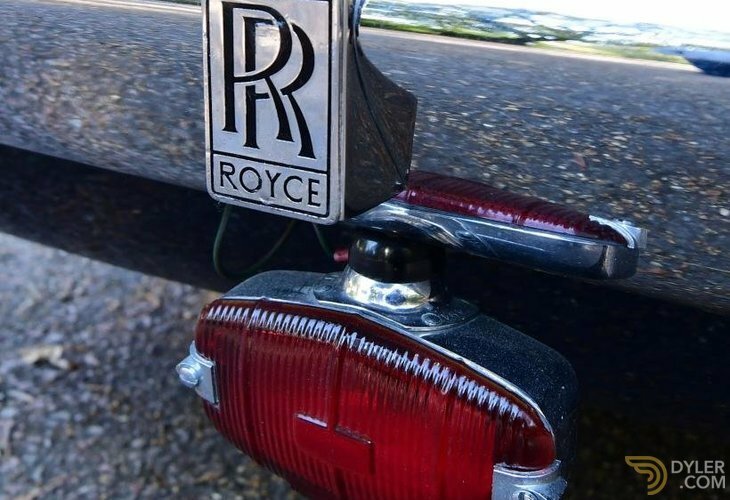 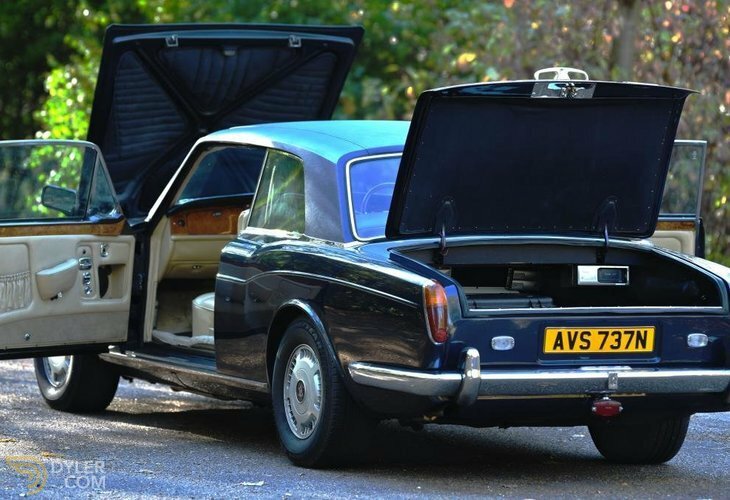 This 1975 Rolls-Royce Corniche was first supplied to Japan in right hand drive configuration, she was then shipped to Southern California in the 90s where she resided until the return to the UK in 2016. 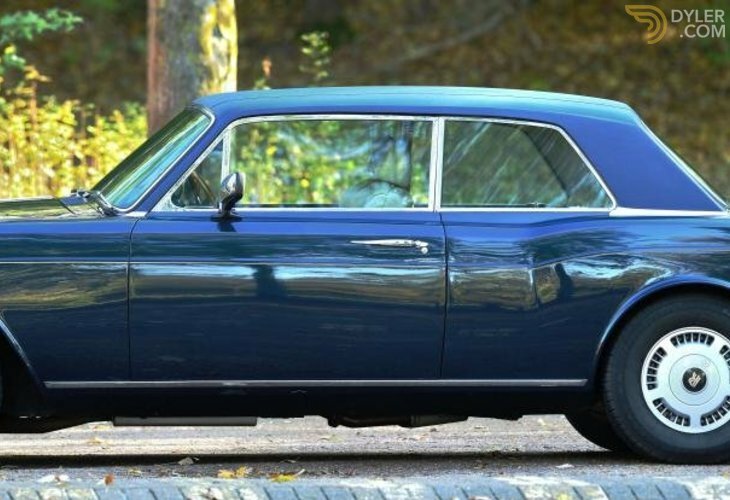 This Corniche has clearly benefitted from the warmer climate and the lack of salty roads as the underneath is almost as tidy as the top. 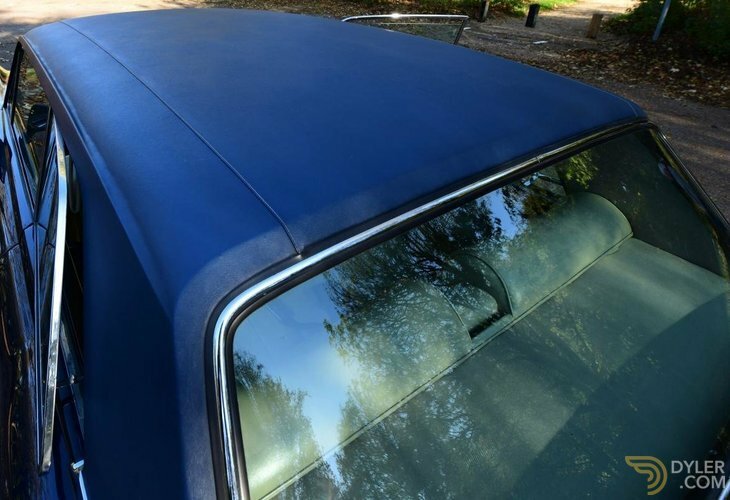 The outside is finished in one of the best colour combinations. 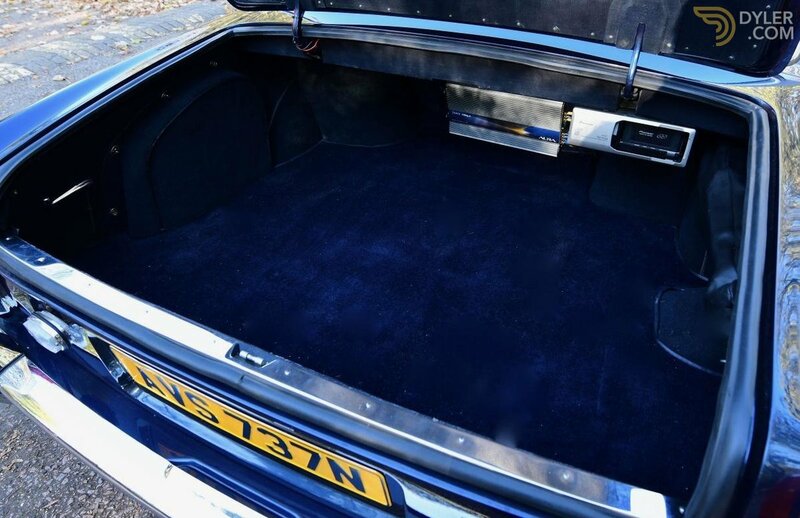 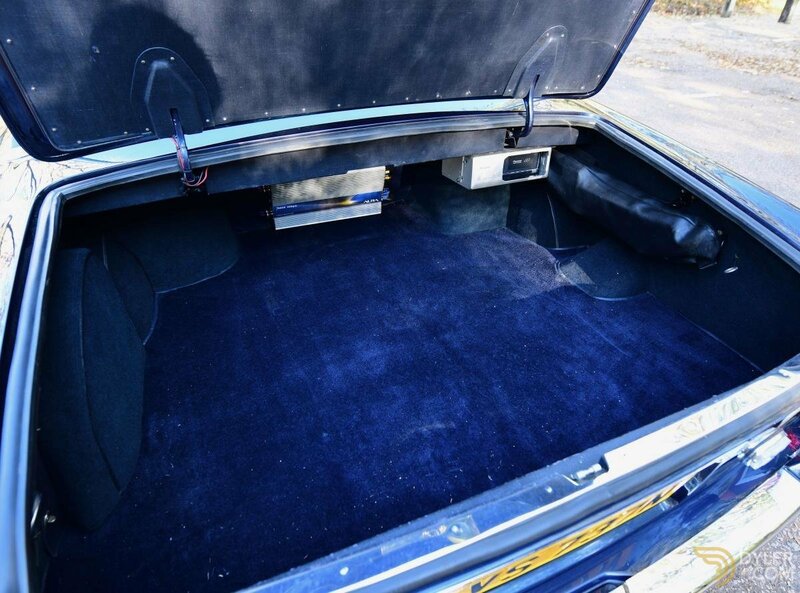 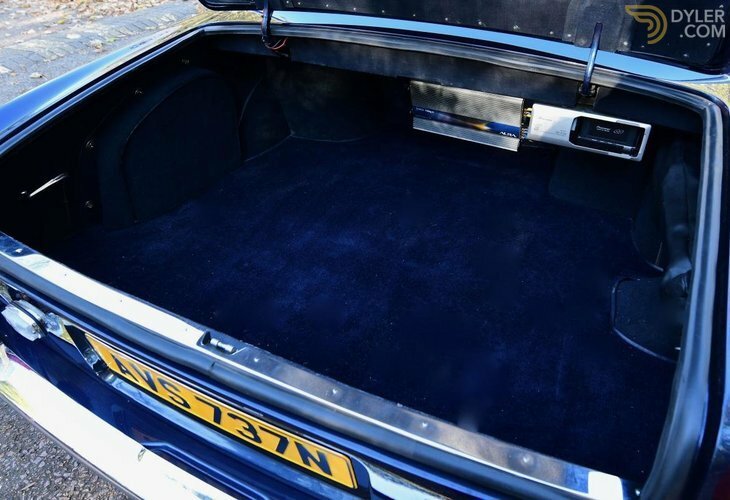 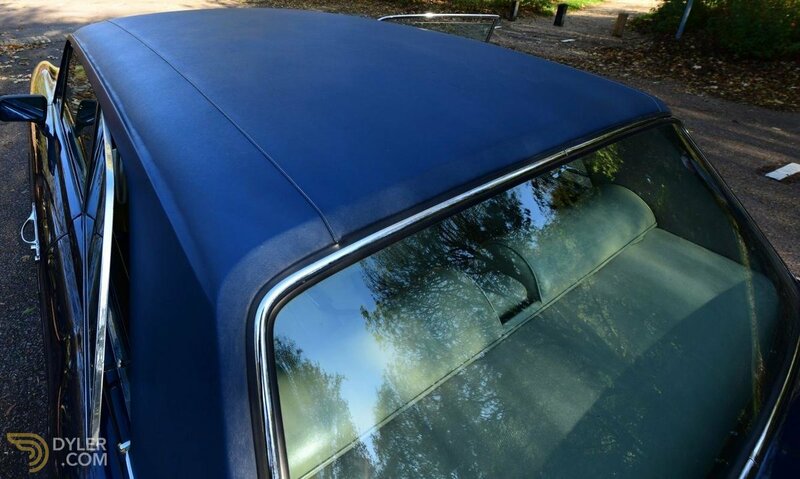 Seychelles Blue with Dark Blue Everflex roof, with Beige leather upholstery, headliner and carpets. Factory fitted with FIAMM air horns, with foot switch which was only found on Japanese market cars. 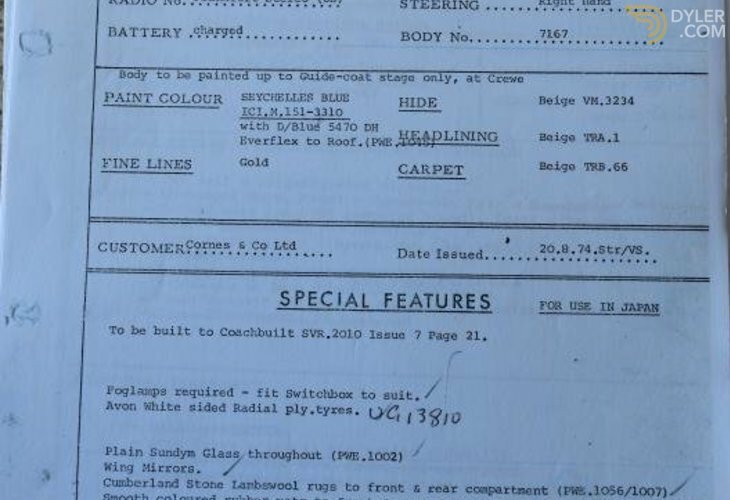 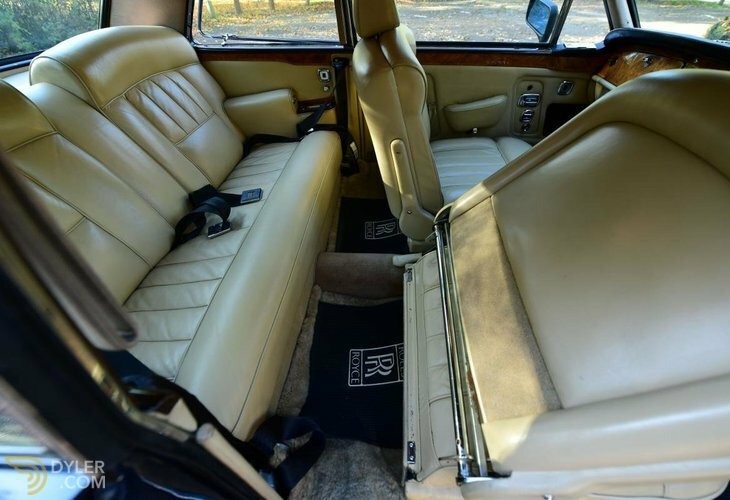 Stone Lambs wool carpet overlays, front headrests, and subtle gold coachlines. 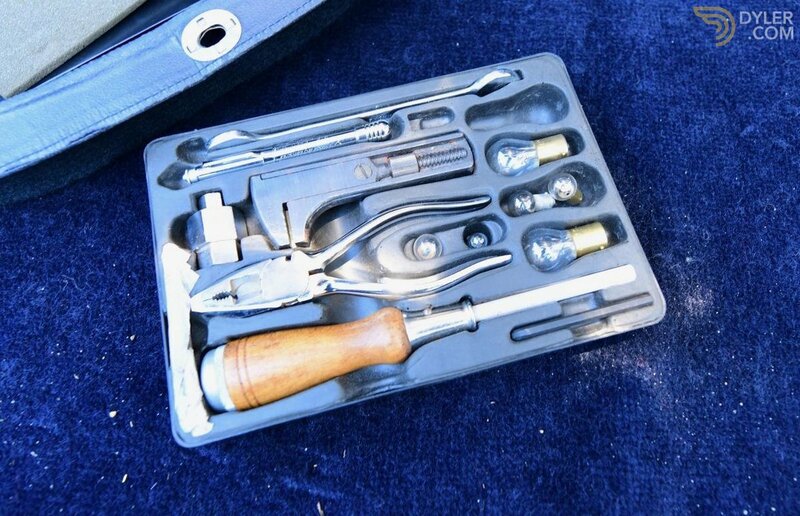 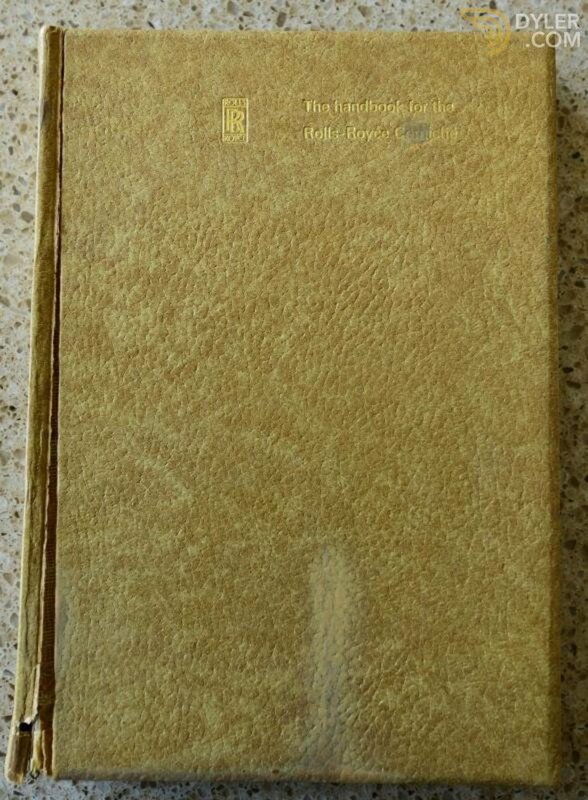 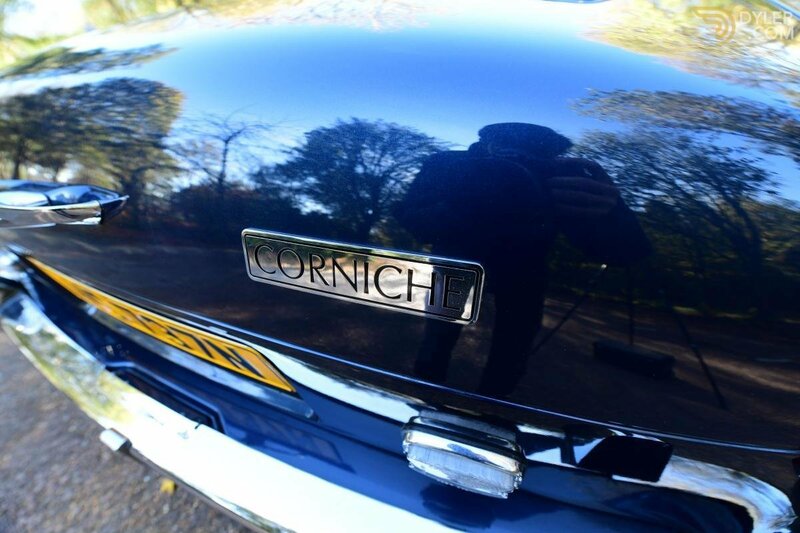 Sold new by Cornes & Co. Limited, Tokyo Japan. 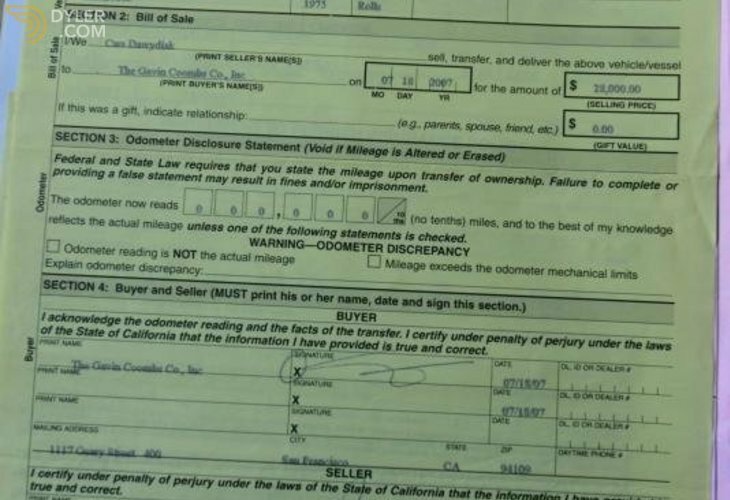 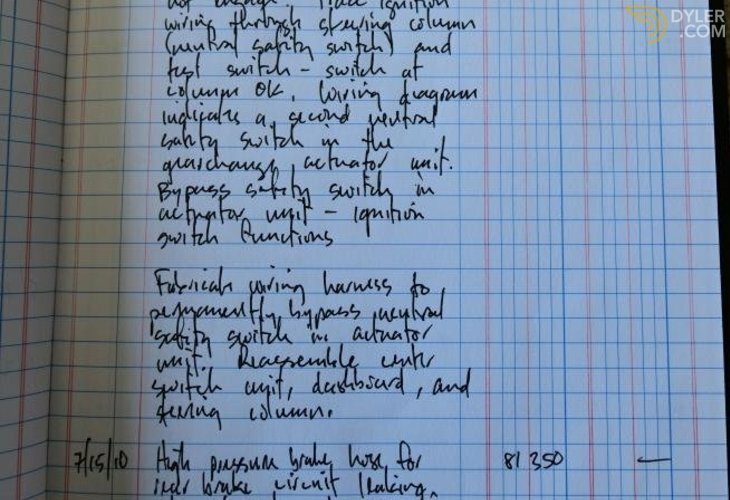 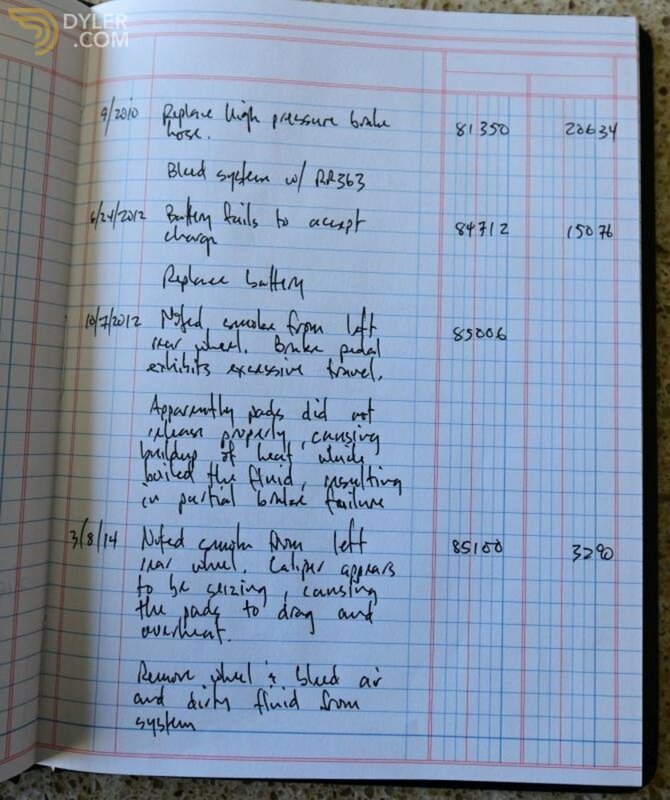 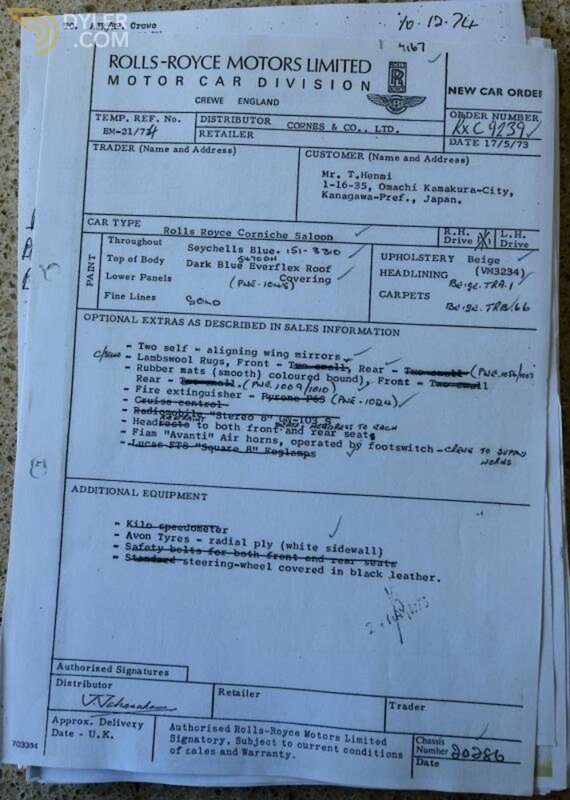 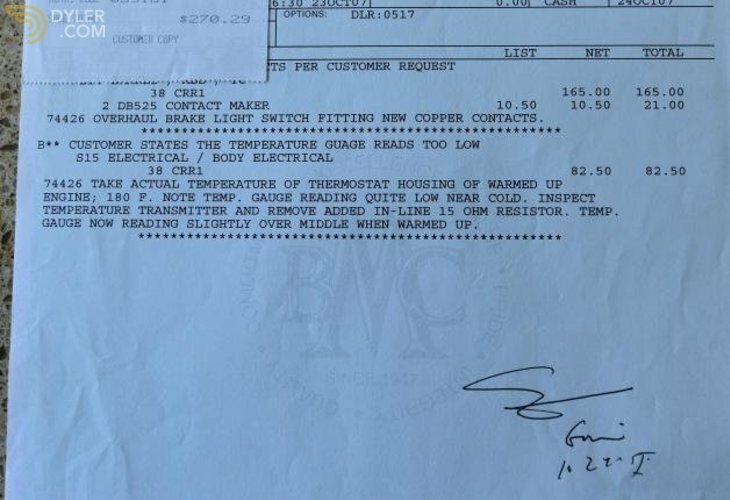 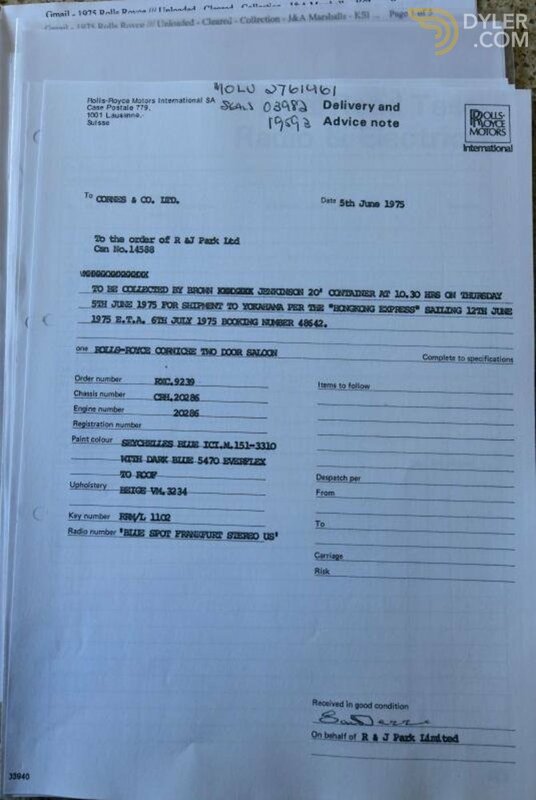 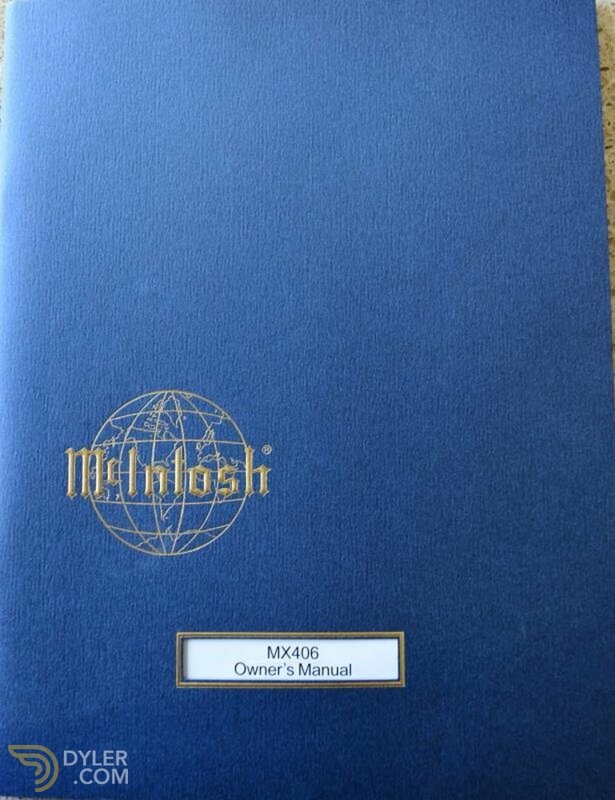 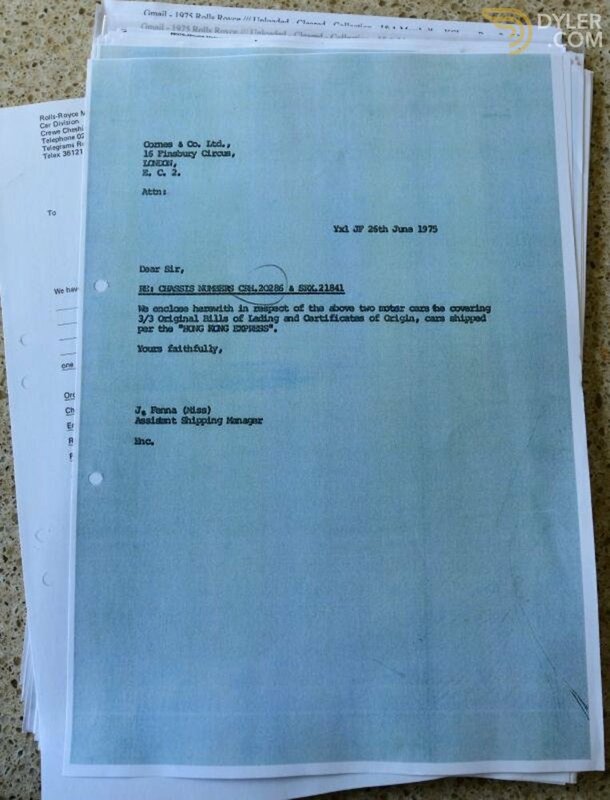 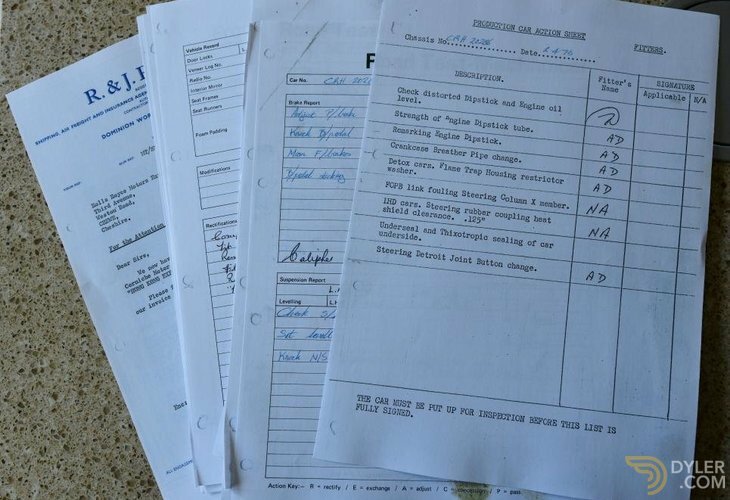 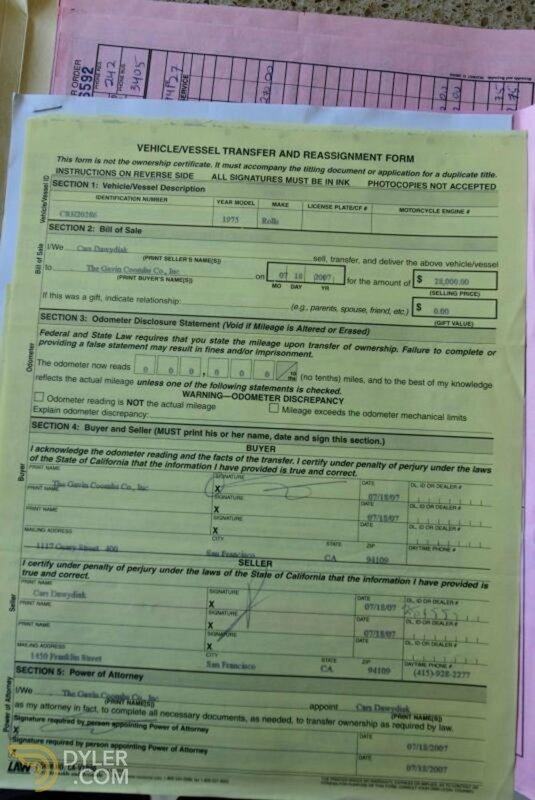 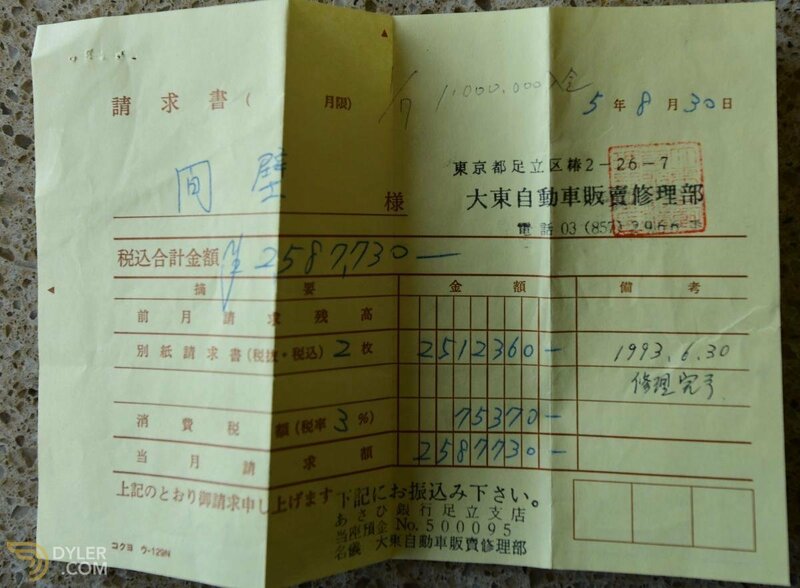 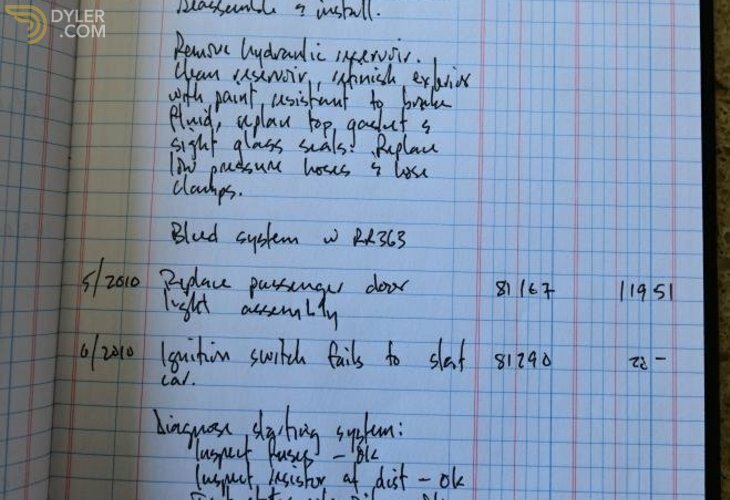 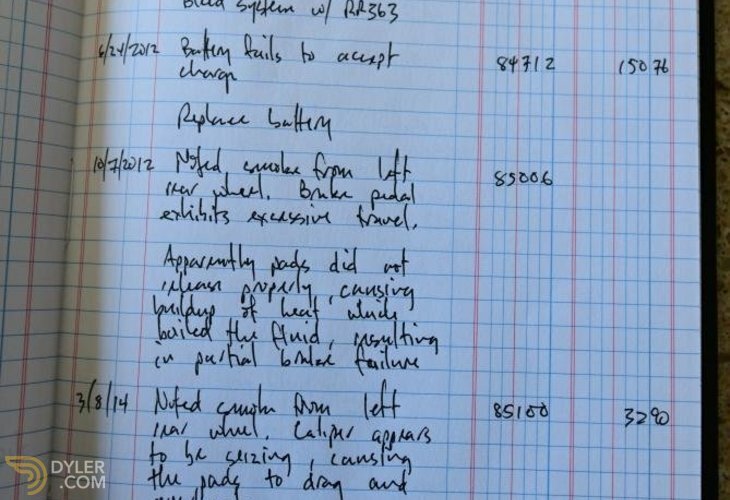 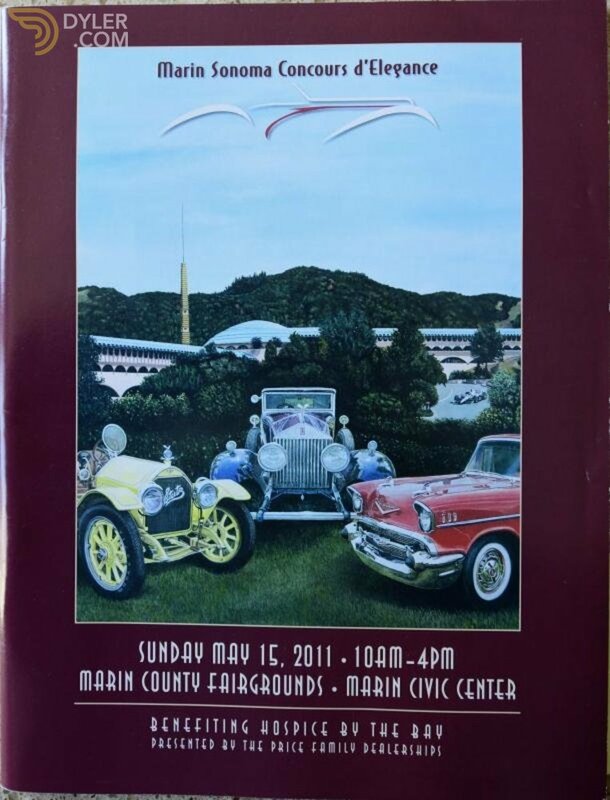 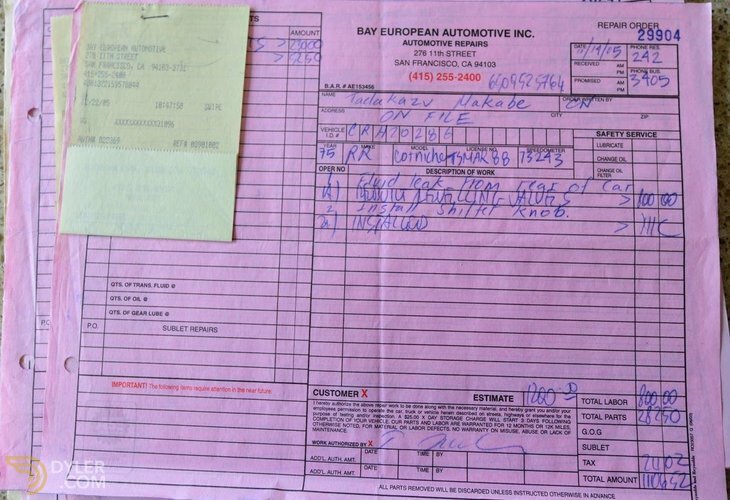 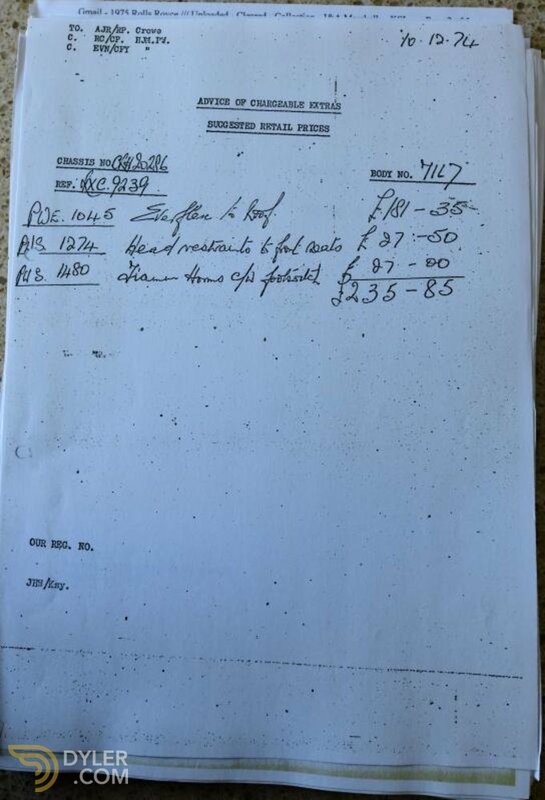 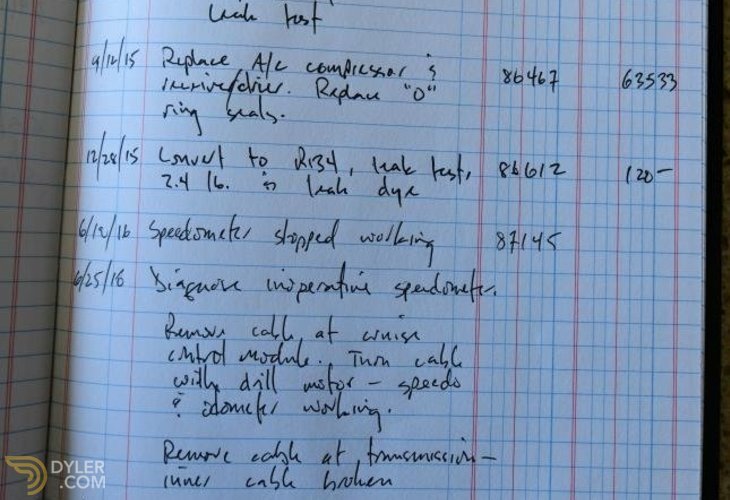 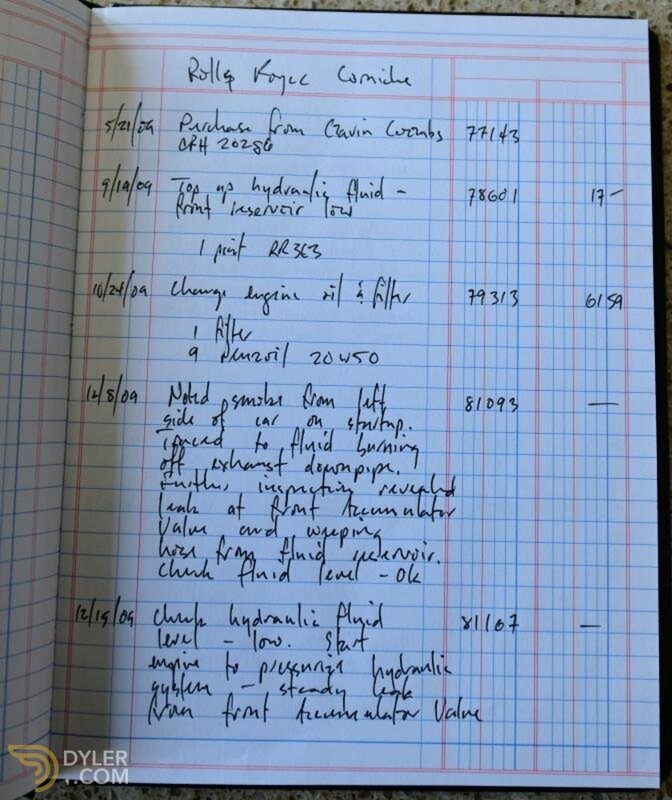 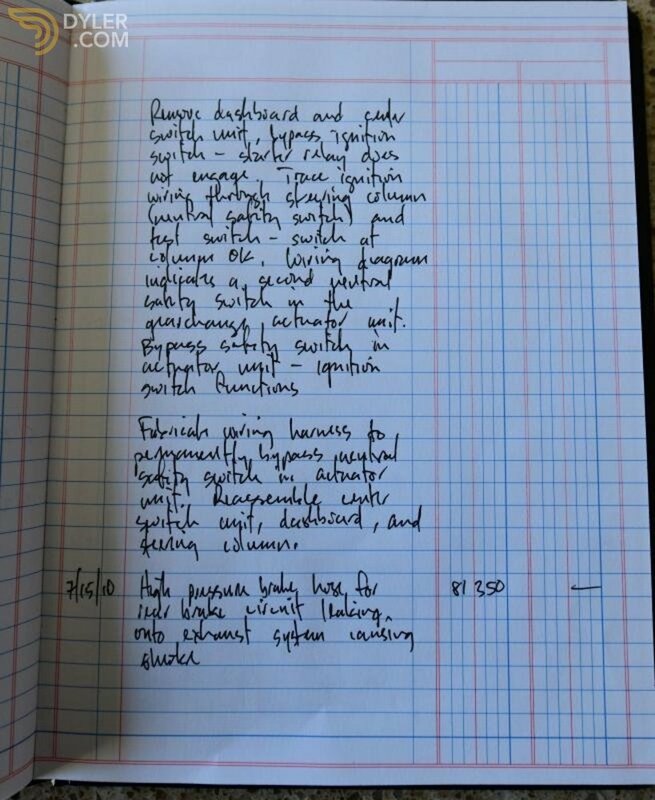 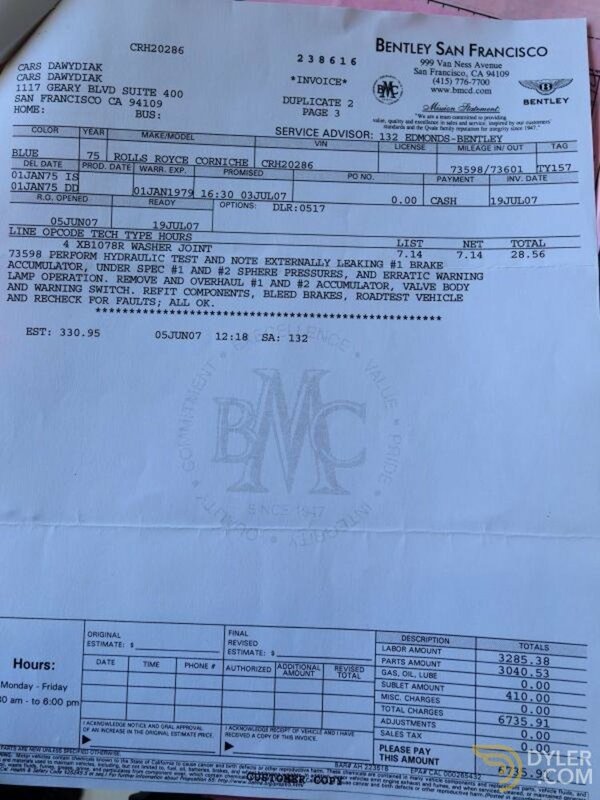 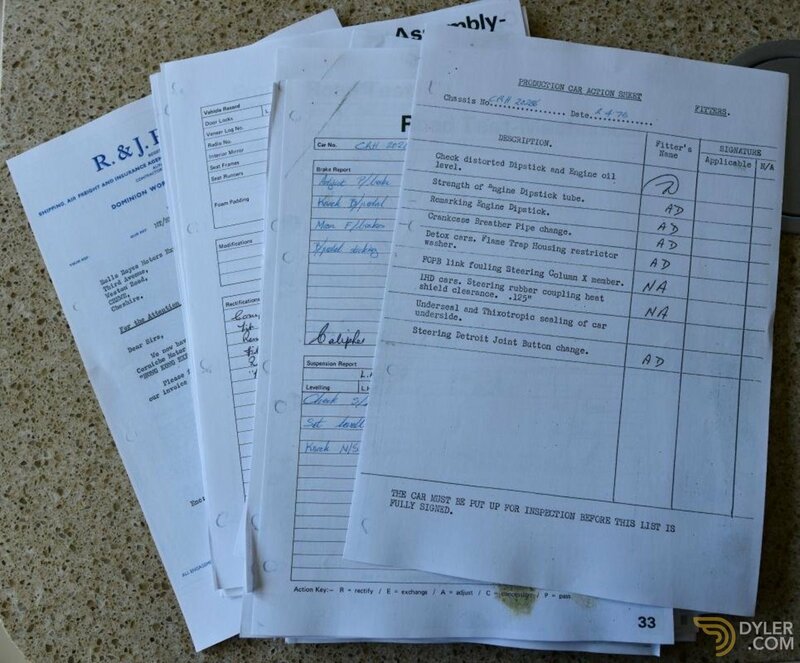 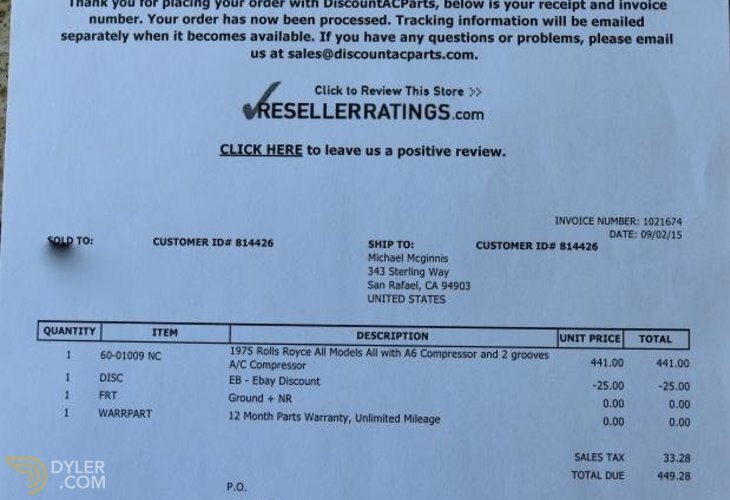 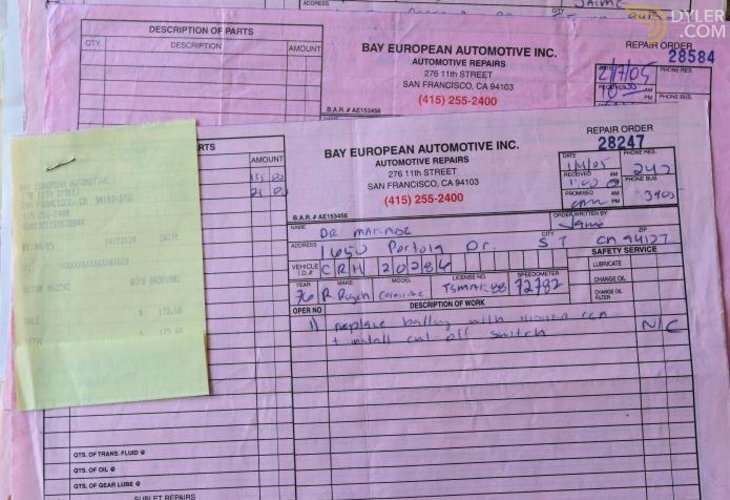 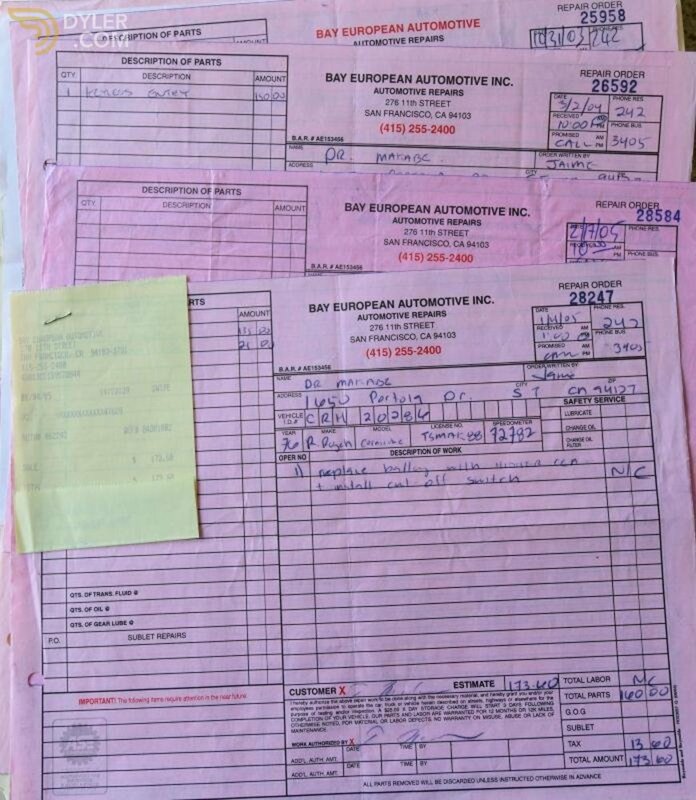 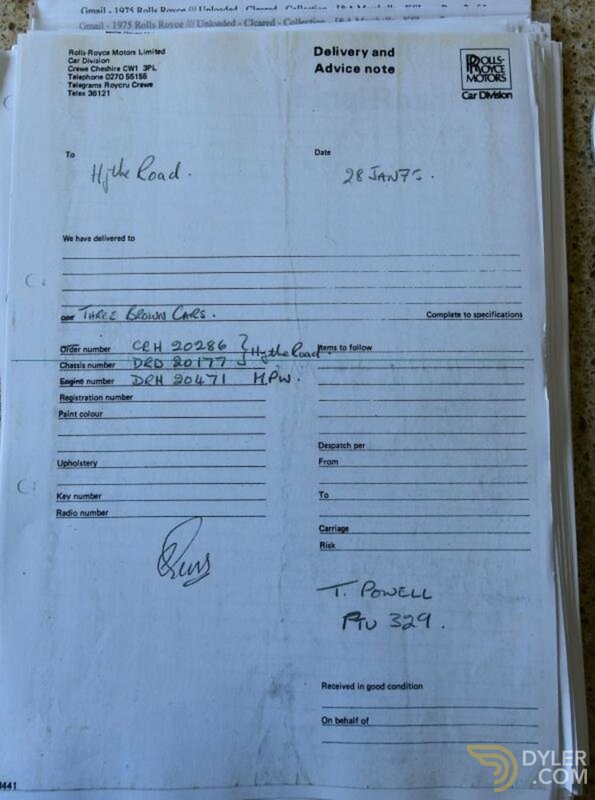 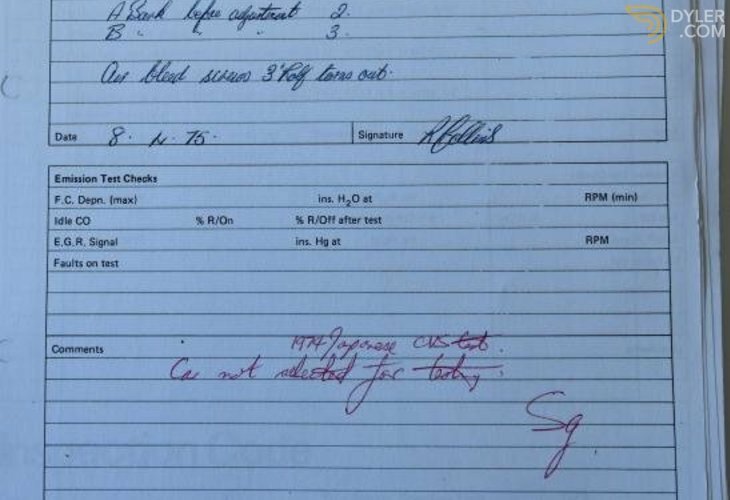 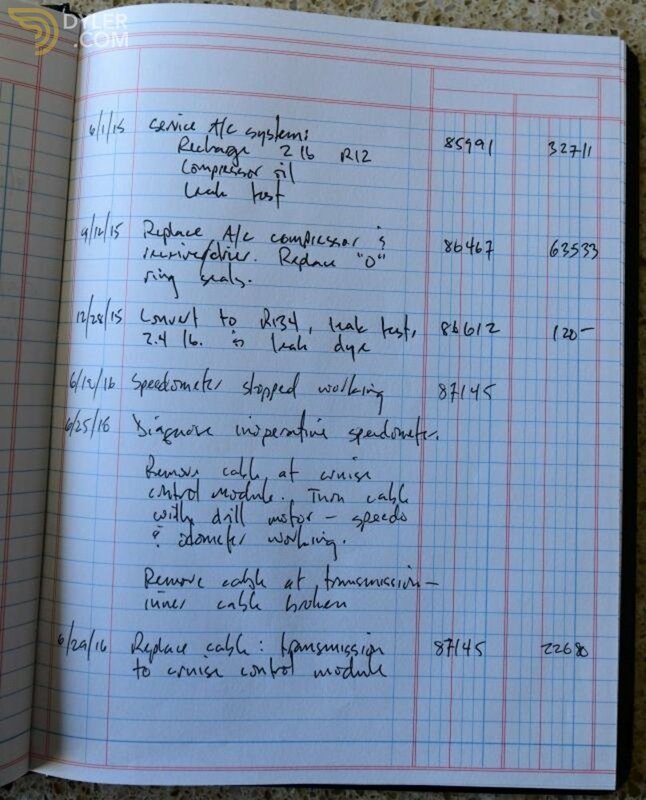 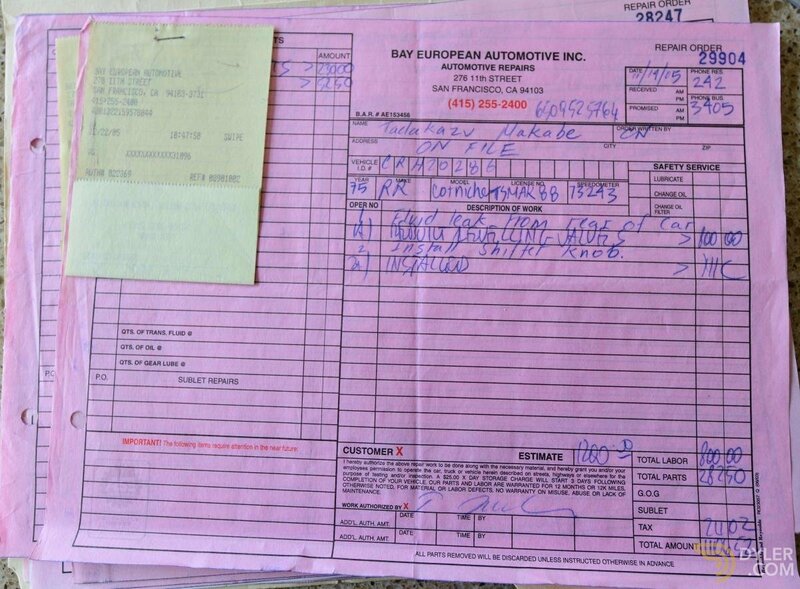 Copies of Factory construction, test, and shipping records are included. 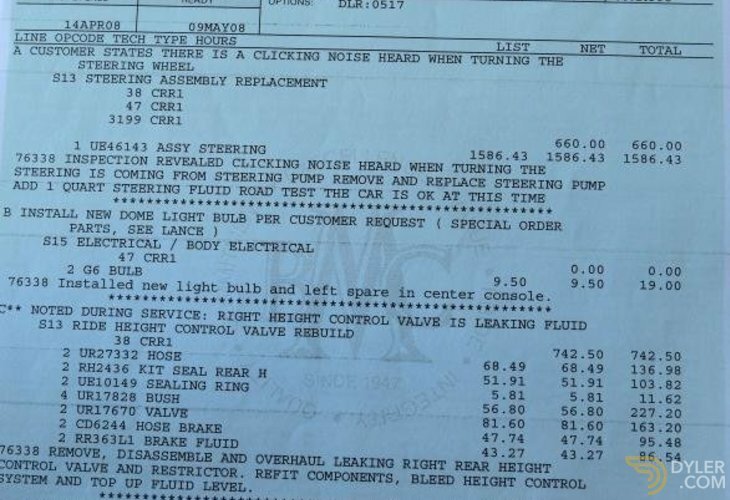 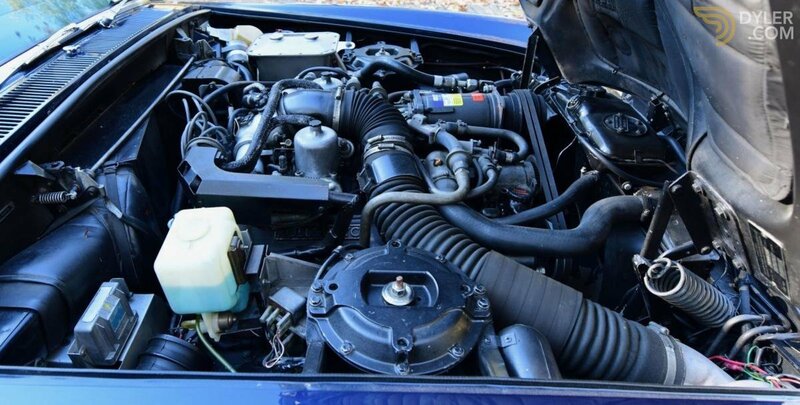 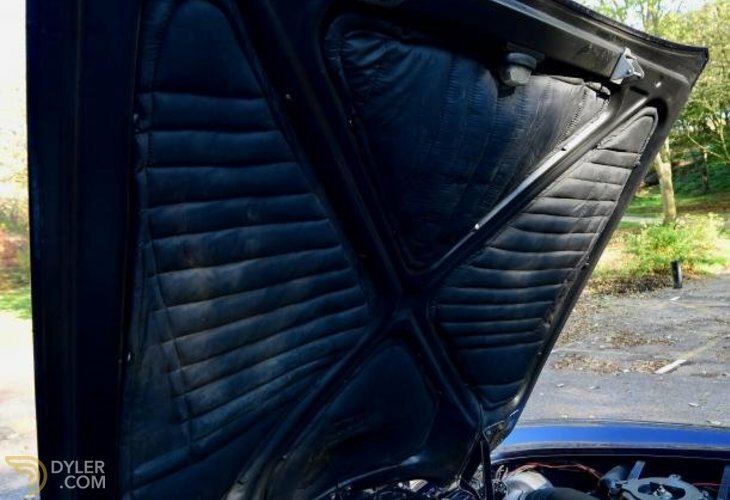 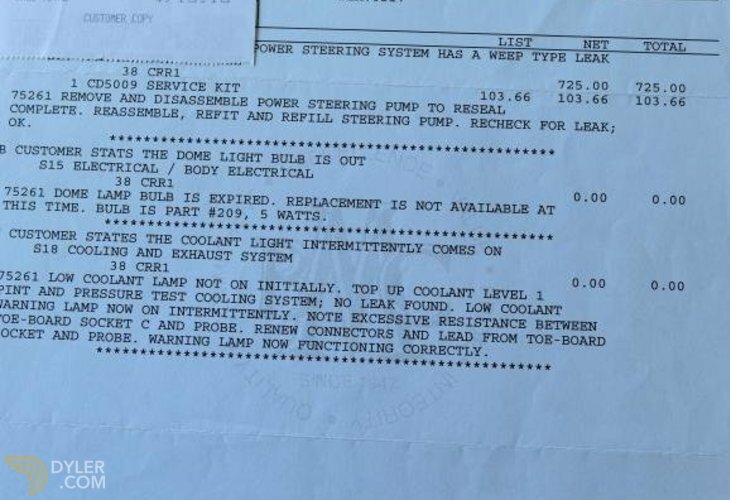 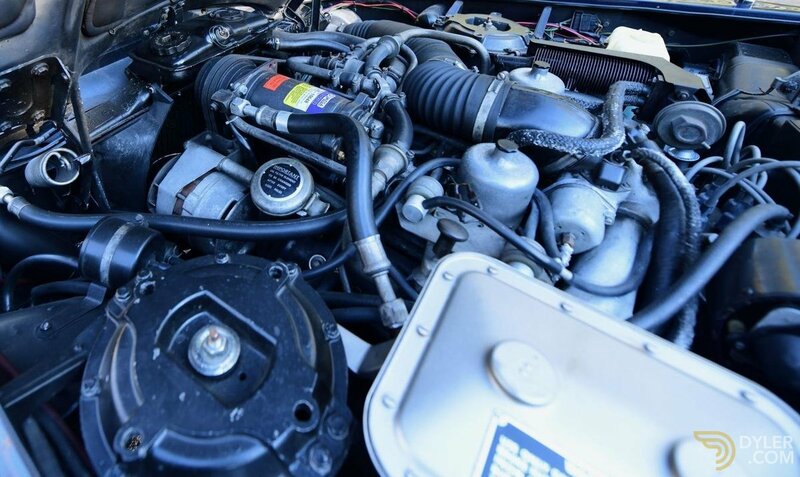 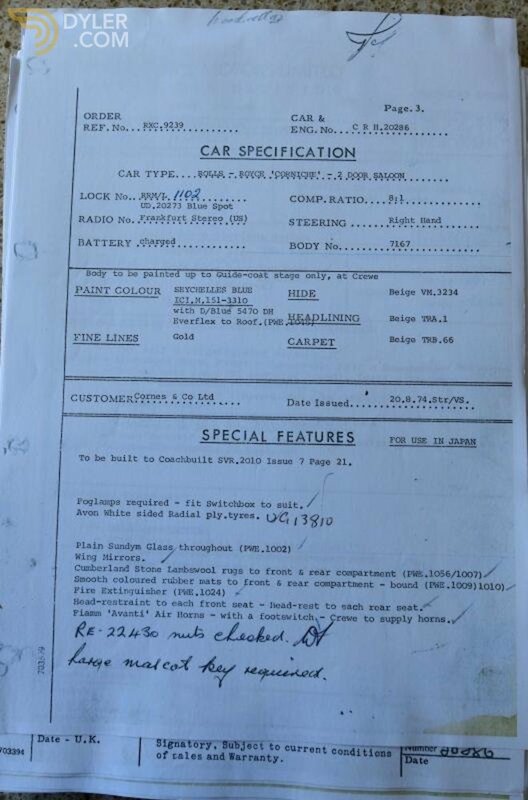 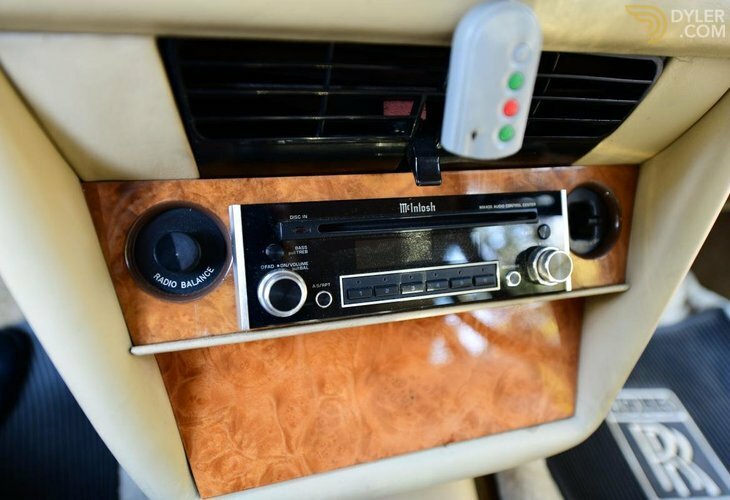 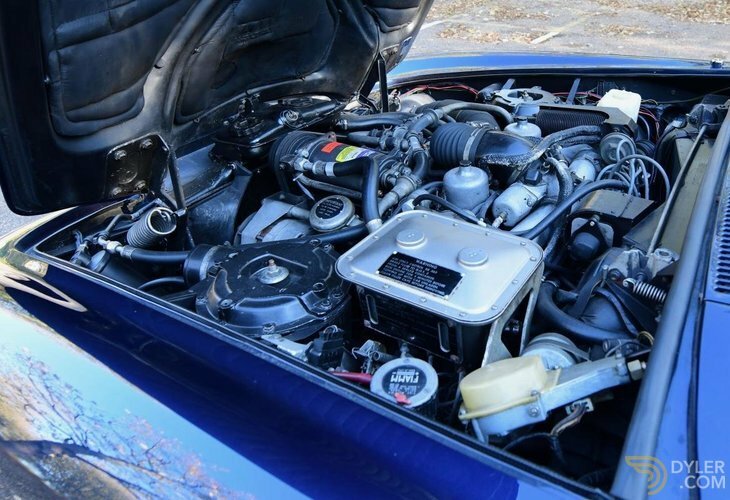 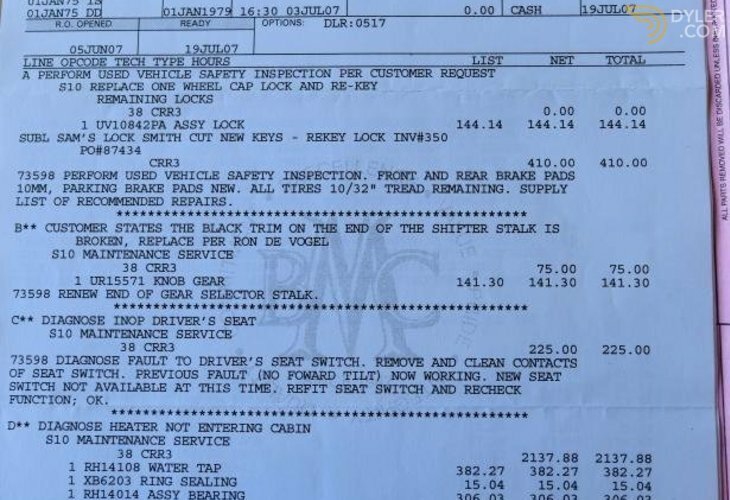 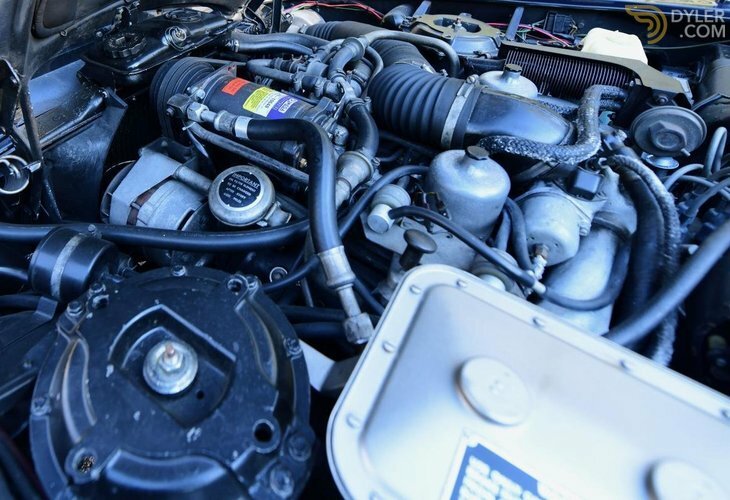 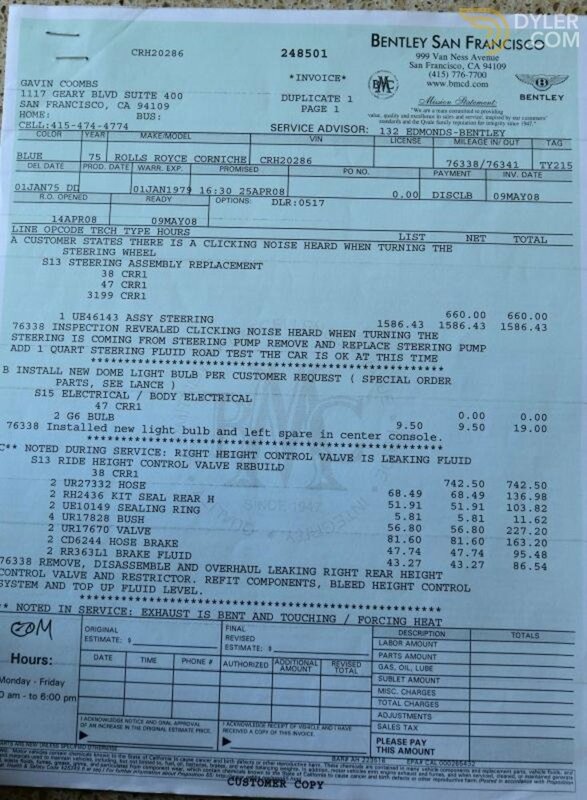 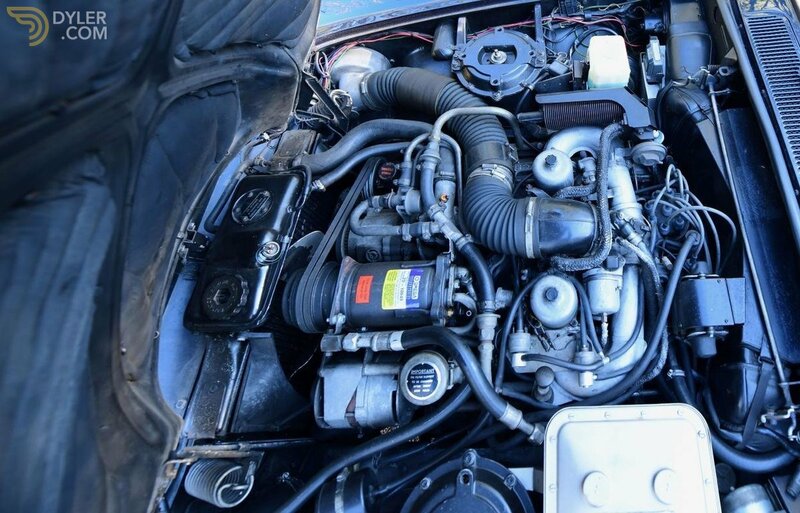 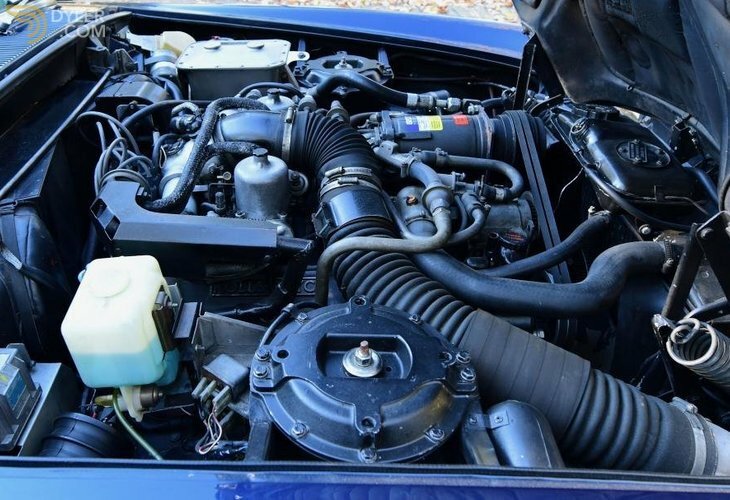 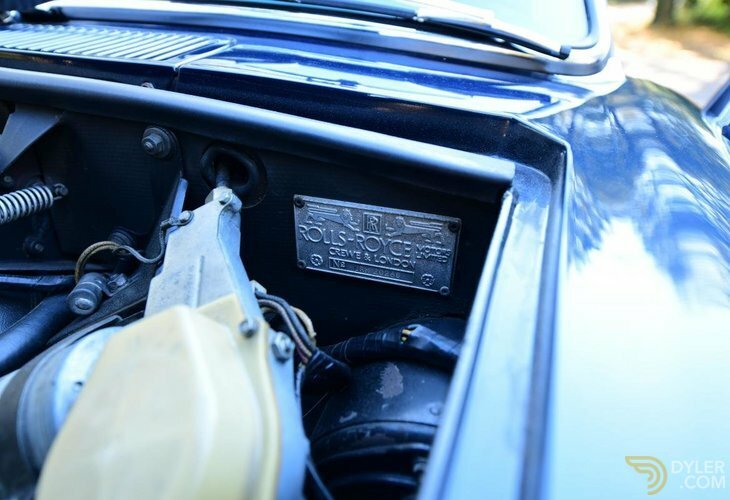 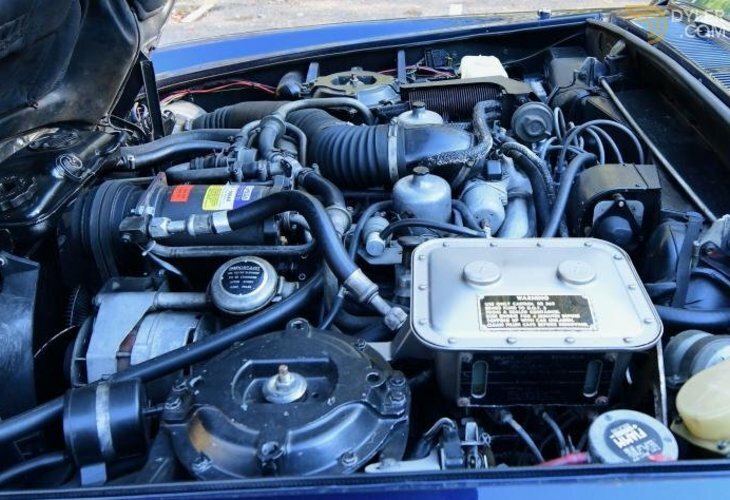 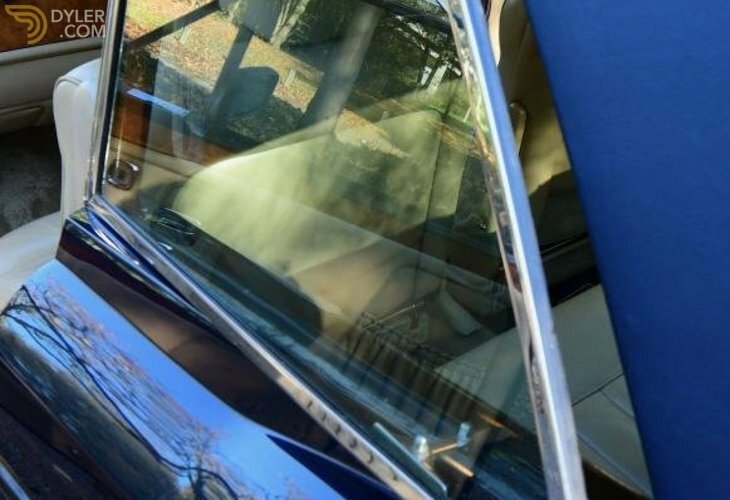 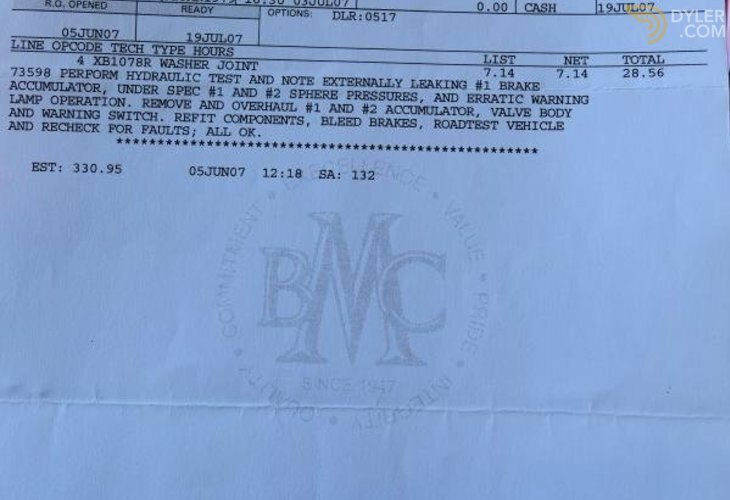 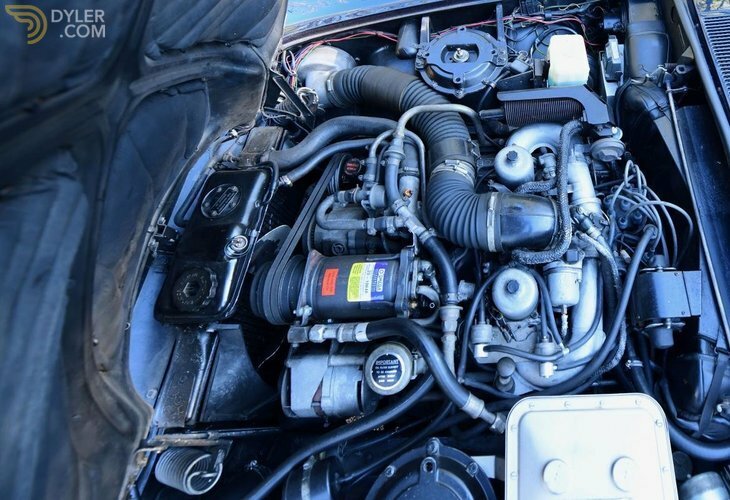 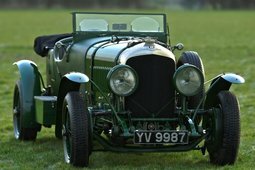 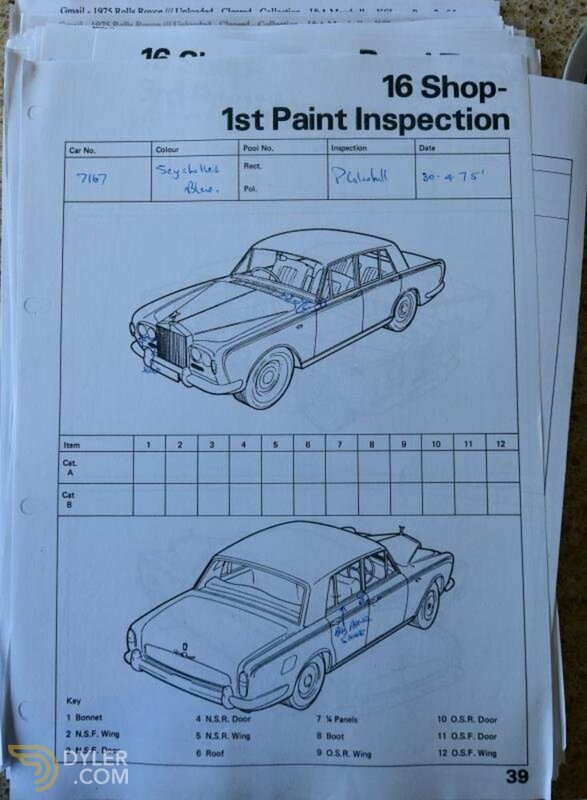 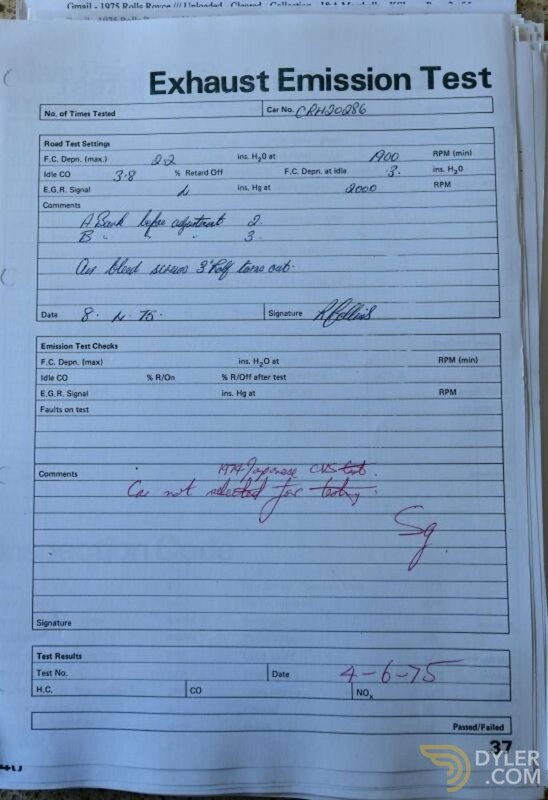 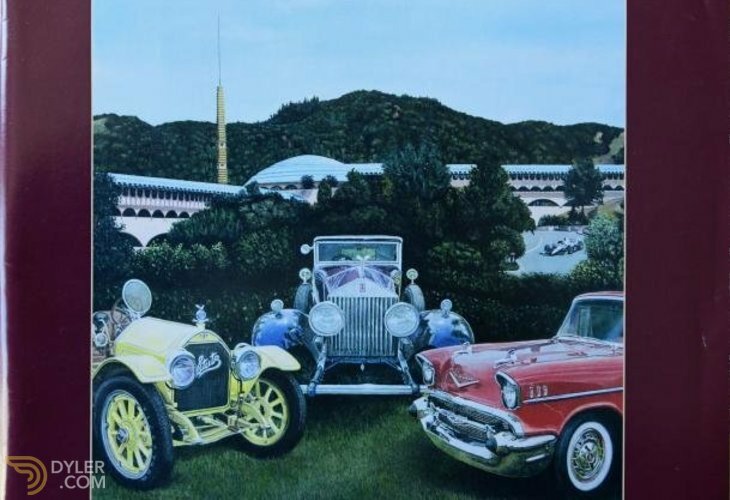 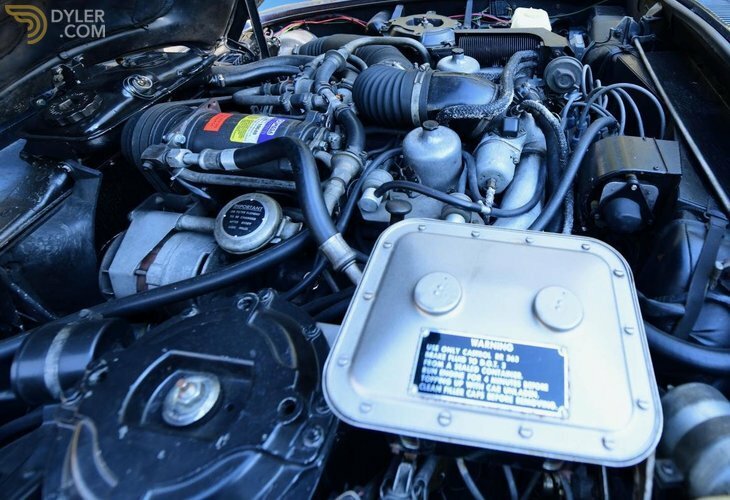 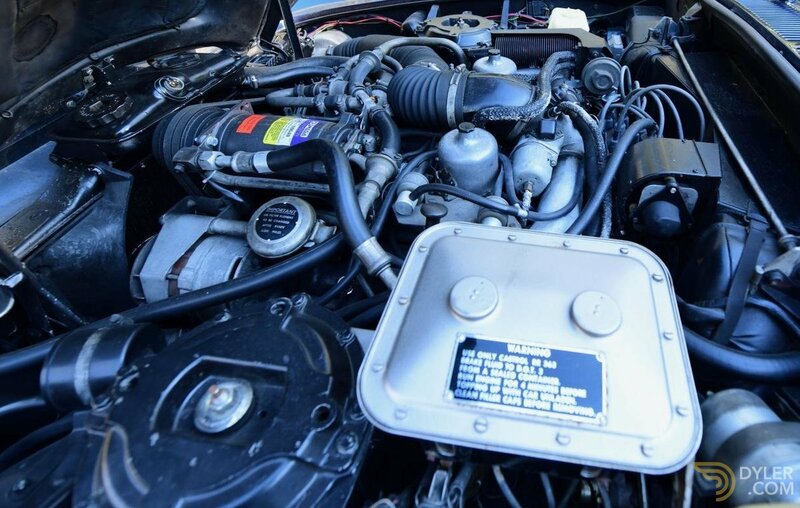 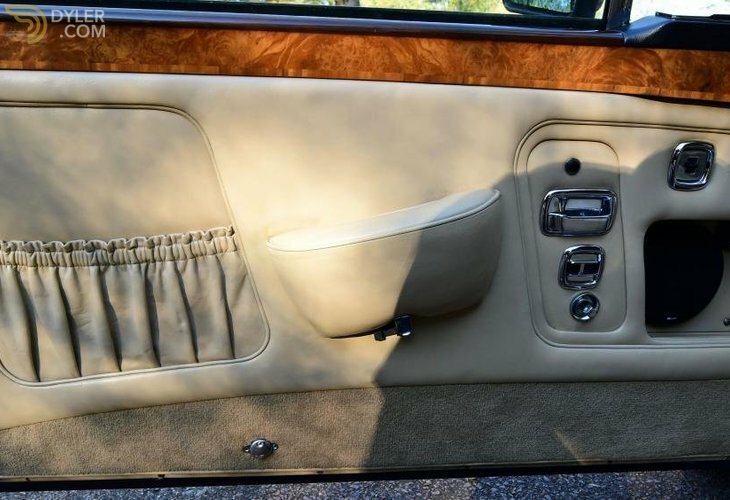 As evident in the photos, the whole car is in lovely condition. 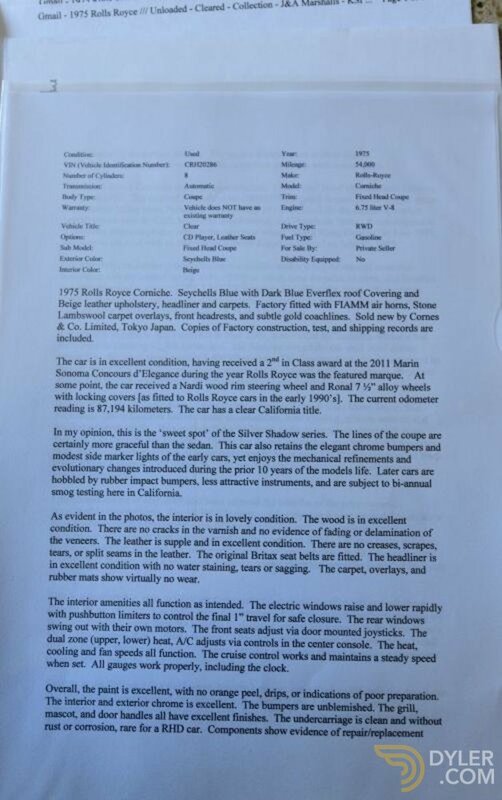 The wood is in excellent condition. 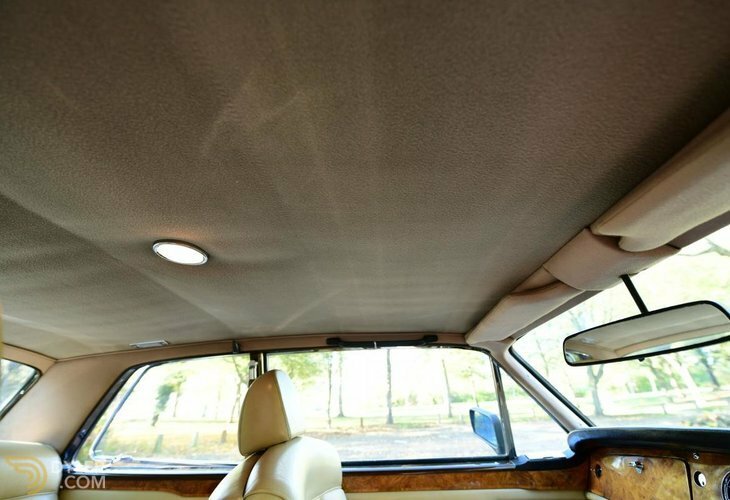 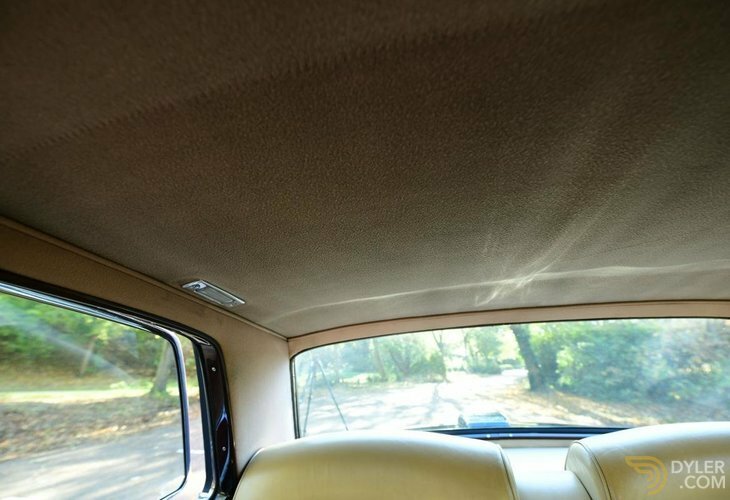 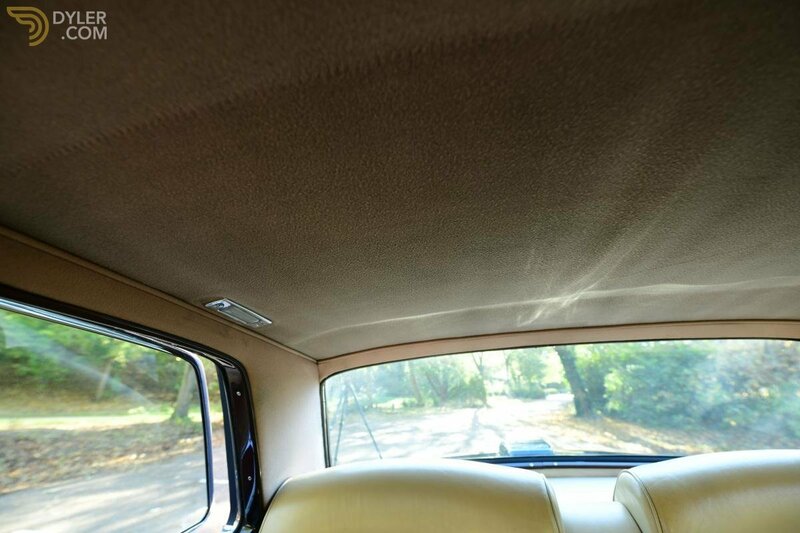 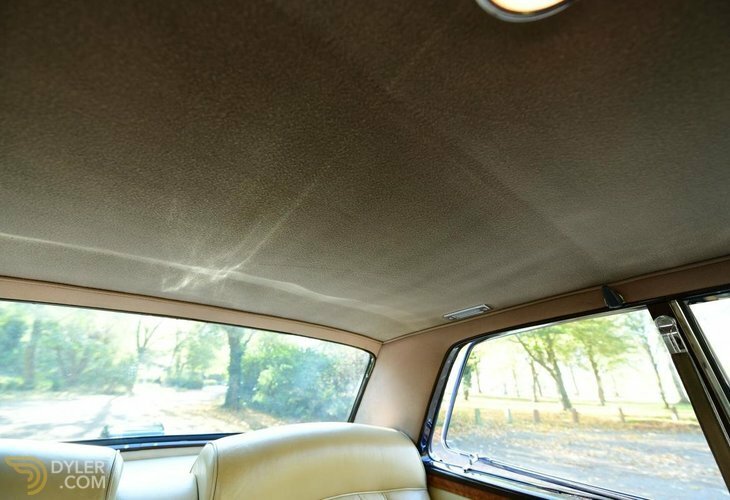 The headliner is in excellent condition with no water staining, tears or sagging. 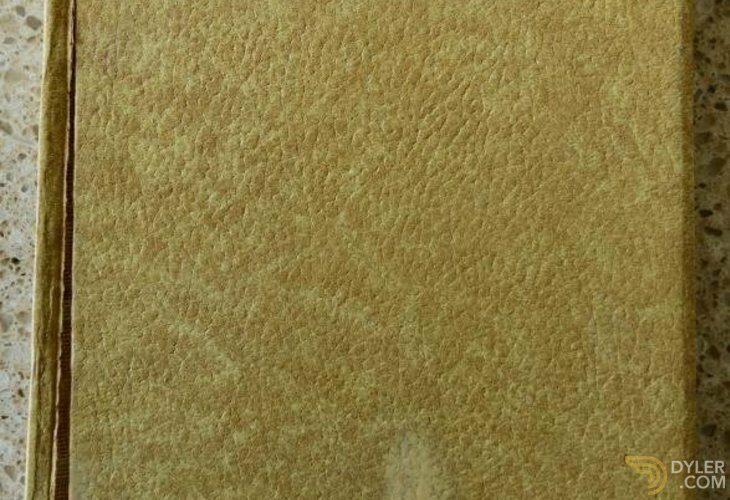 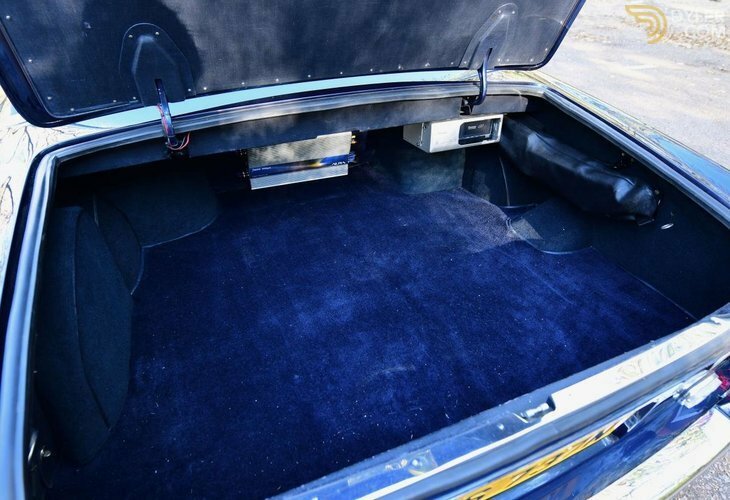 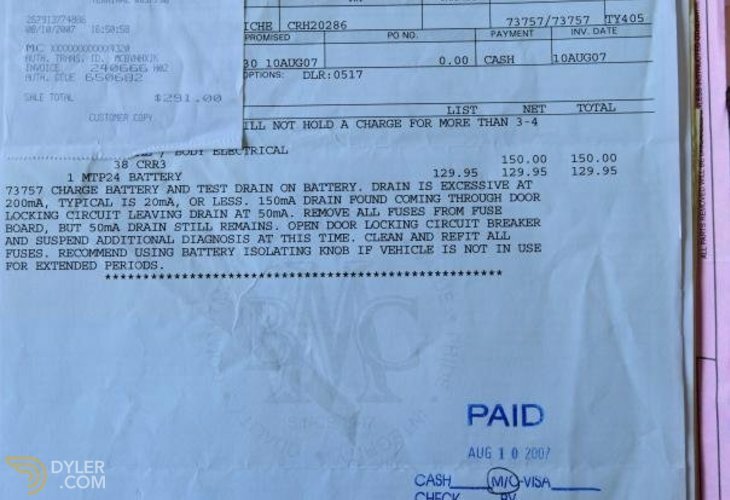 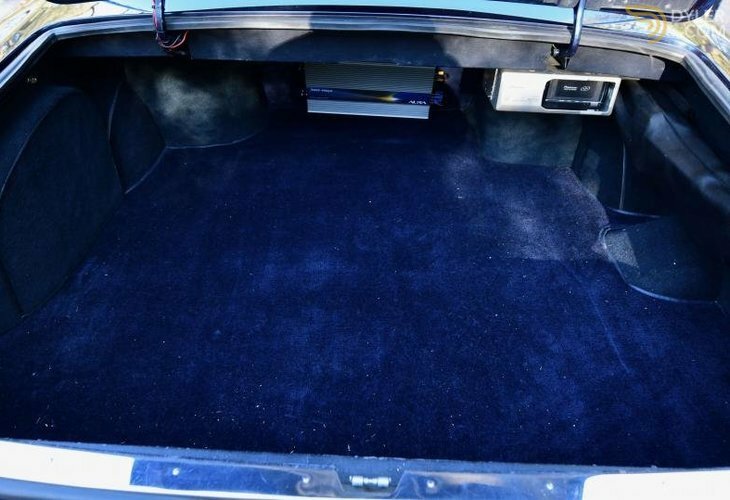 The carpet, overlays, and rubber mats show virtually no wear. 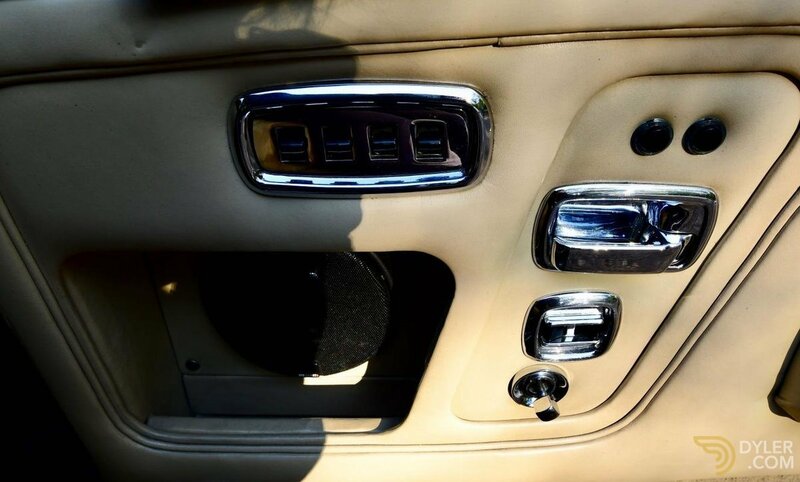 The electric windows raise and lower rapidly with pushbutton limiters to control the final 1” travel for safe closure. 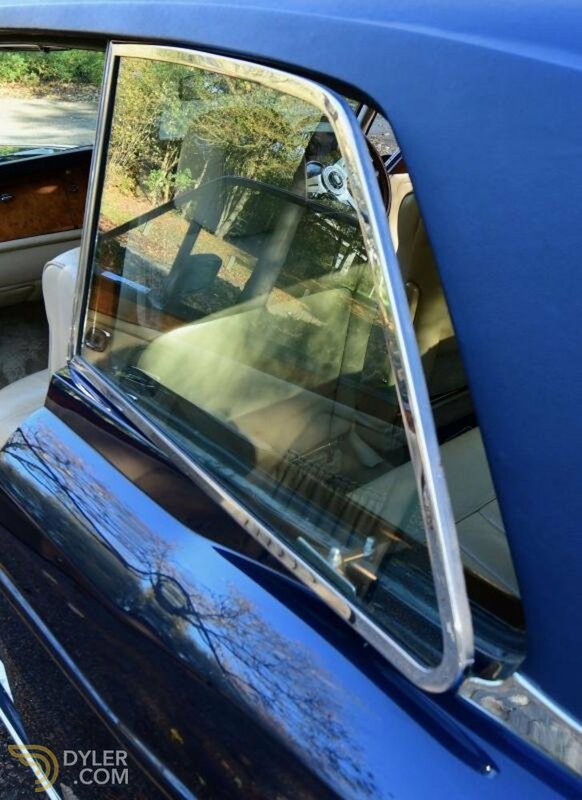 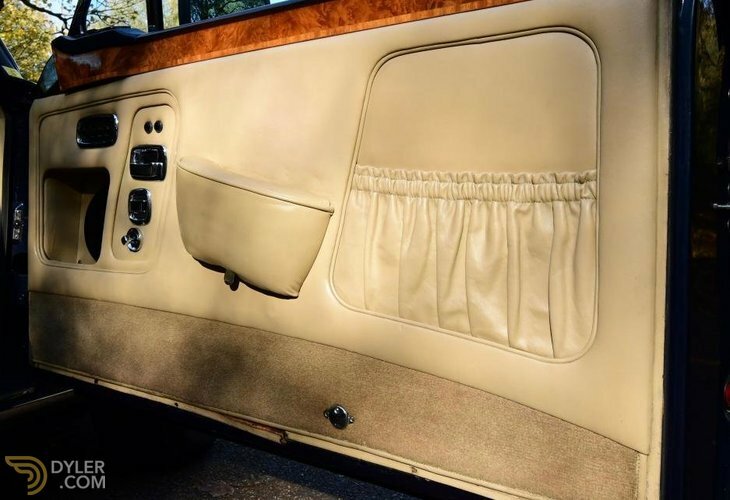 The rear windows swing out with their own motors. 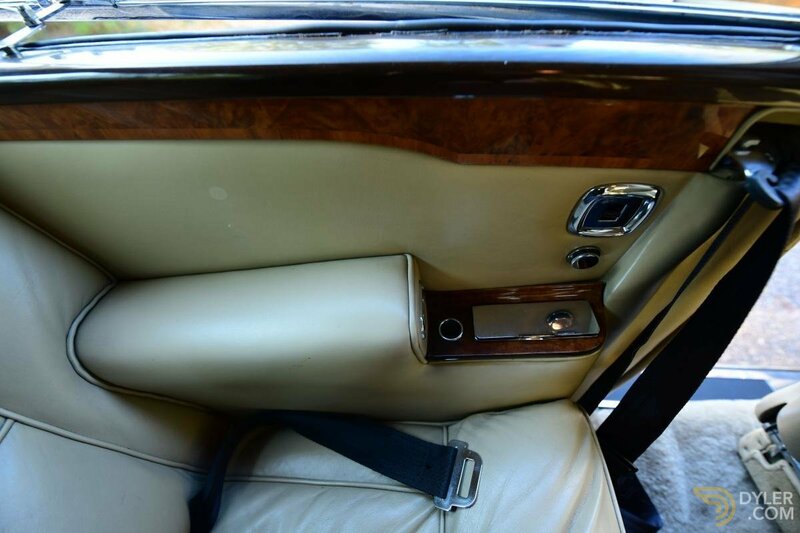 The front seats adjust via door mounted joysticks. 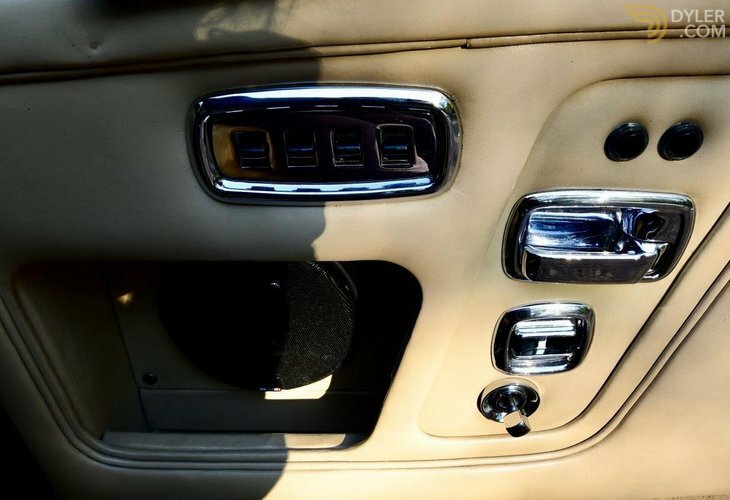 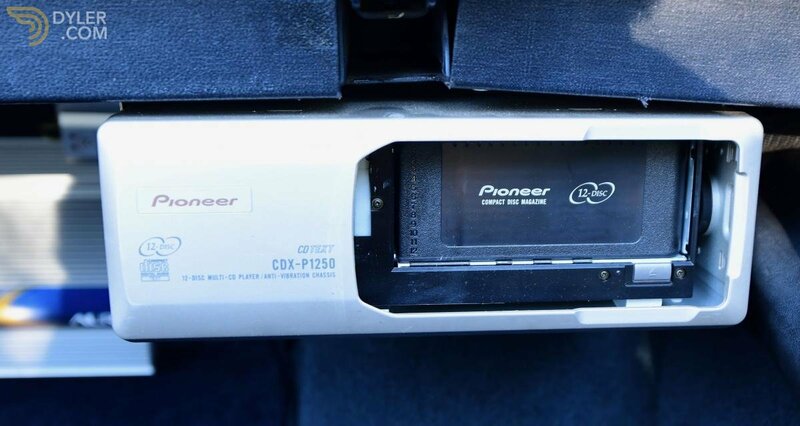 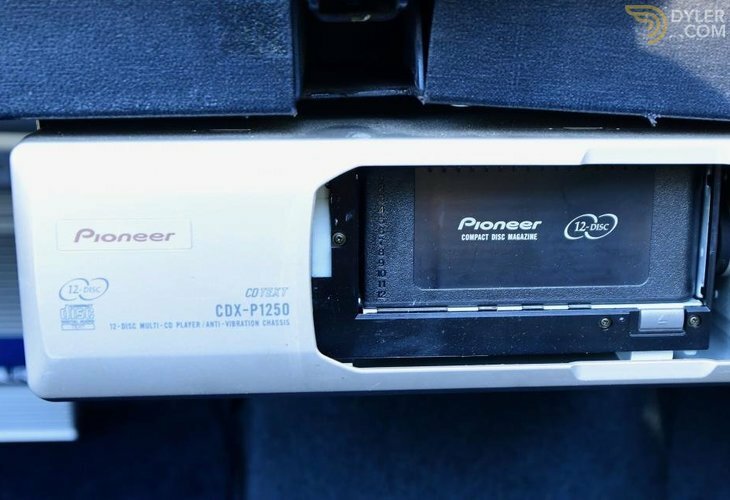 The dual zone (upper, lower) heat, A/C adjusts via controls in the centre console. 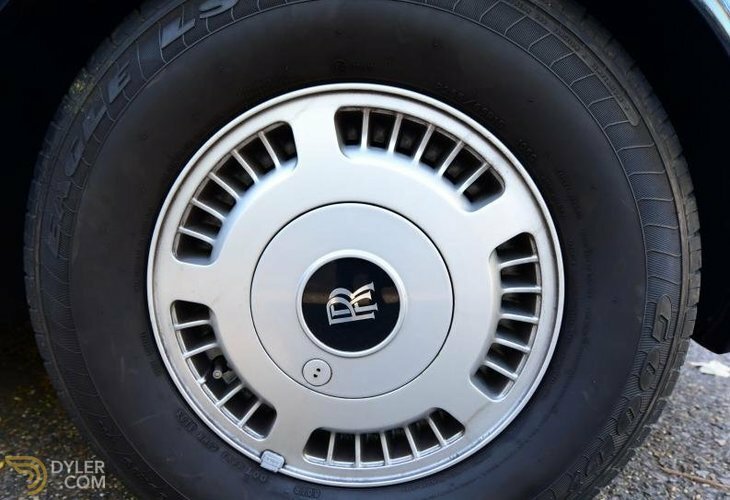 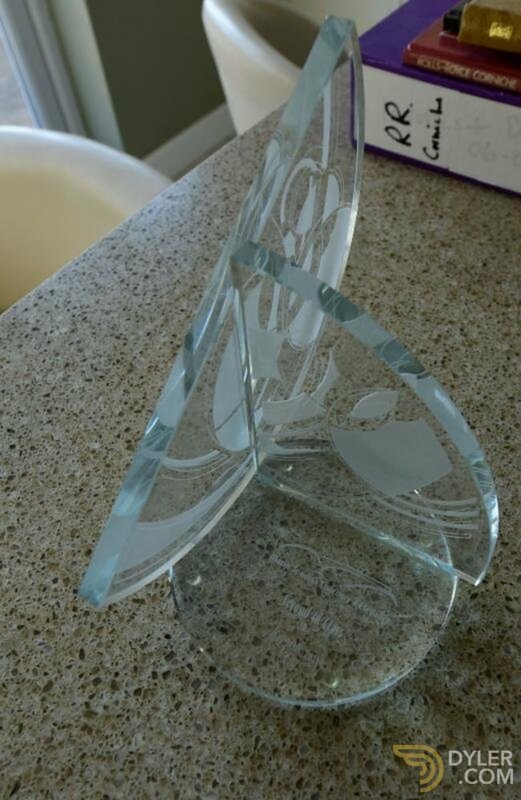 The heat, cooling and fan speeds all function. 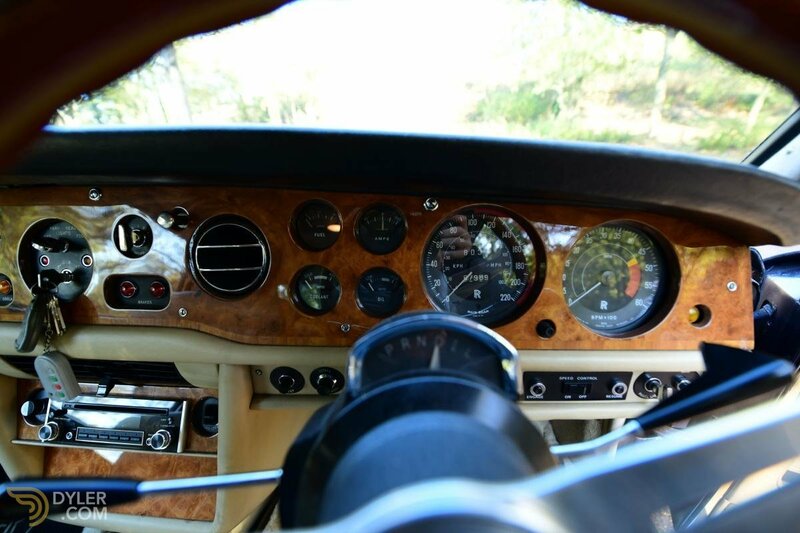 The cruise control works and maintains a steady speed when set. 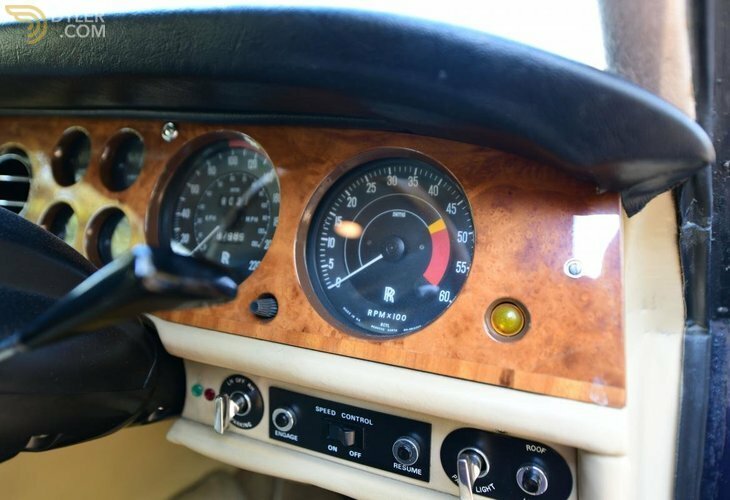 All gauges work properly, including the clock. 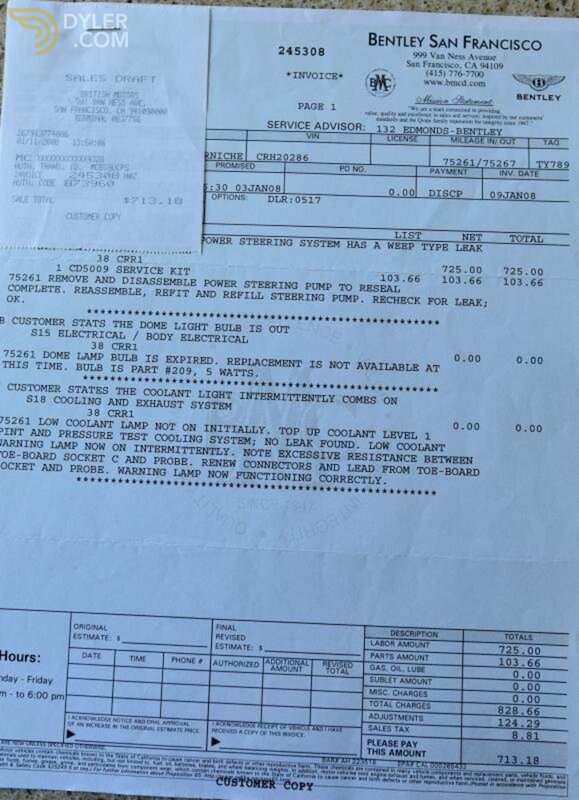 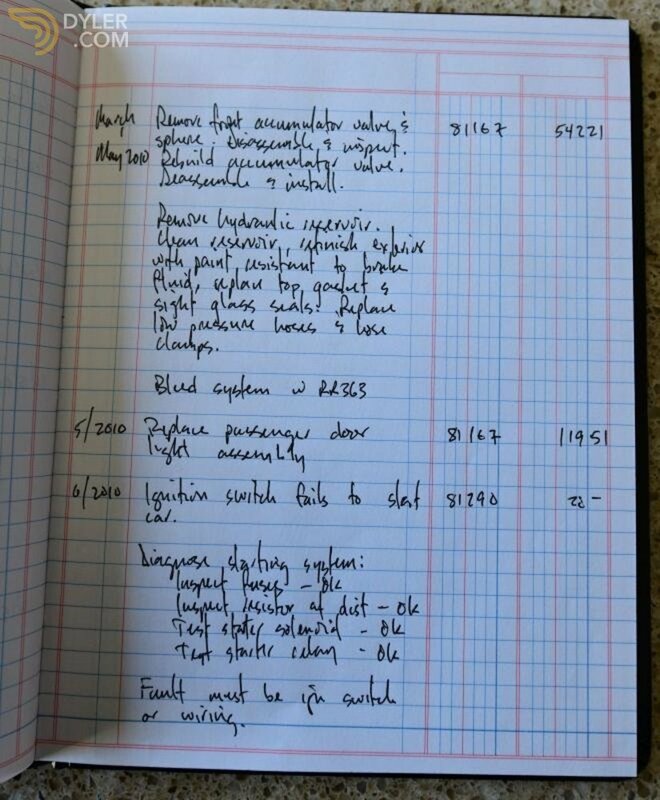 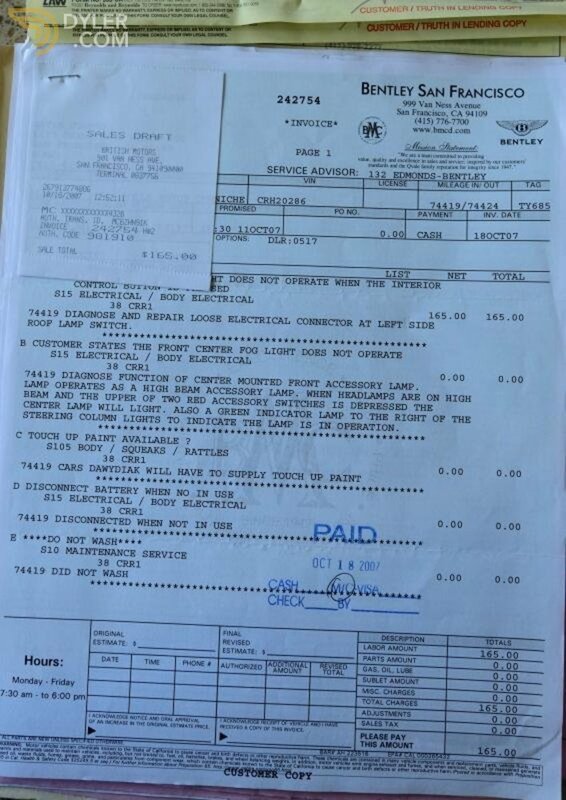 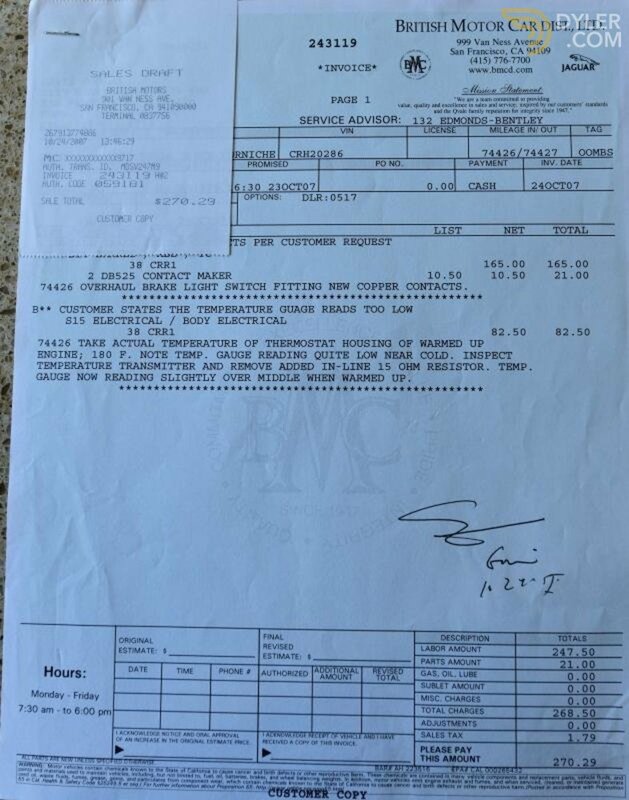 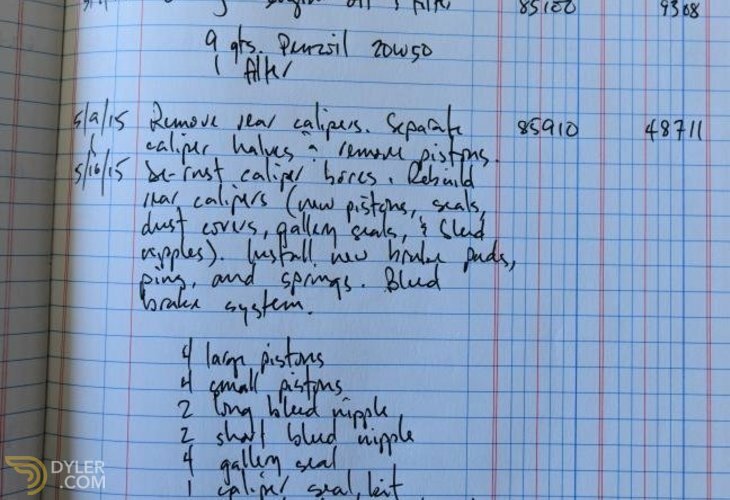 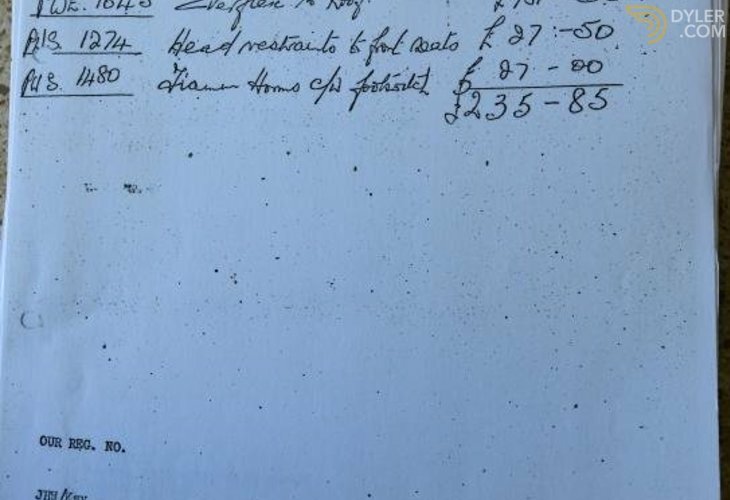 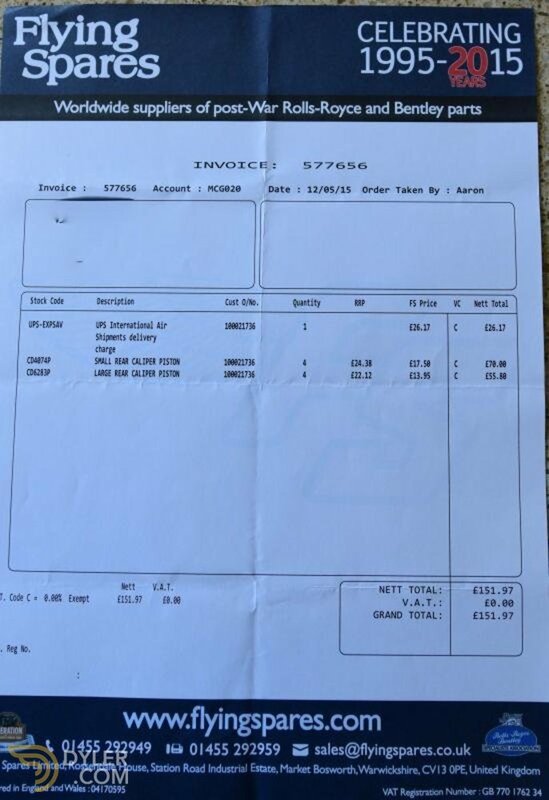 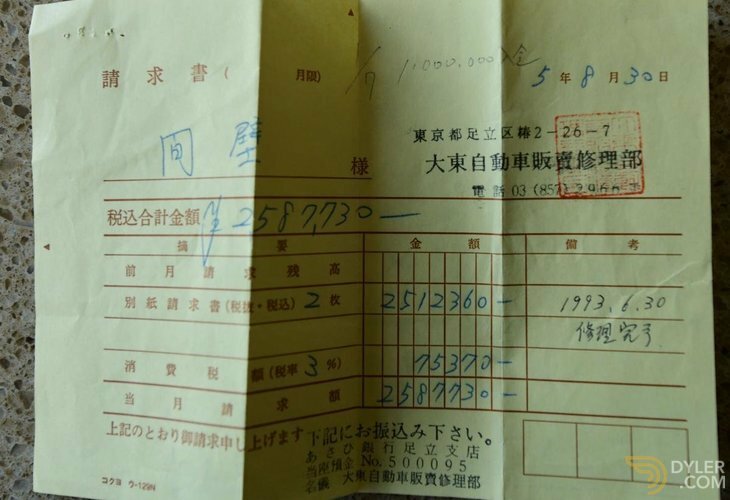 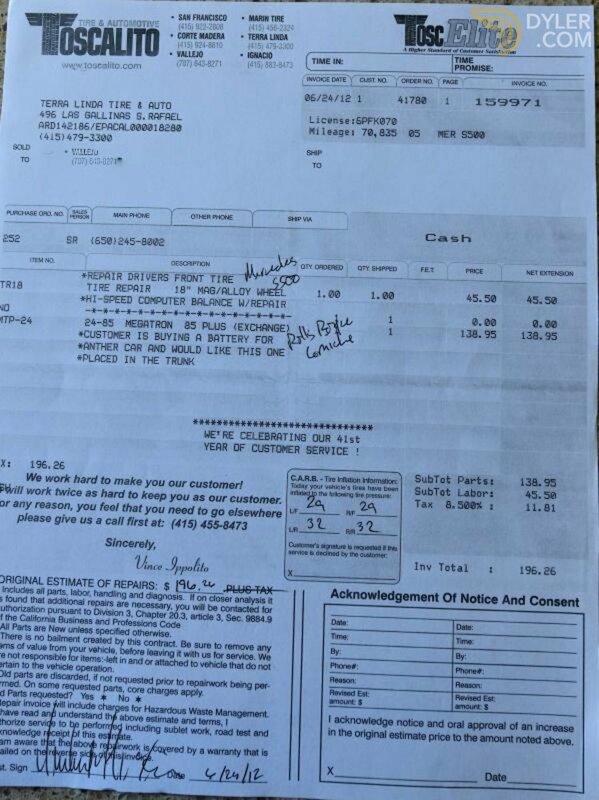 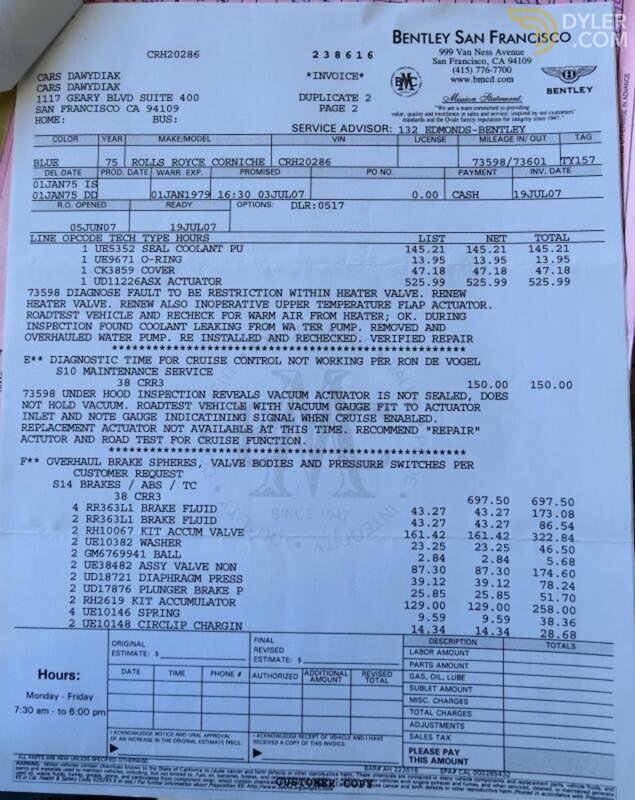 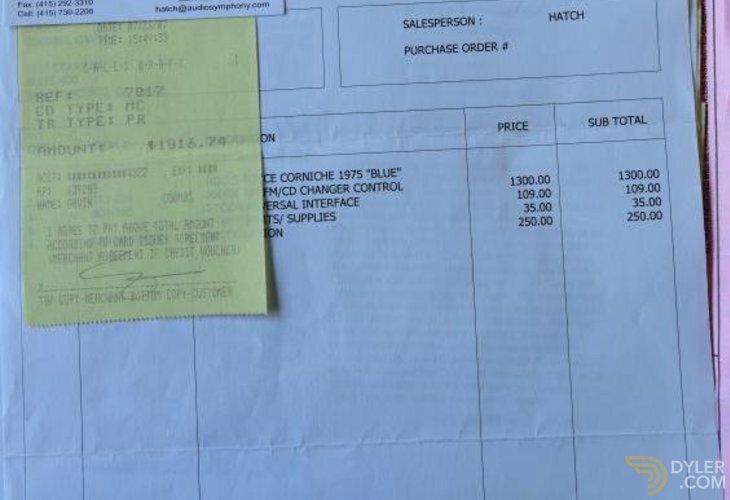 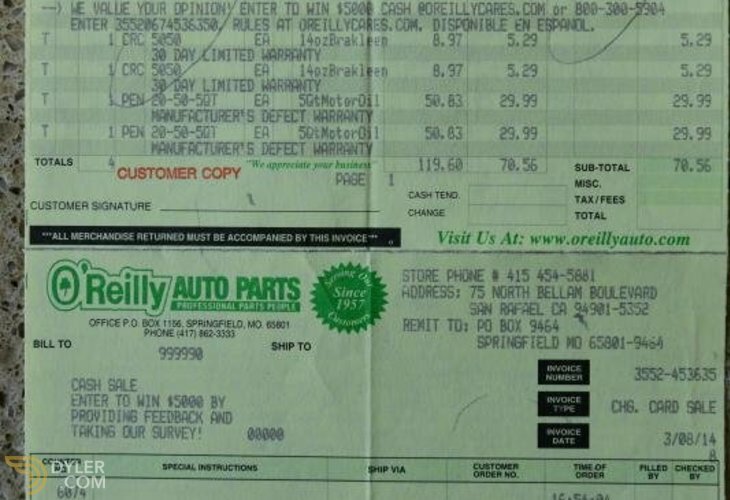 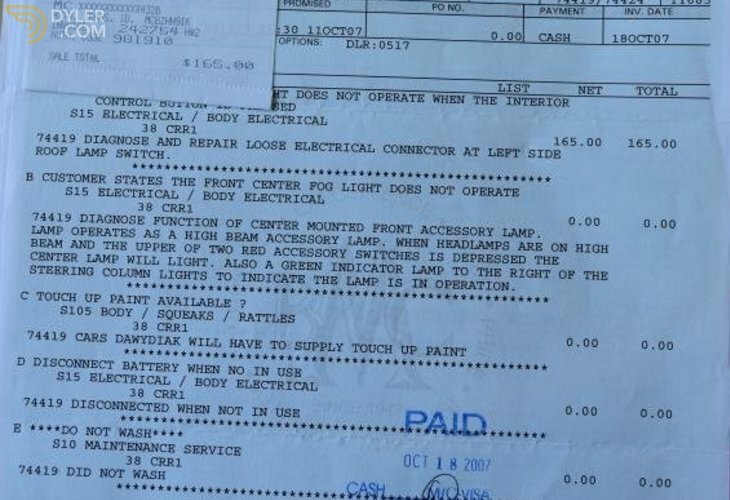 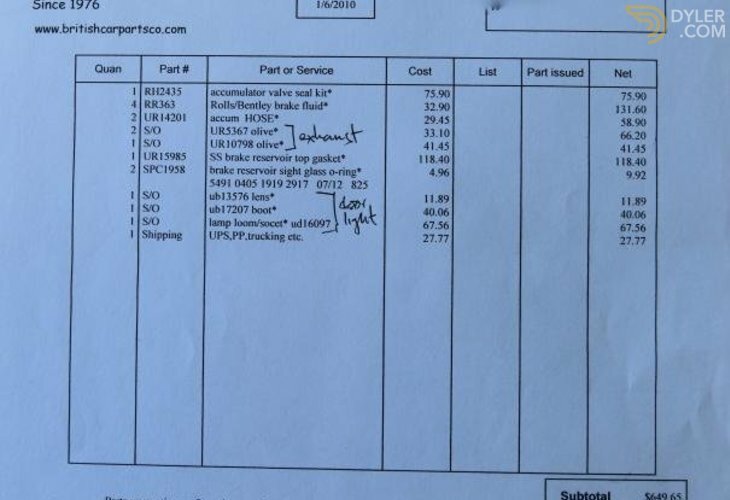 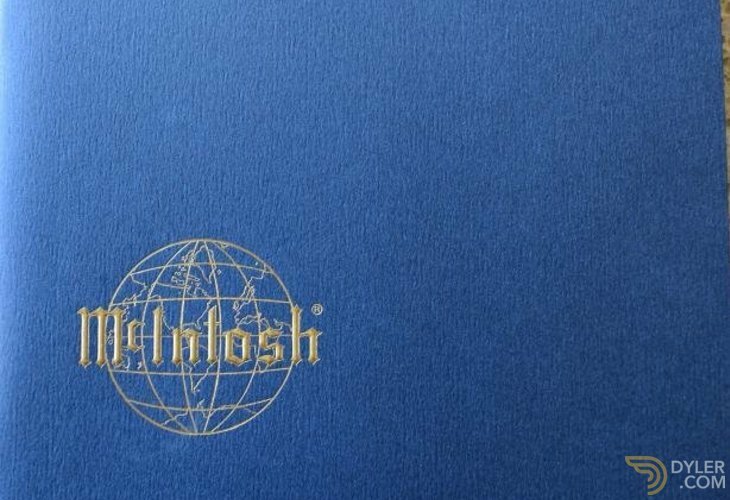 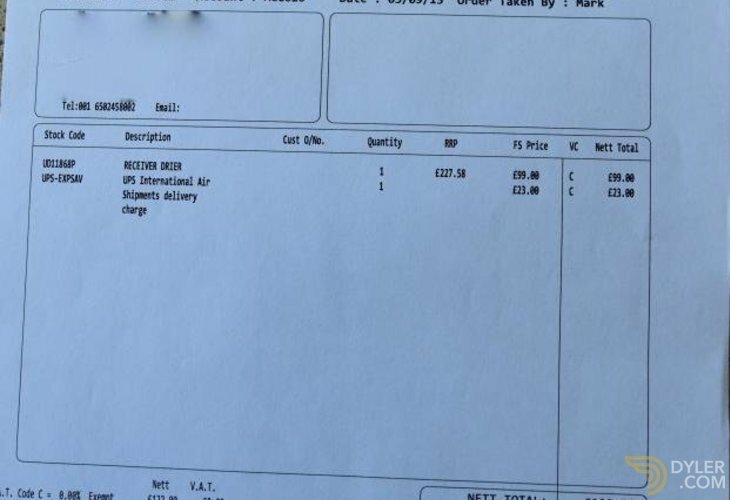 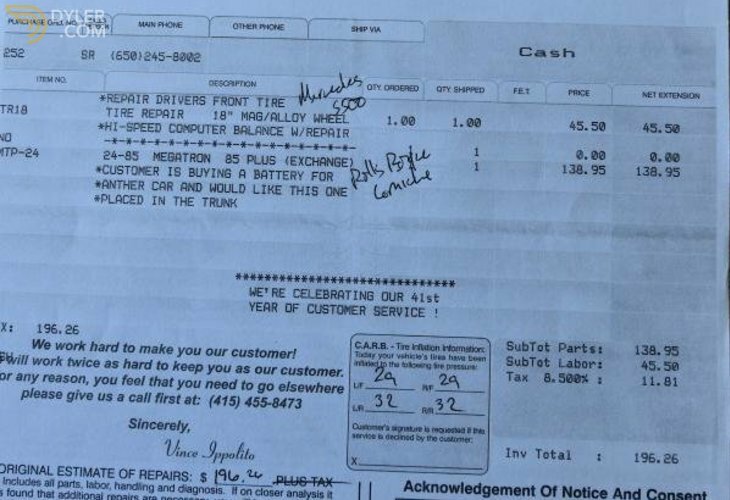 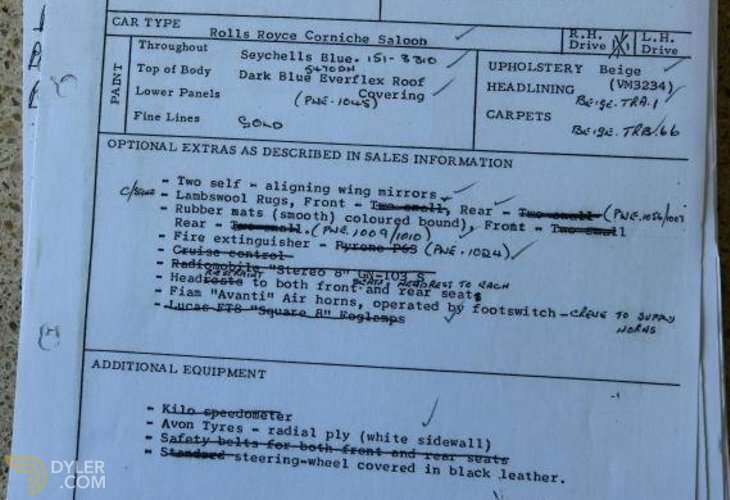 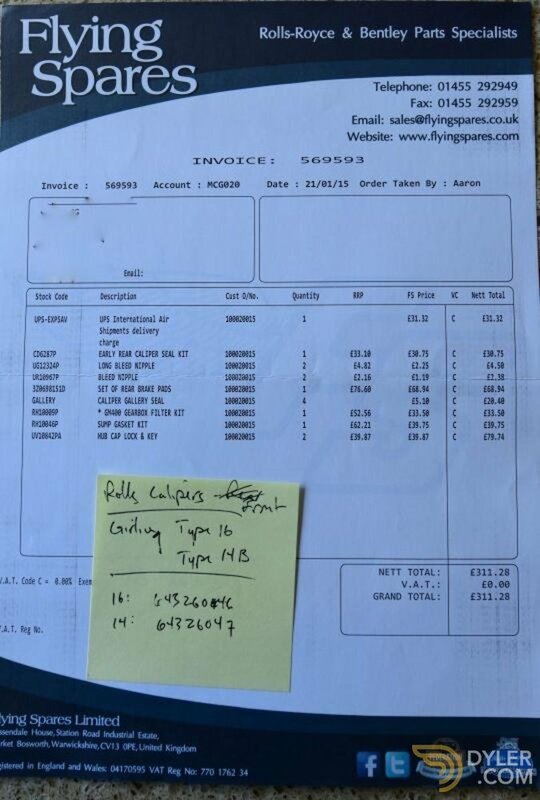 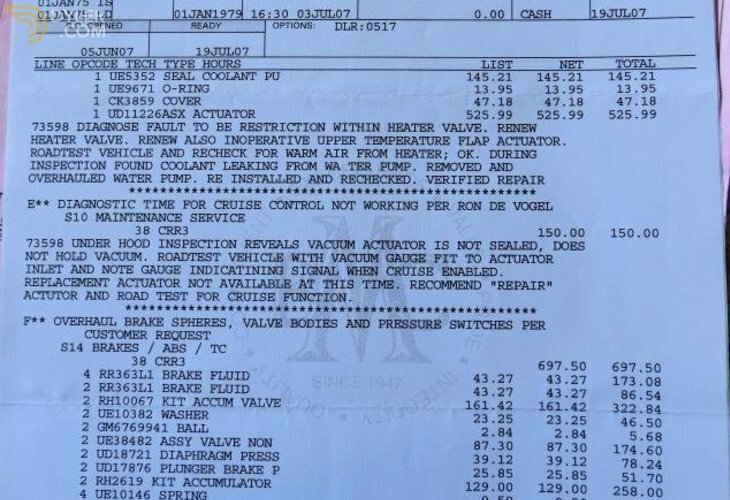 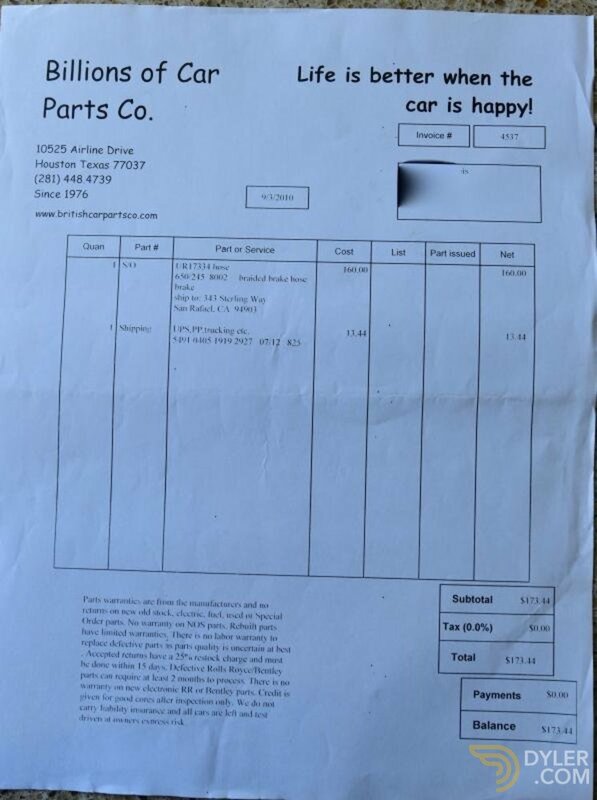 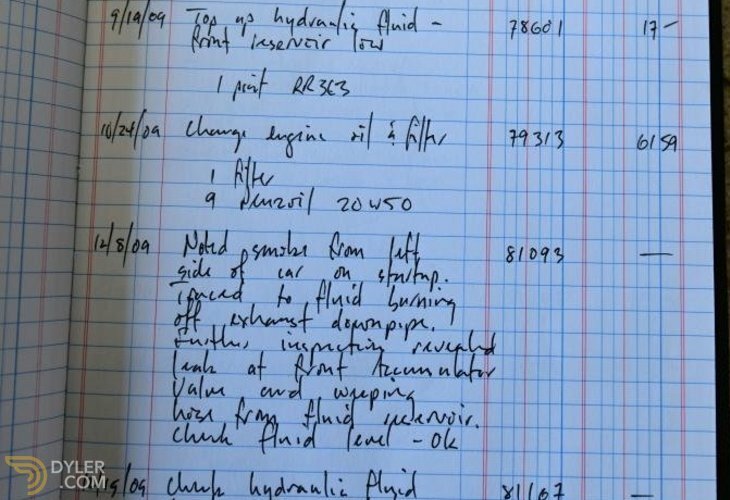 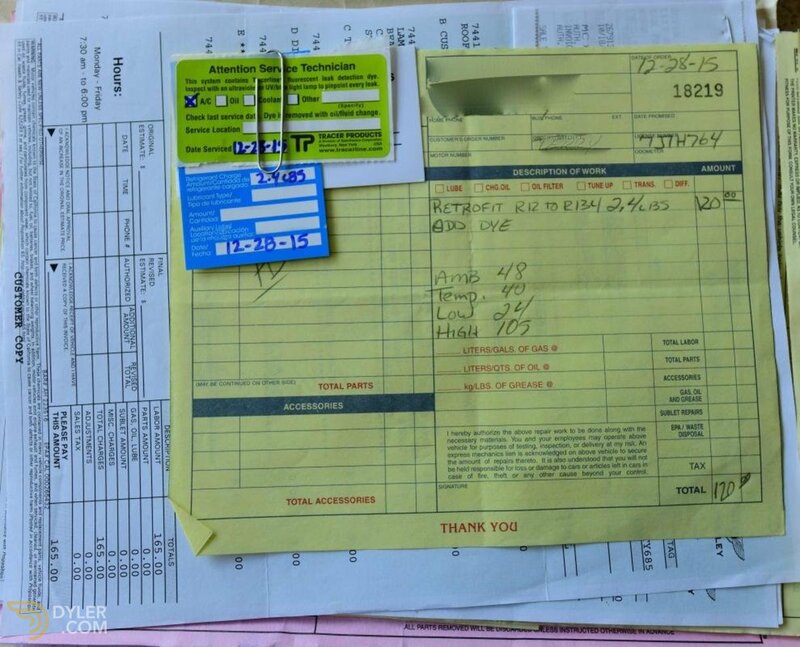 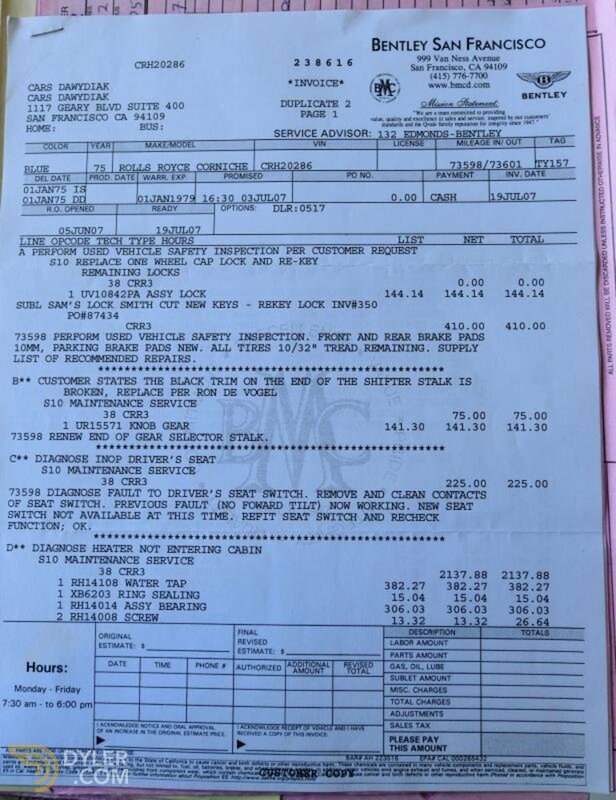 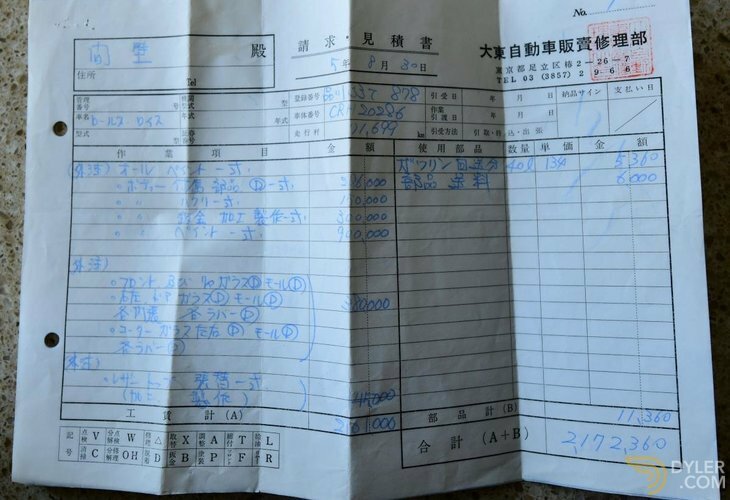 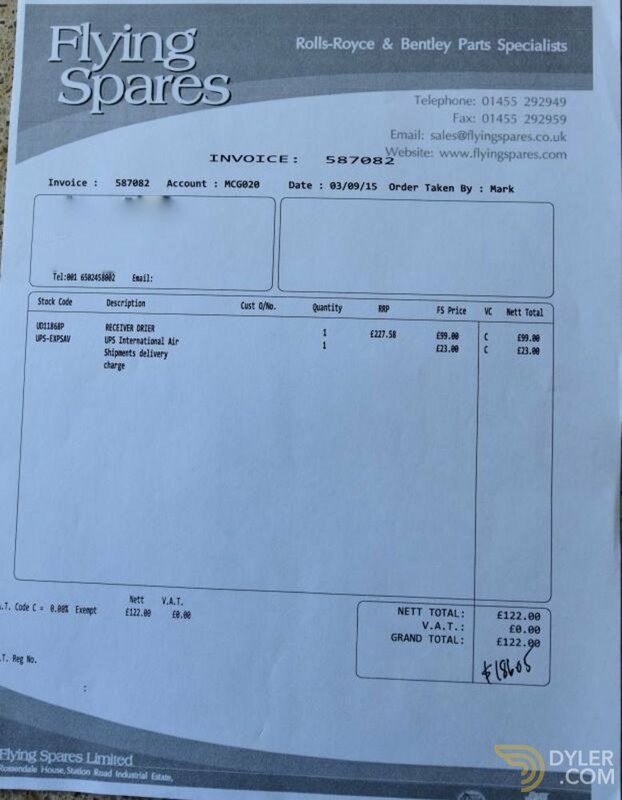 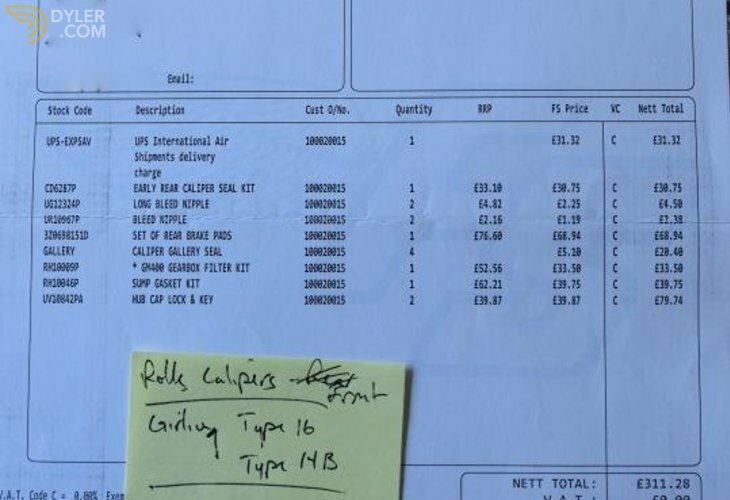 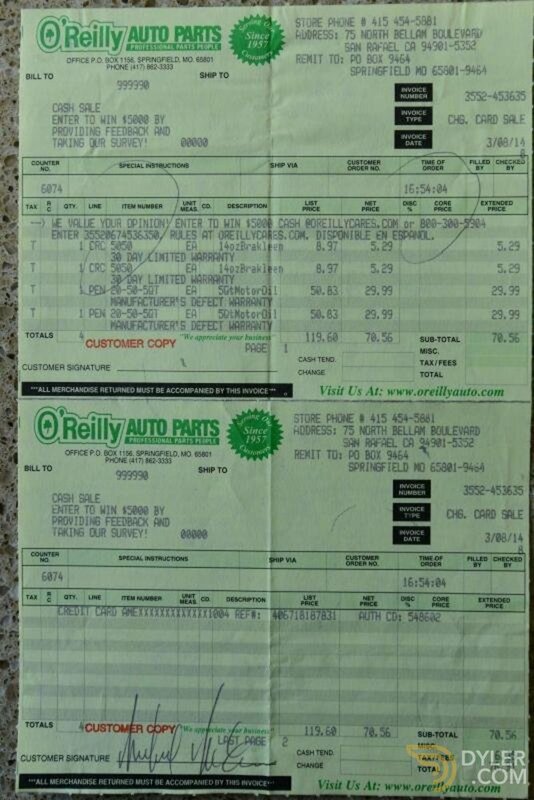 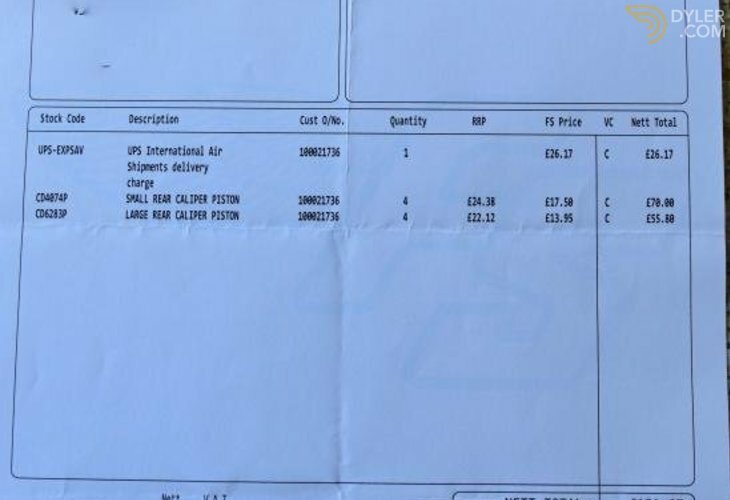 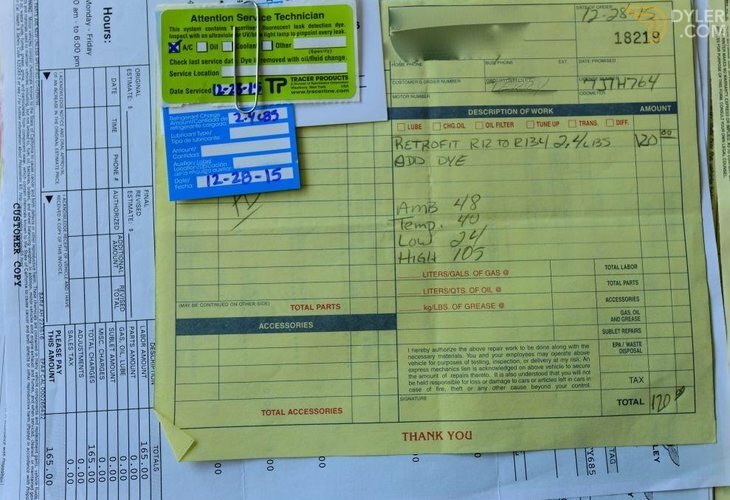 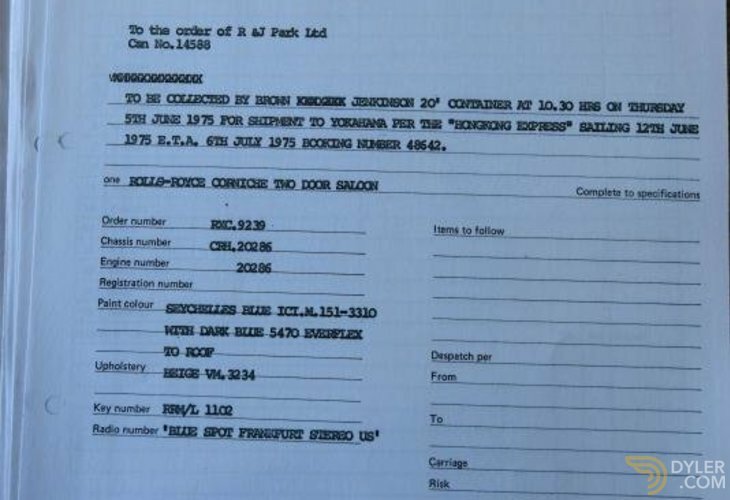 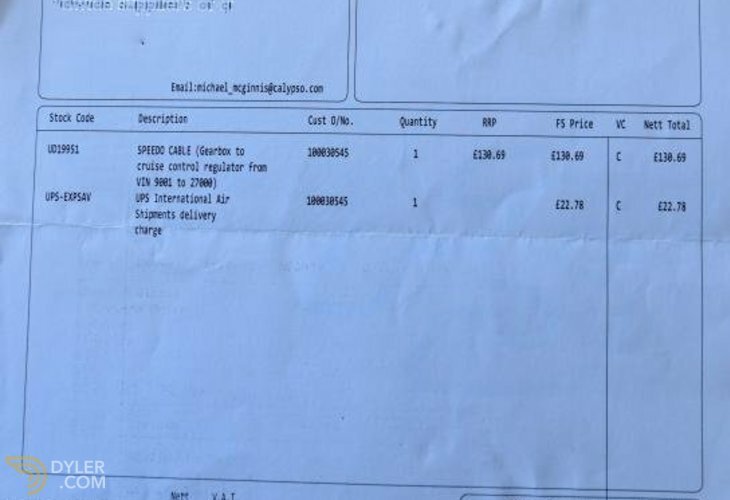 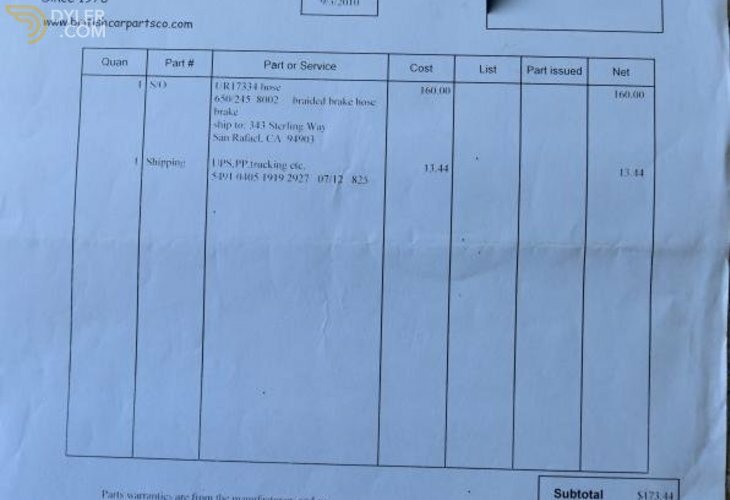 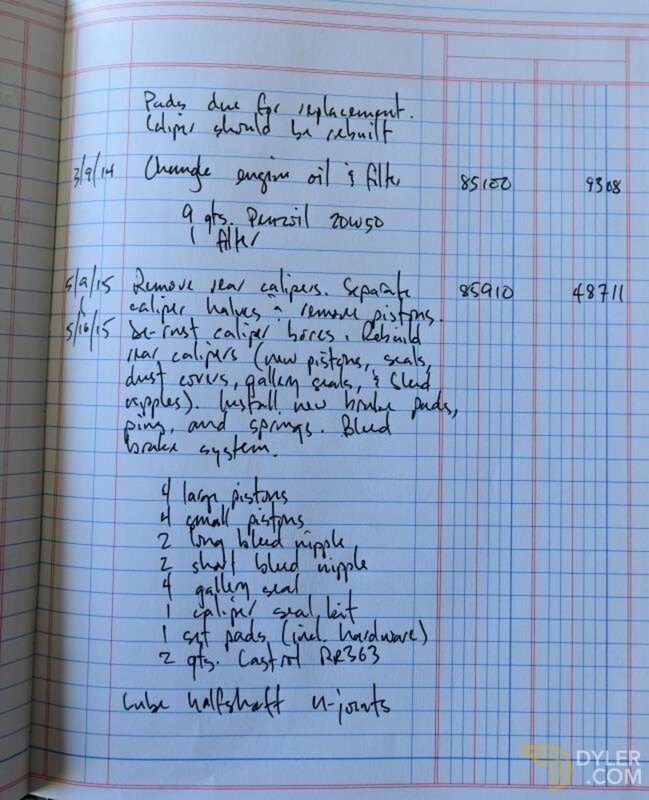 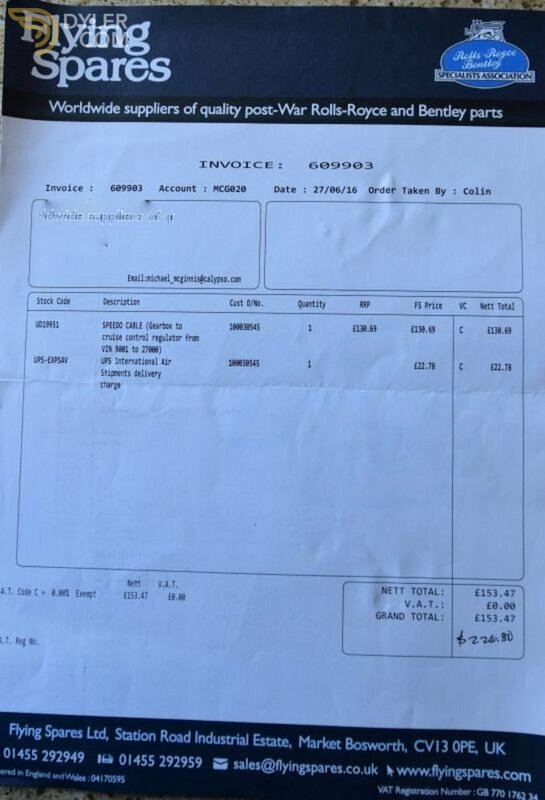 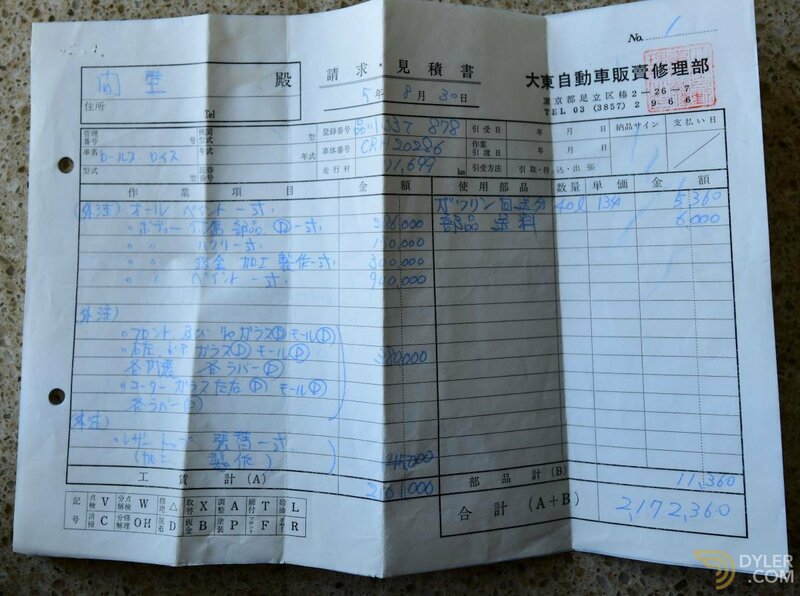 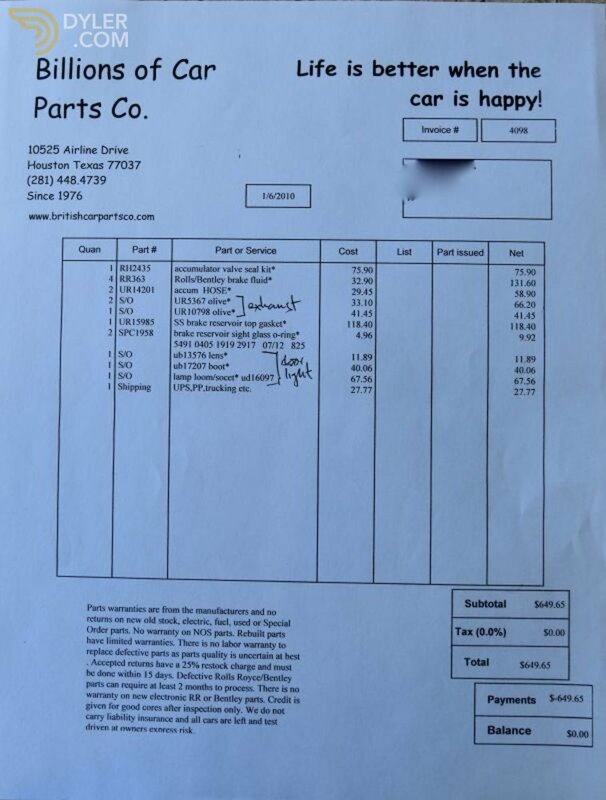 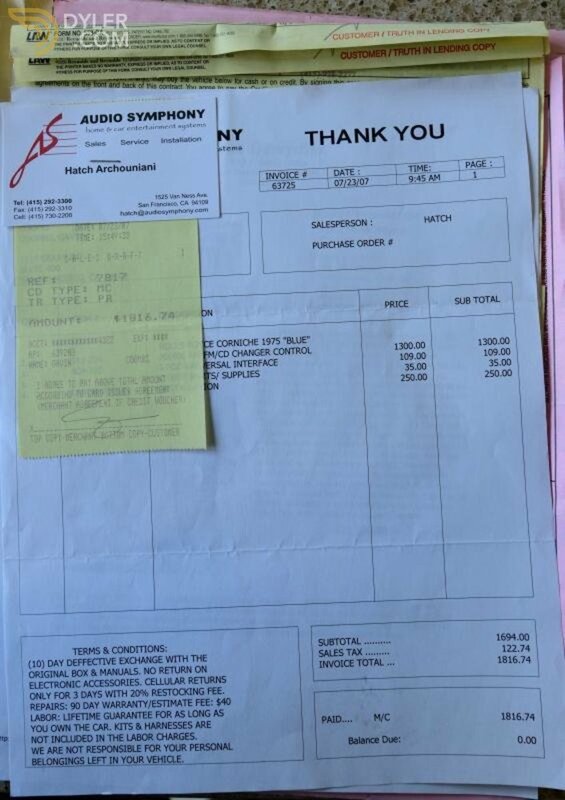 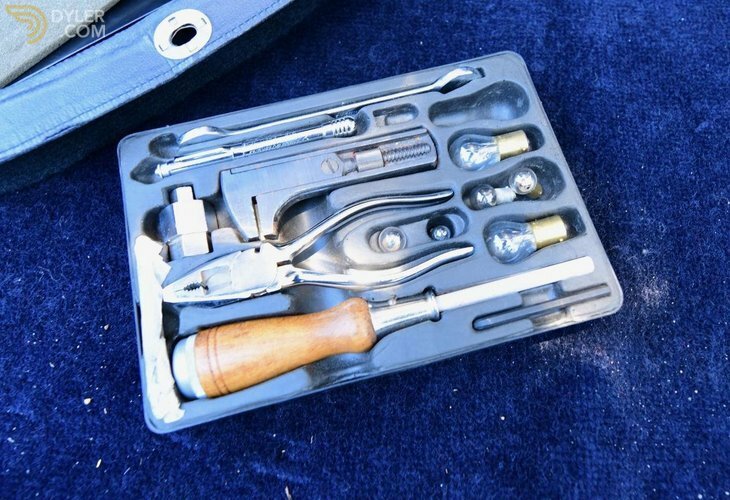 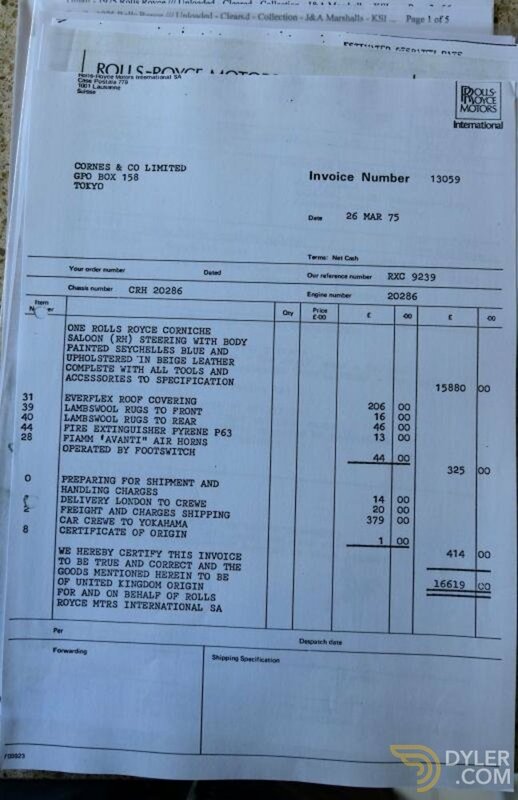 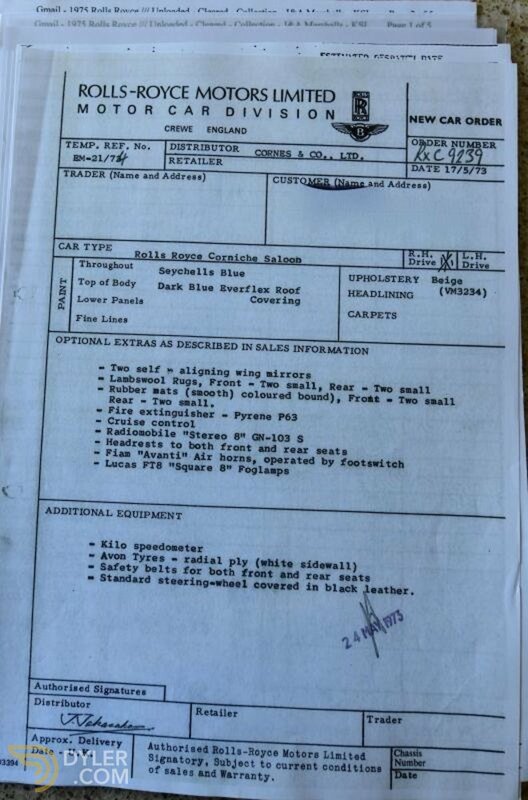 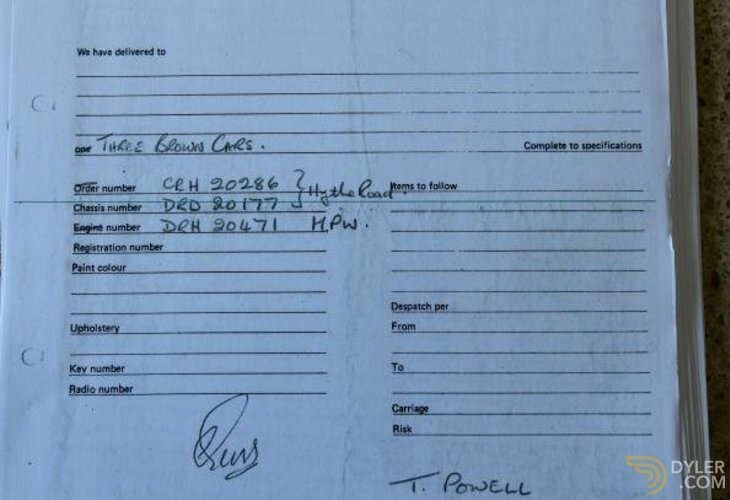 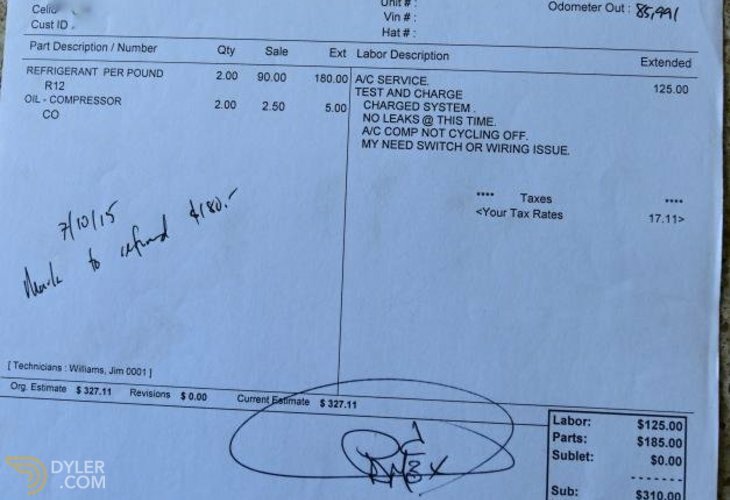 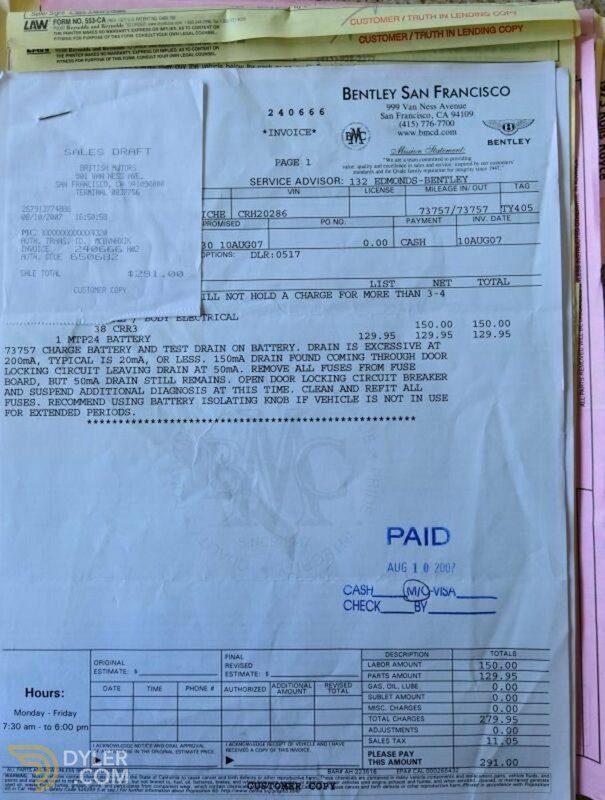 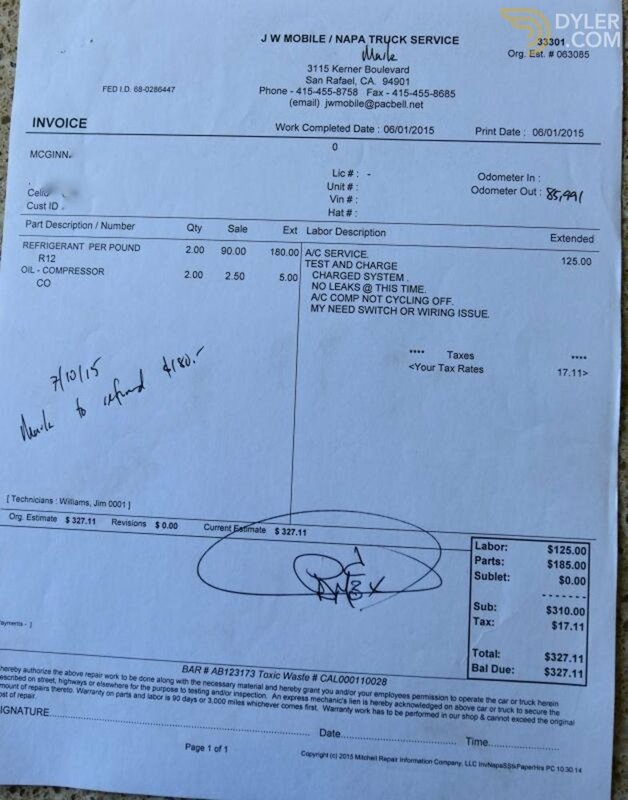 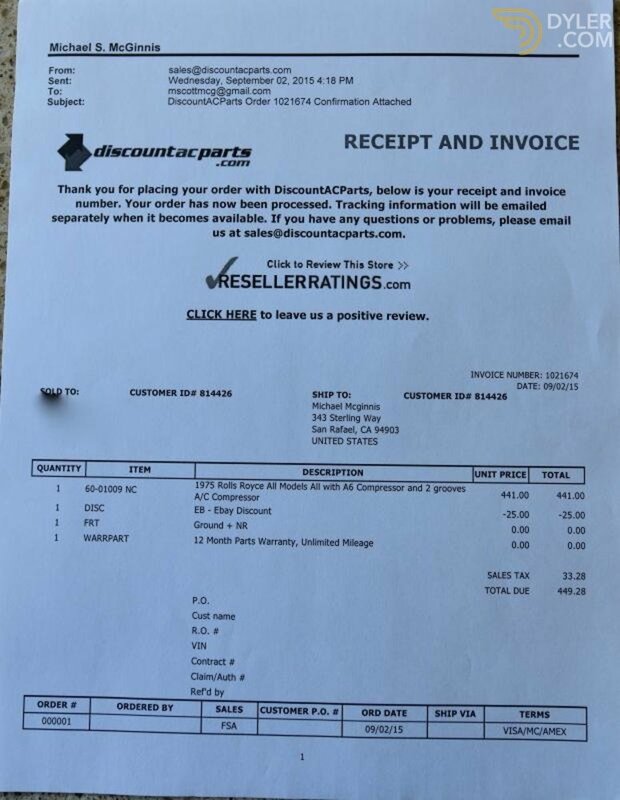 There is a box file of receipts and photos, even the tool kit which is obviously complete, has the factory tissue coverings. 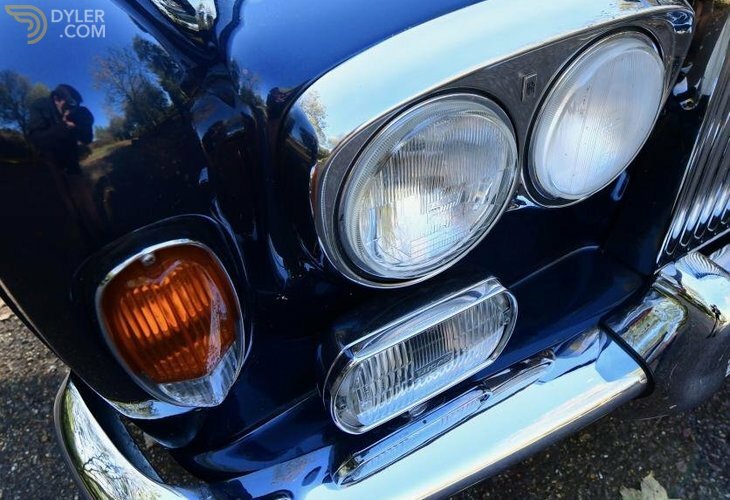 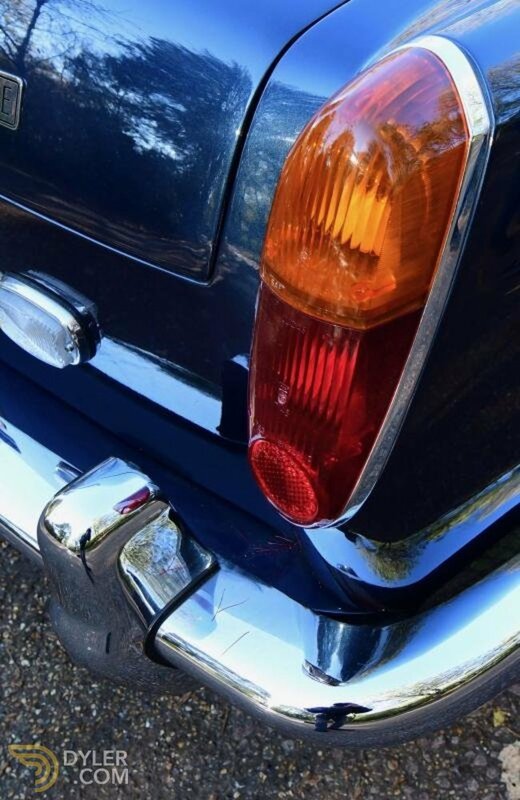 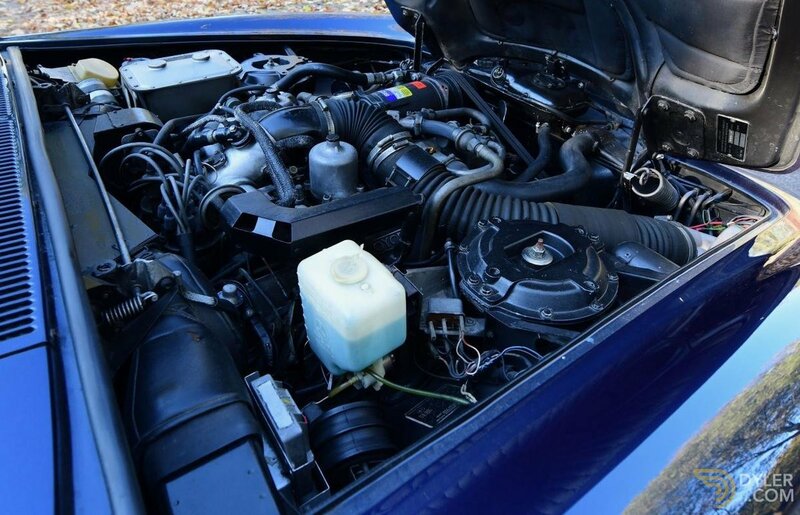 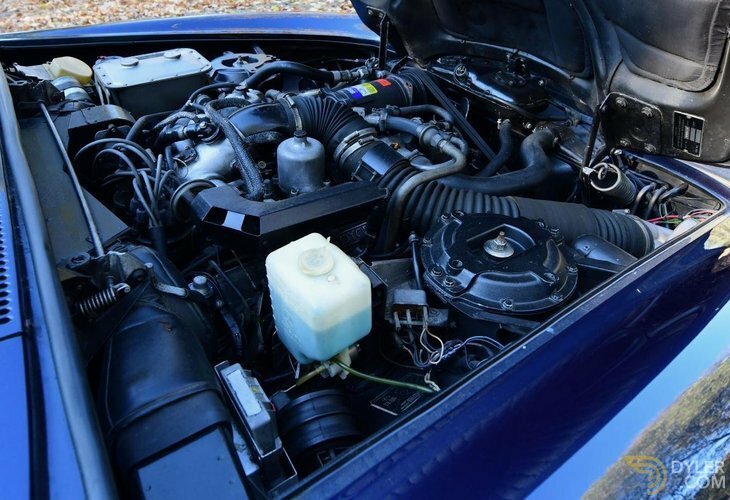 This exmaple is in showroom condition, the dark blue paint is in perfect condition, having been garaged all of it’s life. 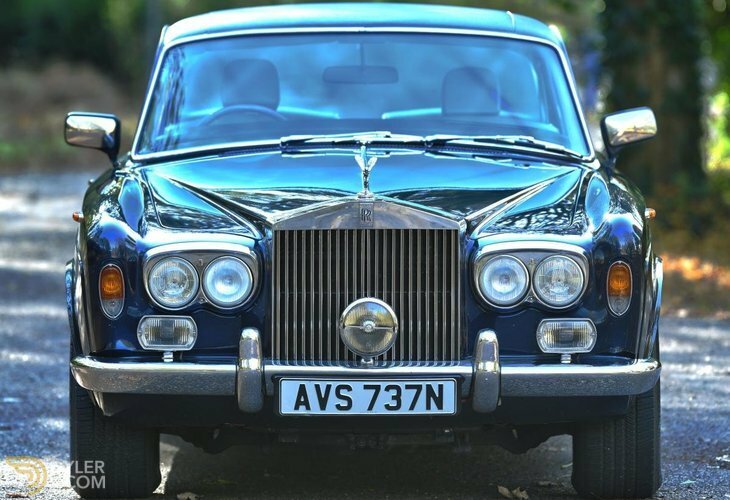 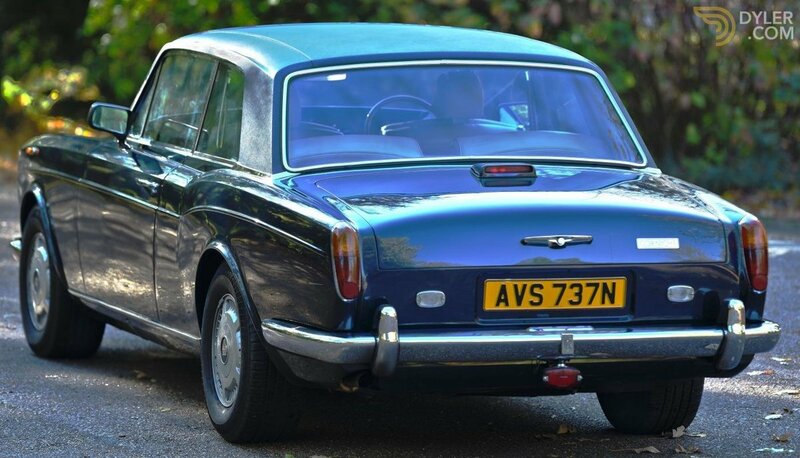 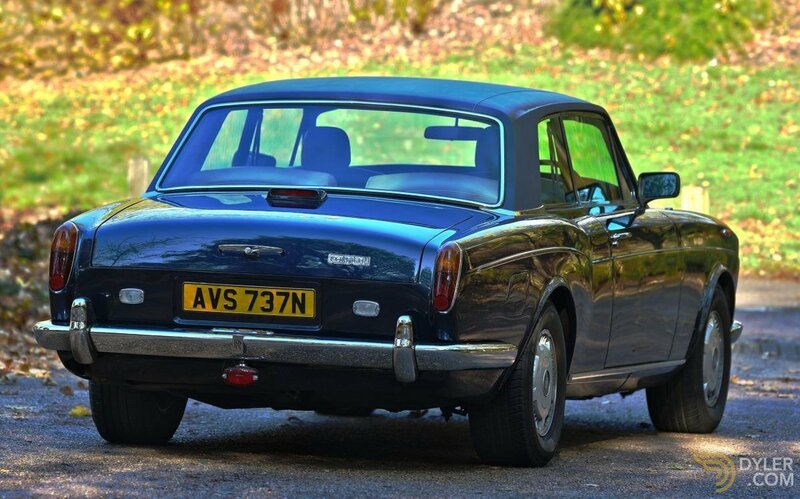 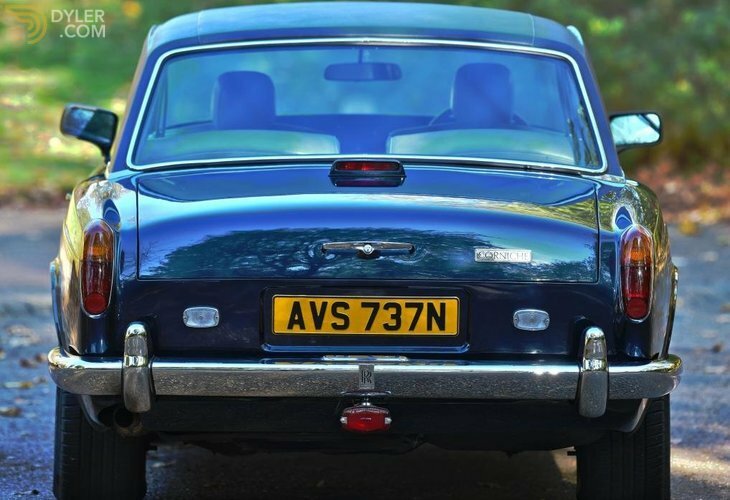 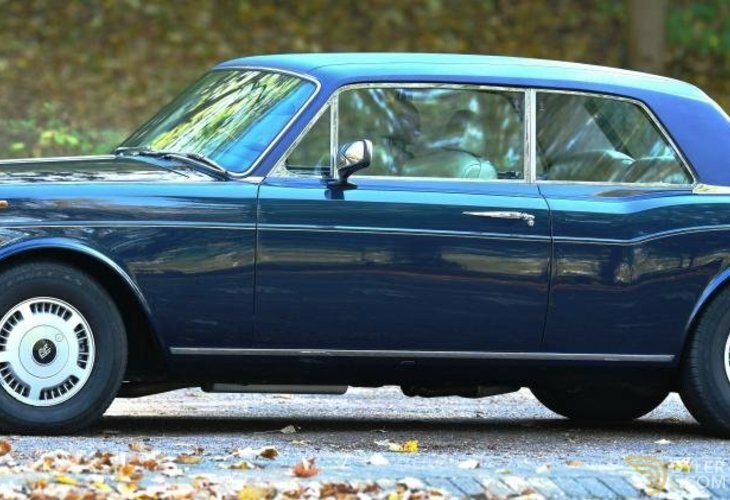 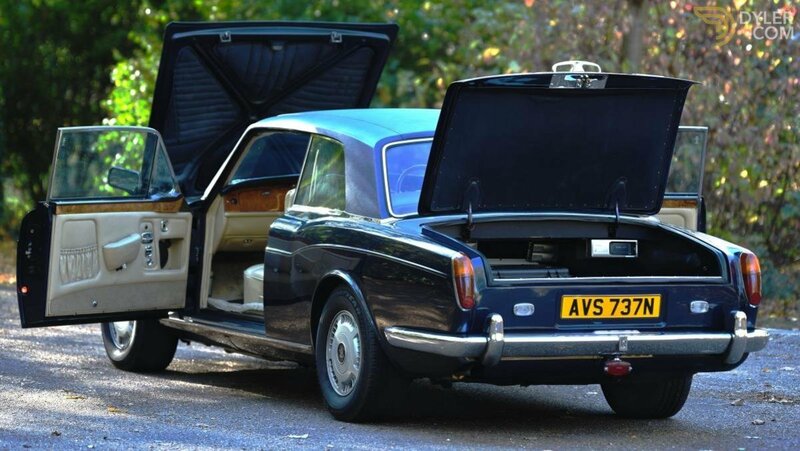 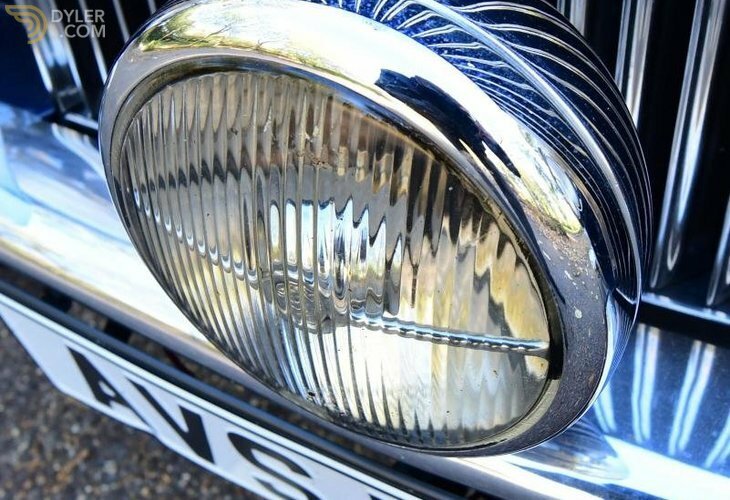 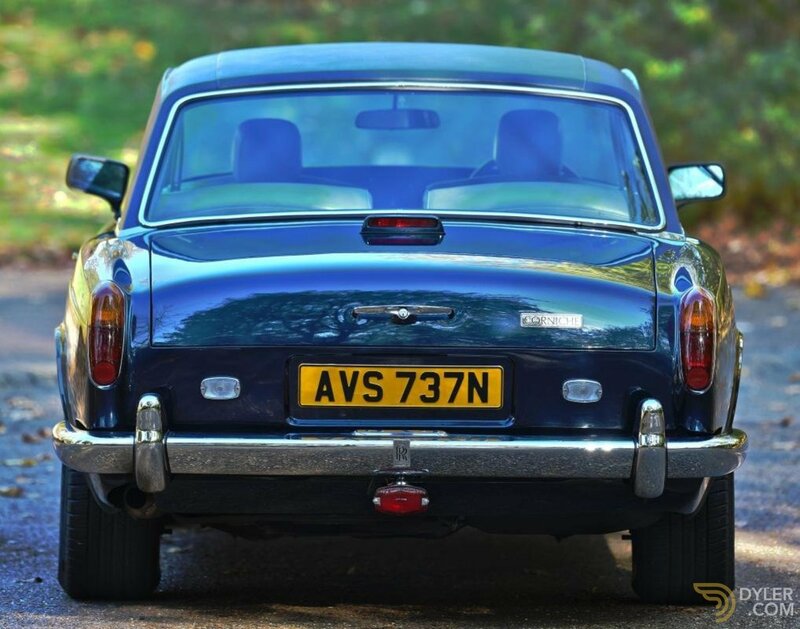 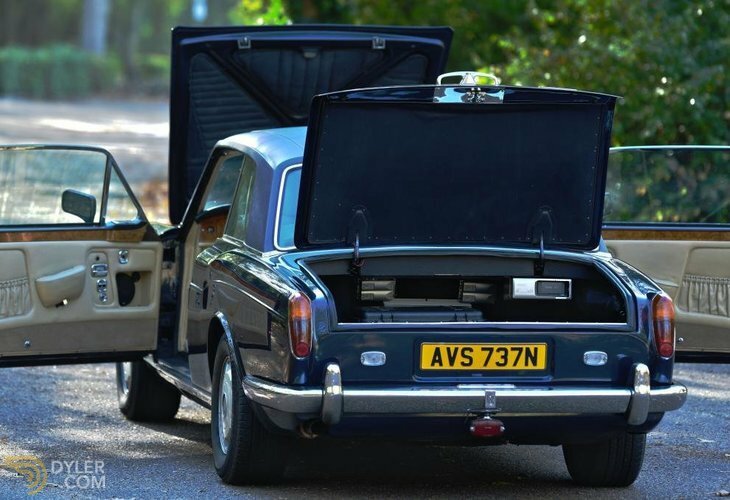 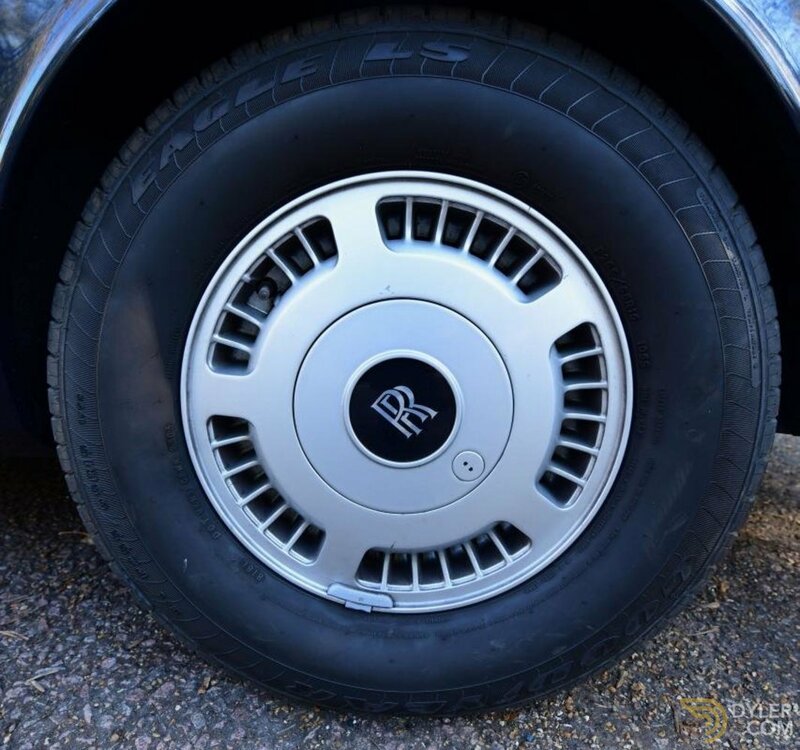 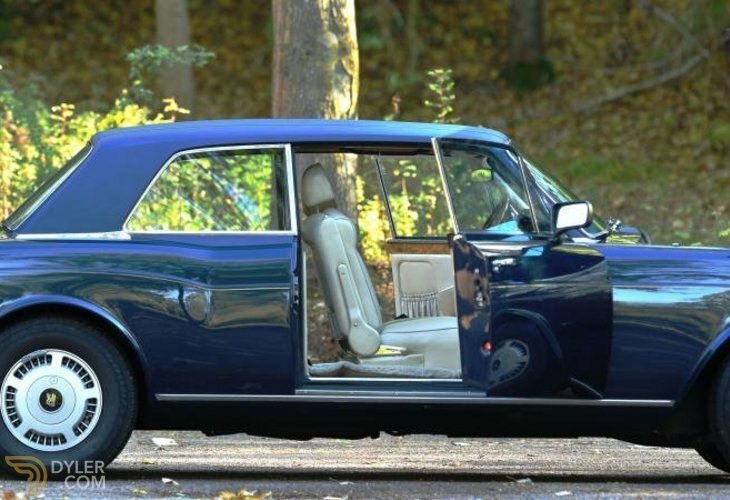 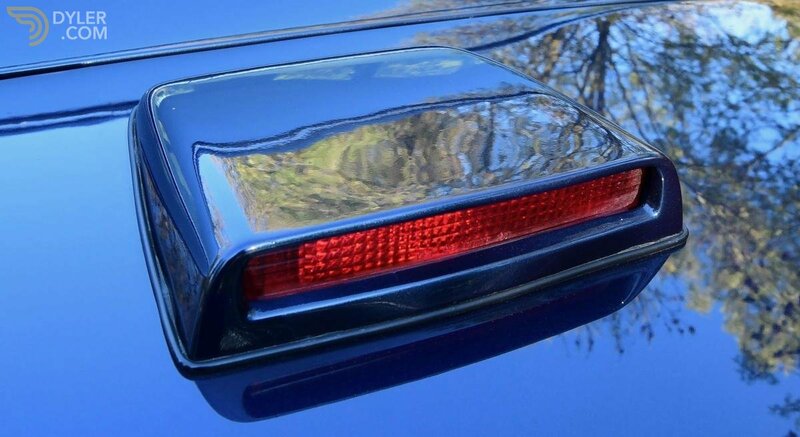 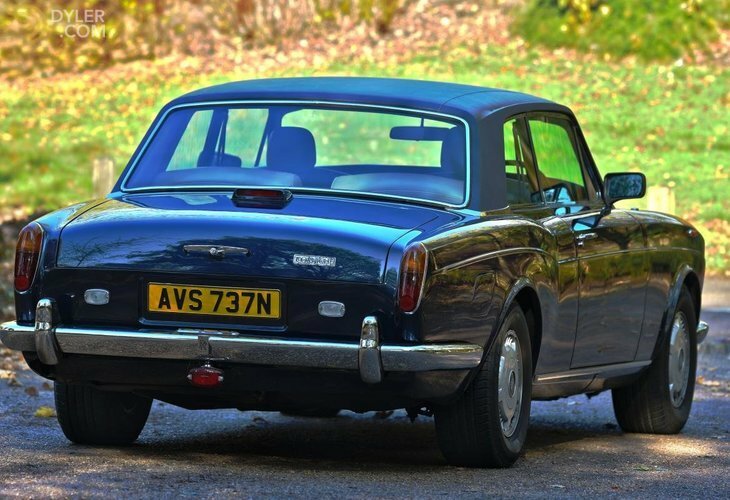 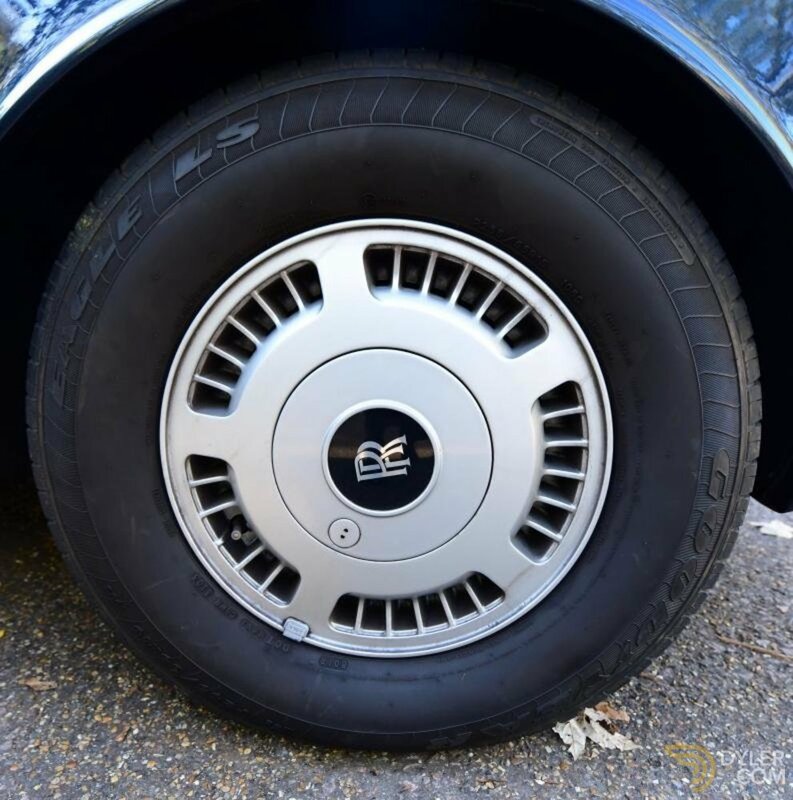 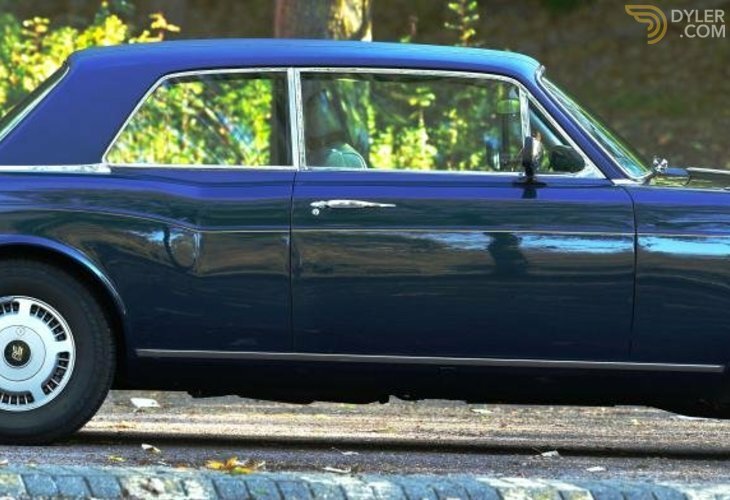 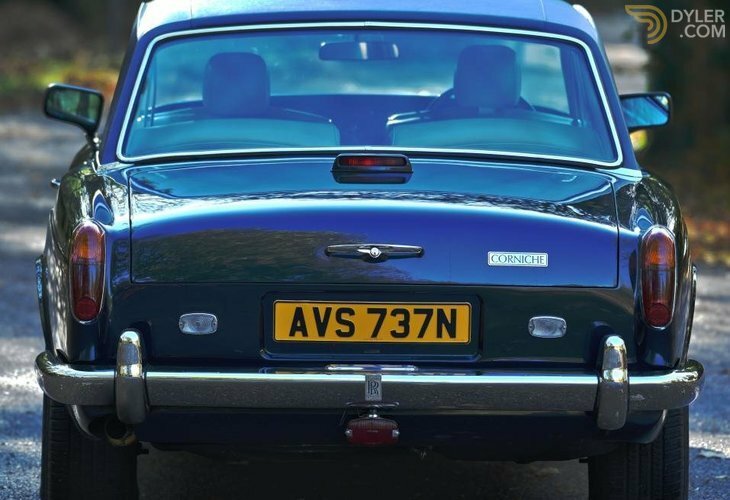 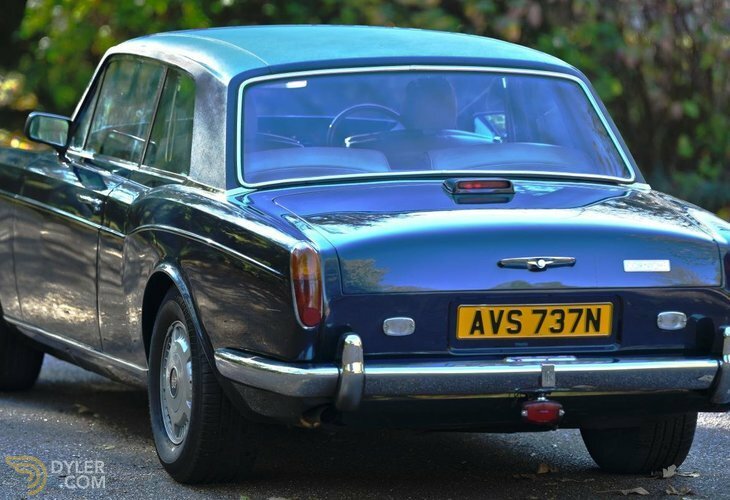 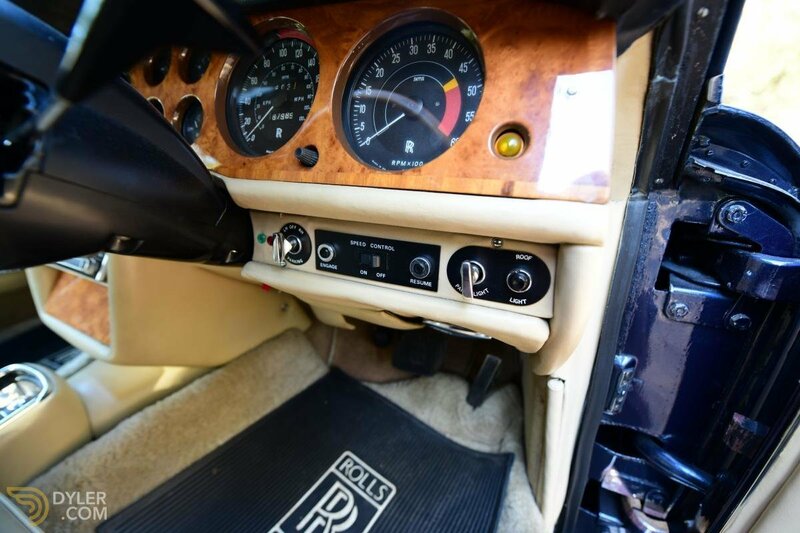 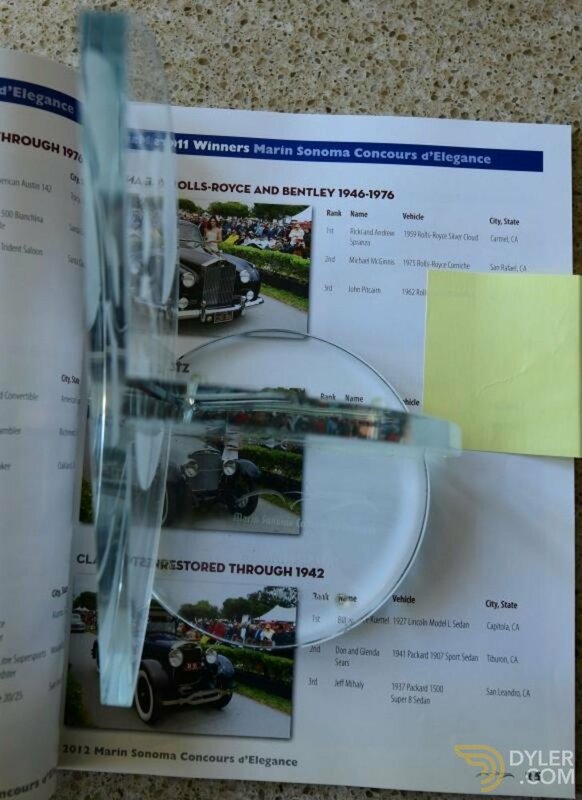 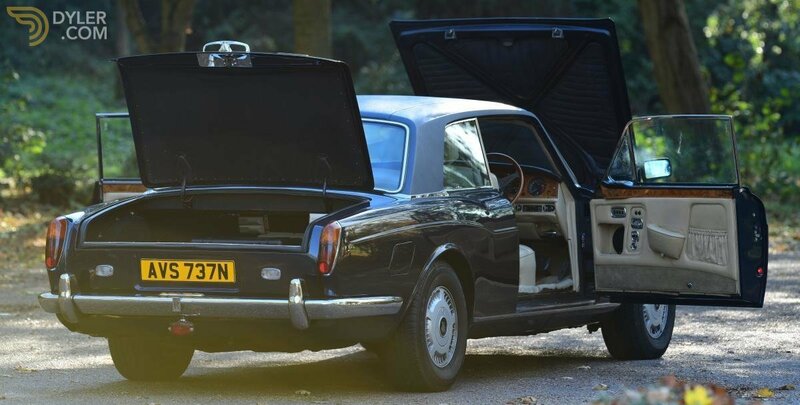 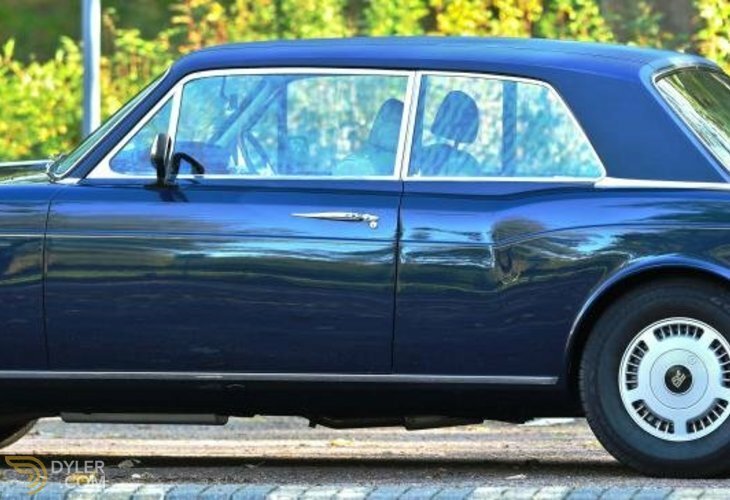 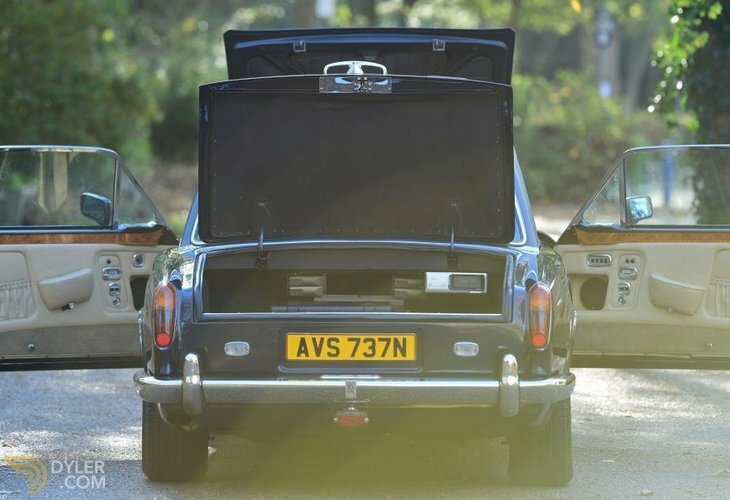 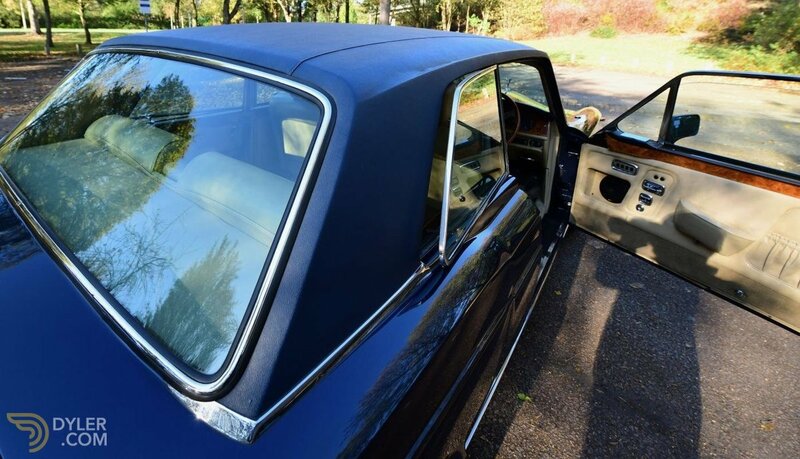 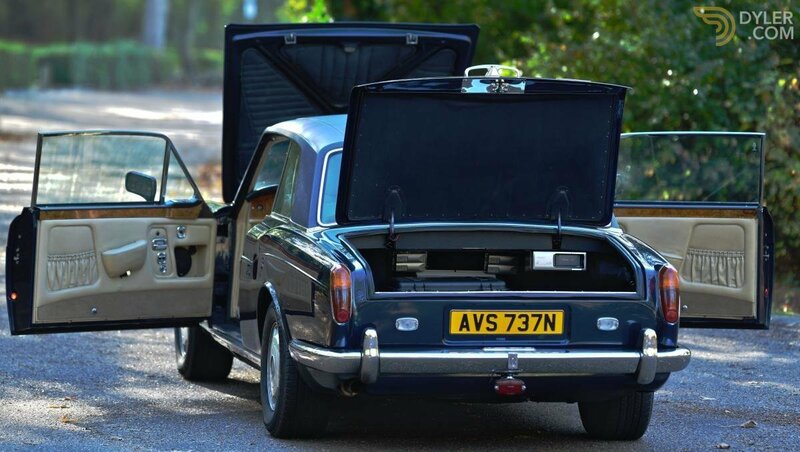 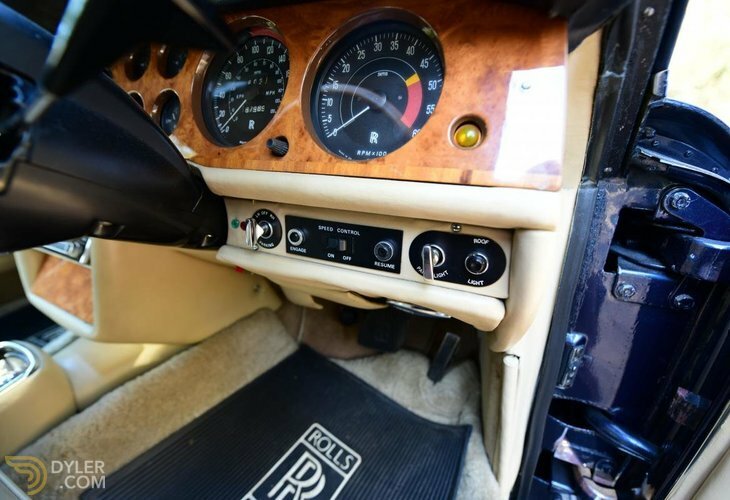 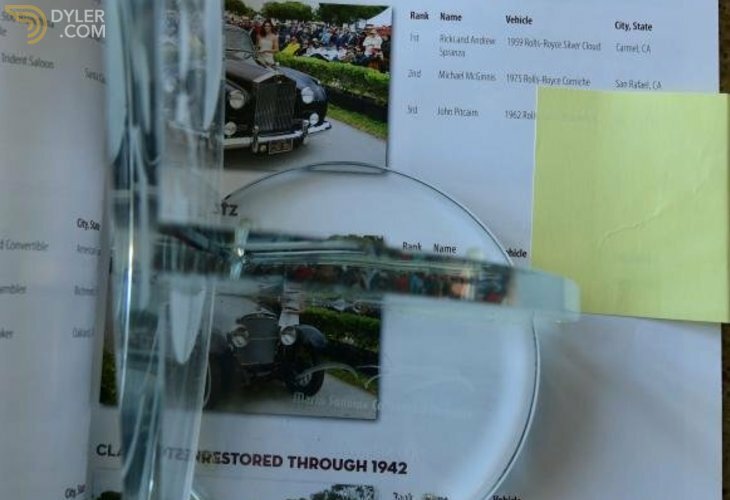 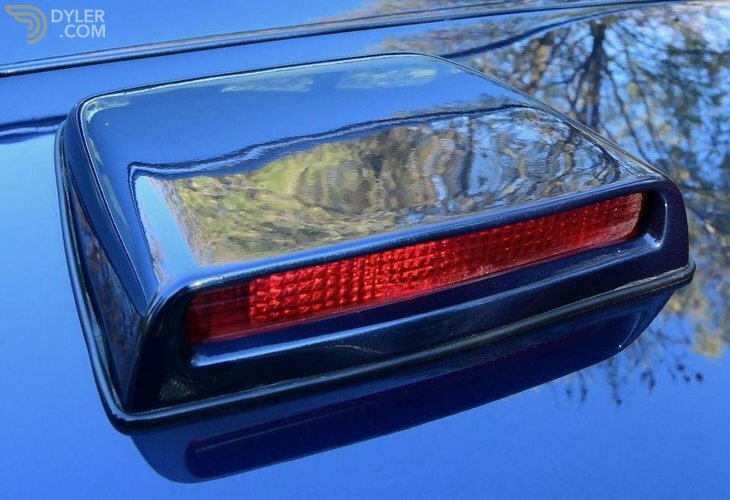 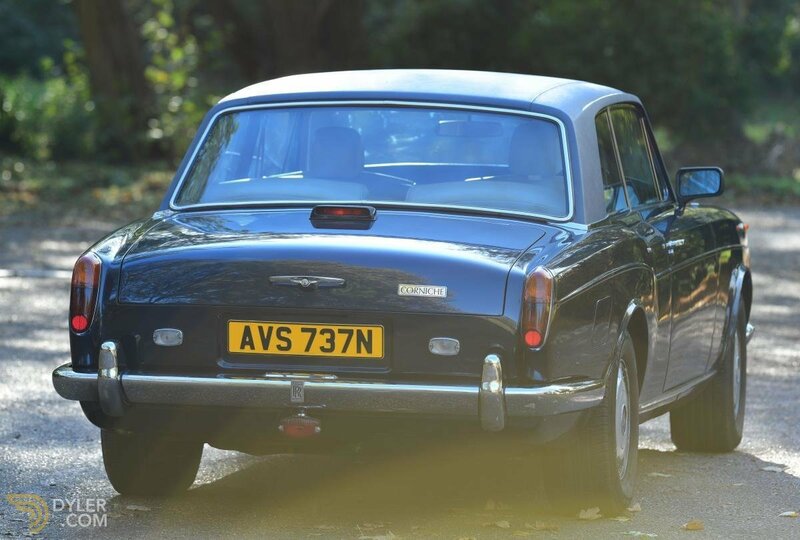 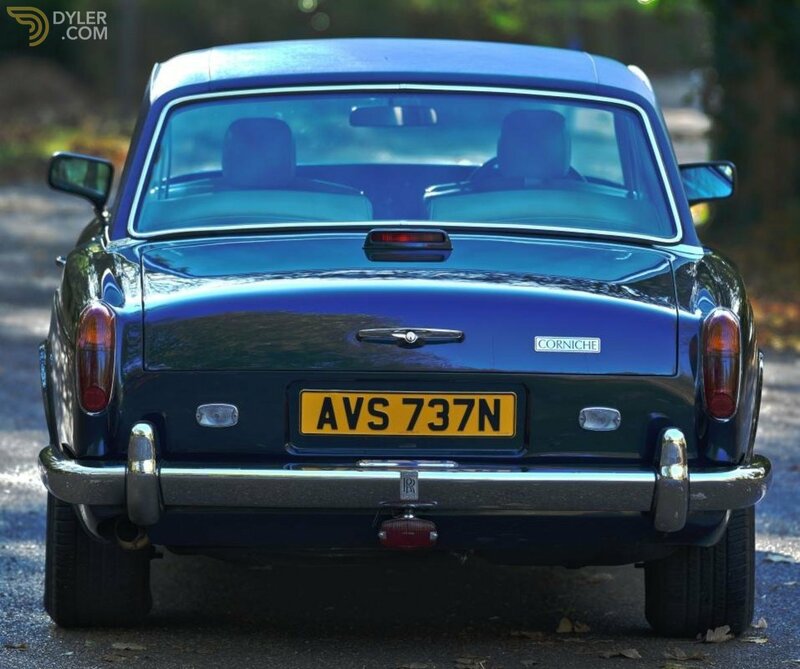 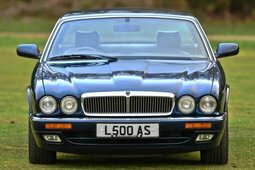 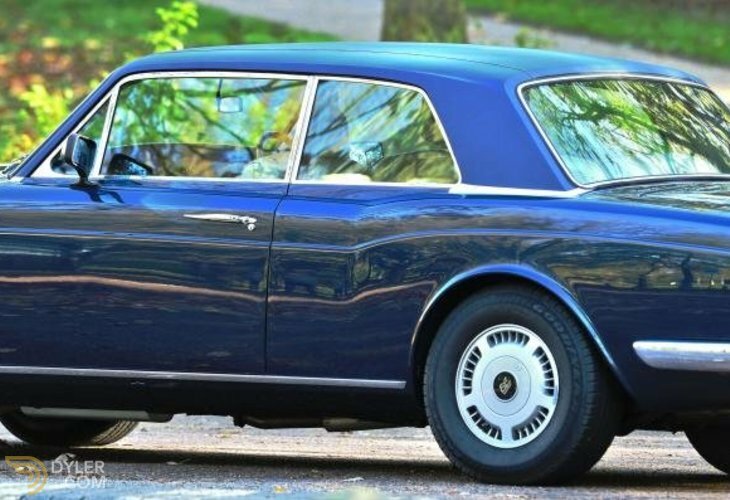 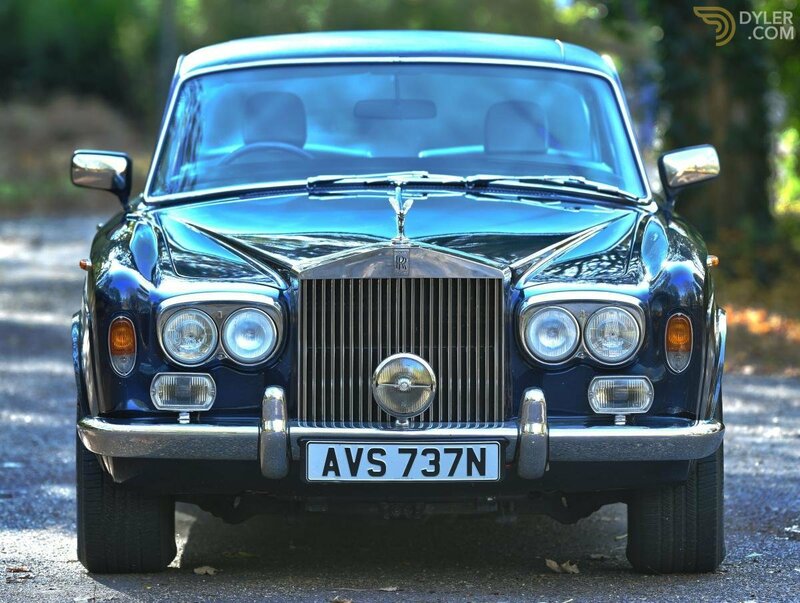 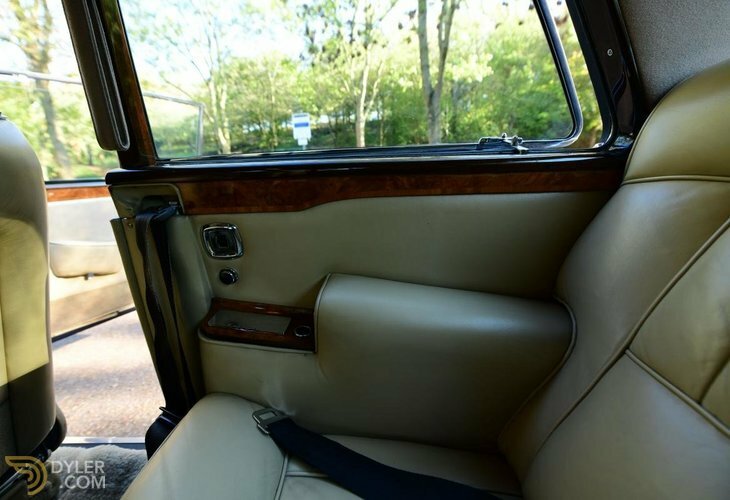 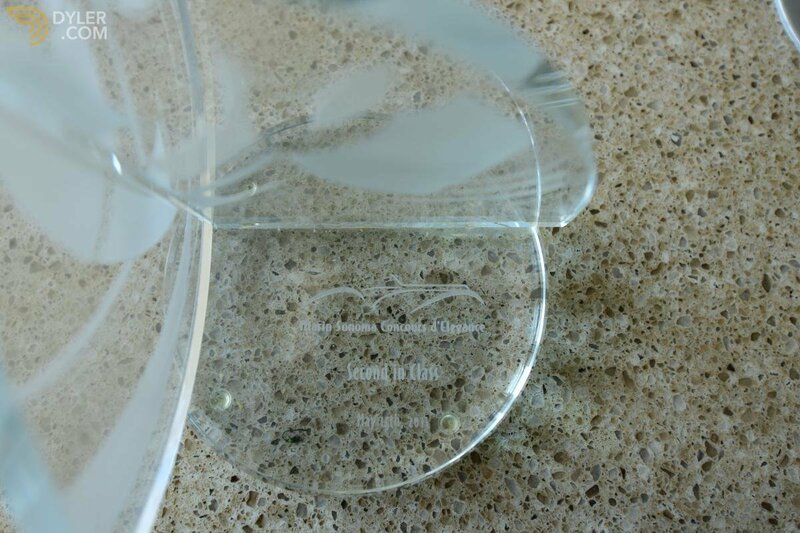 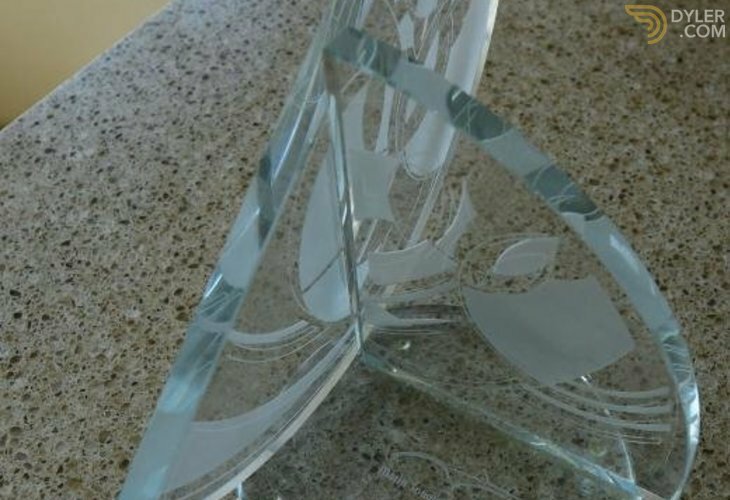 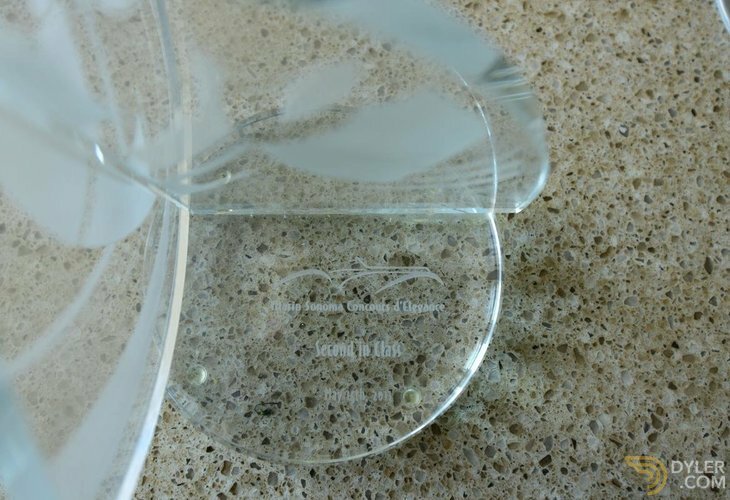 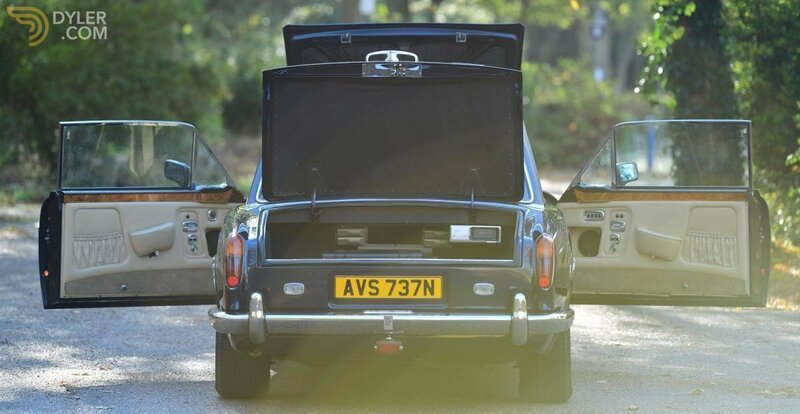 It’s current owner has looked after the corniche to the highest standard. 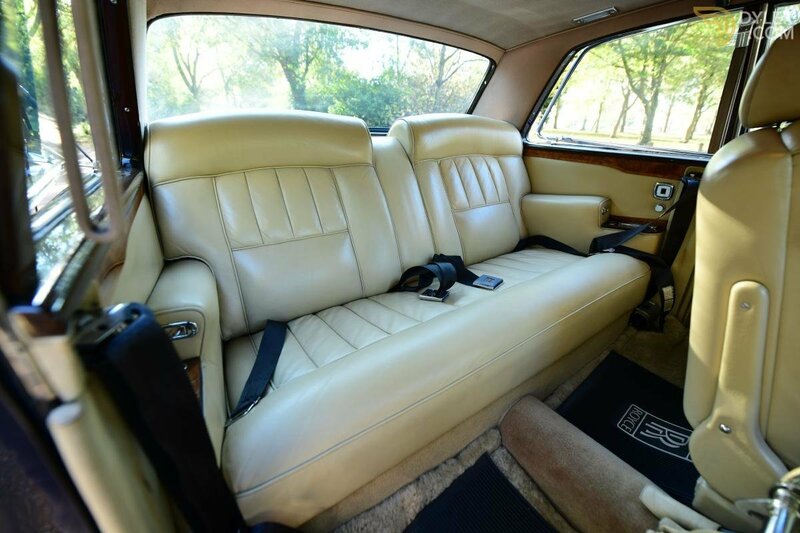 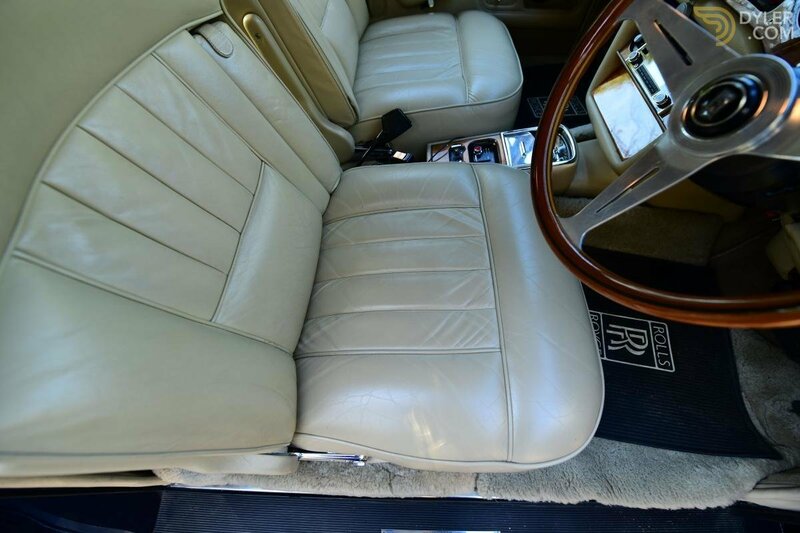 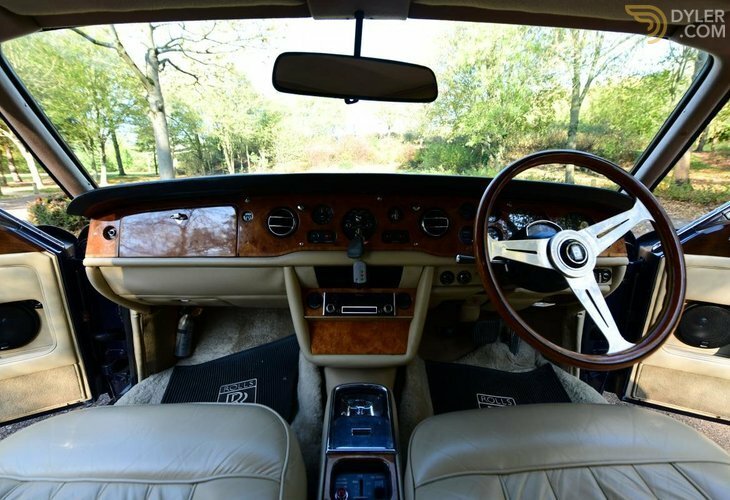 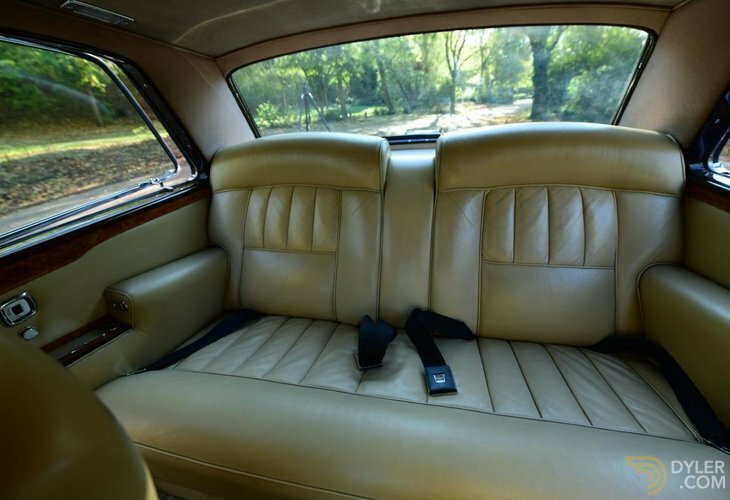 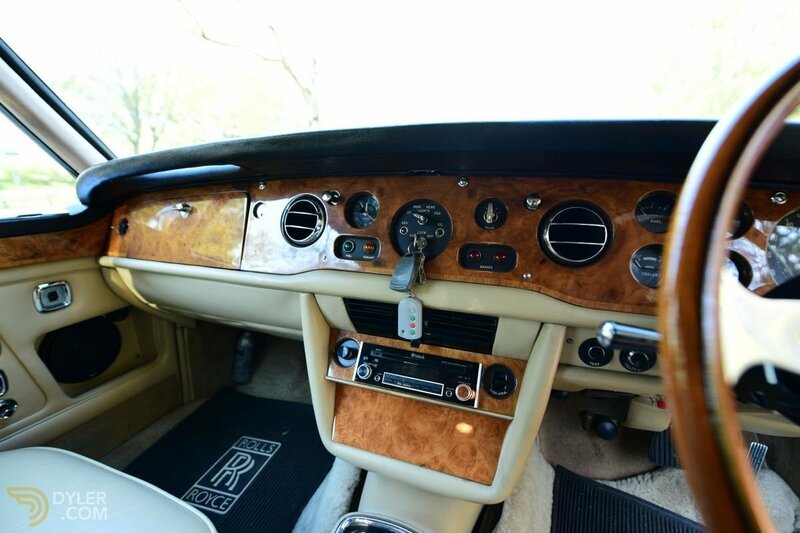 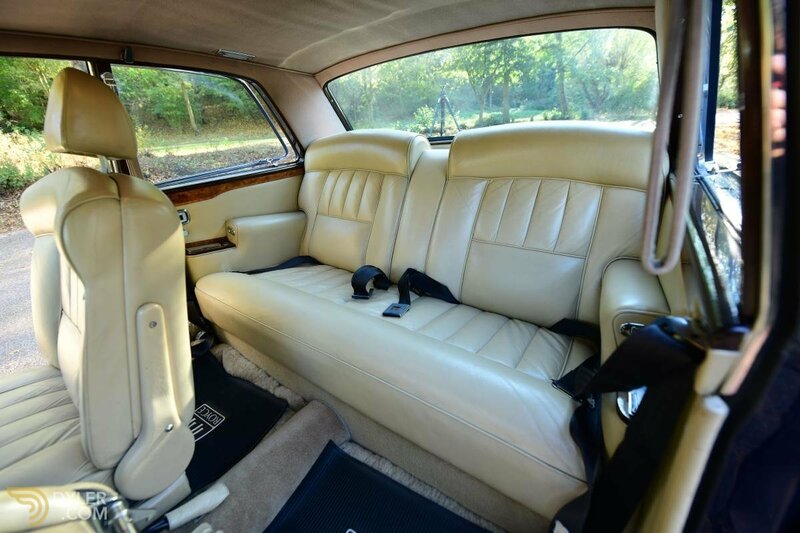 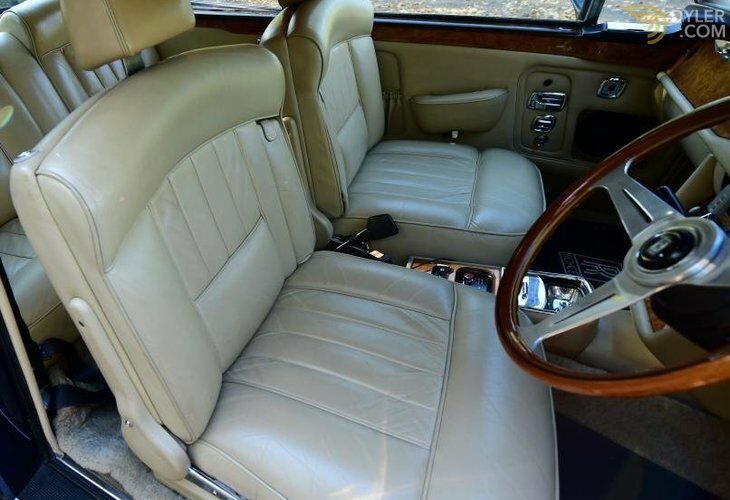 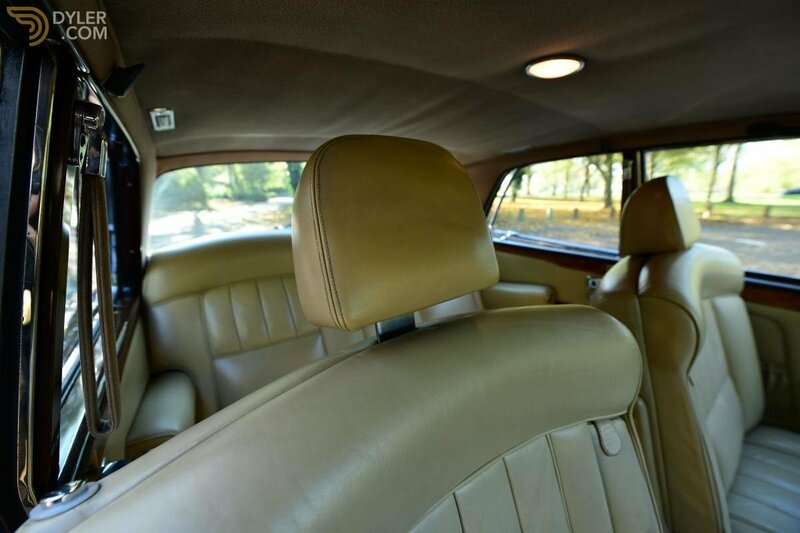 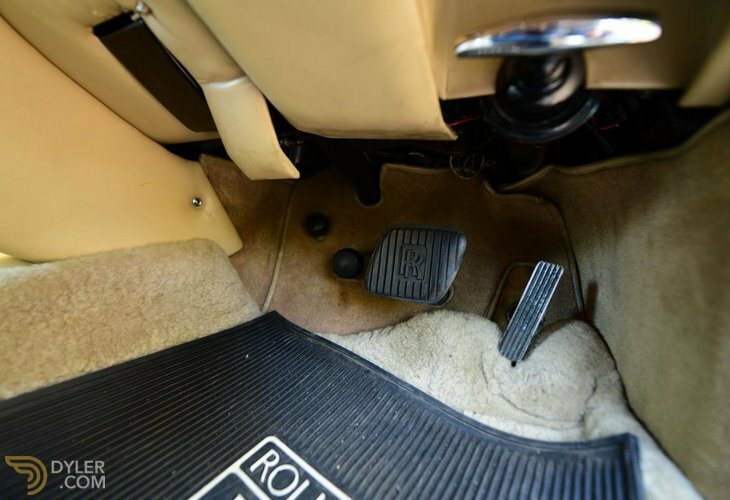 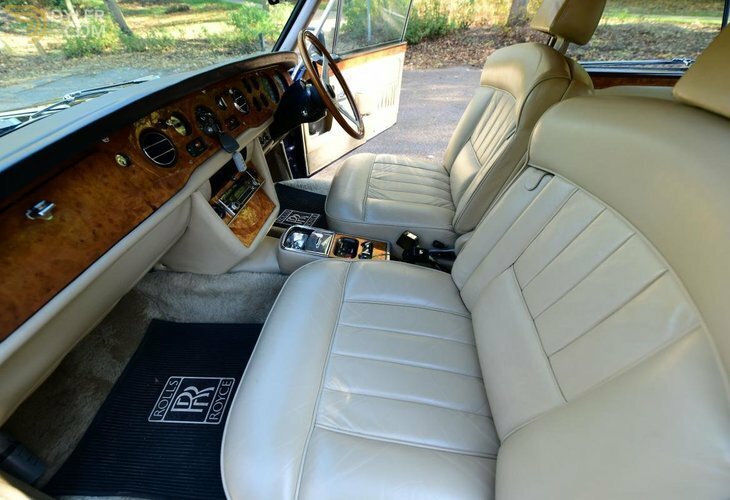 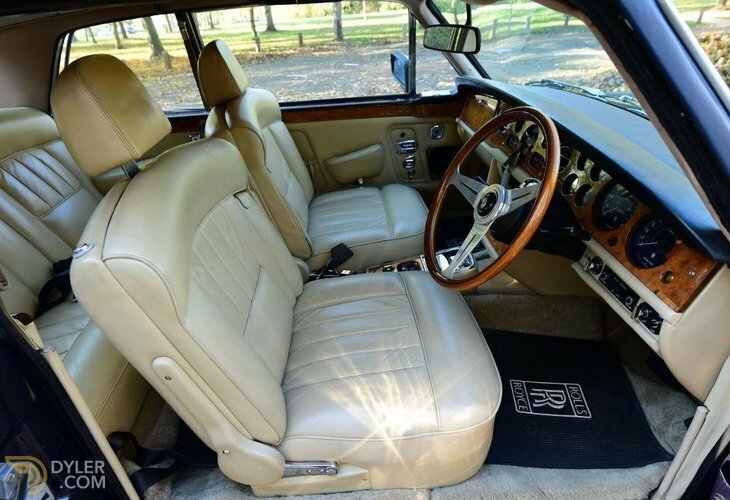 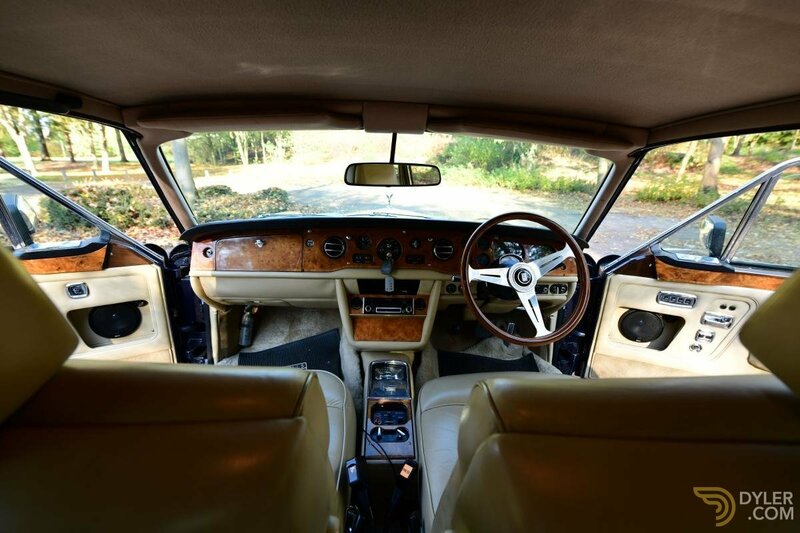 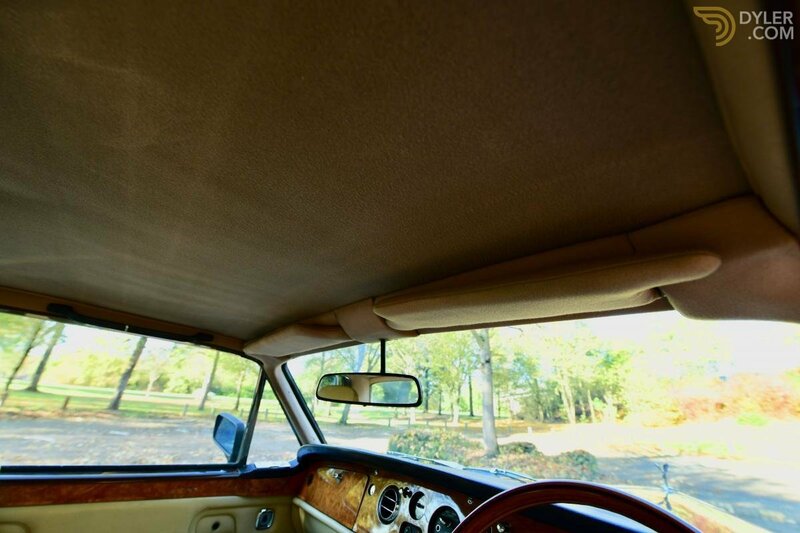 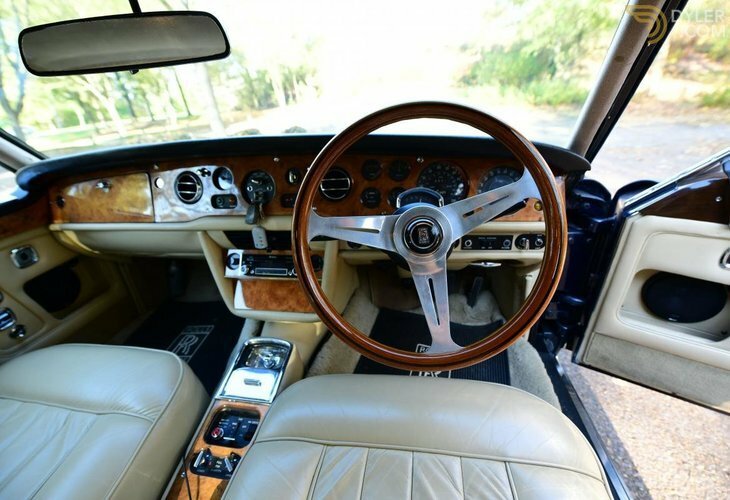 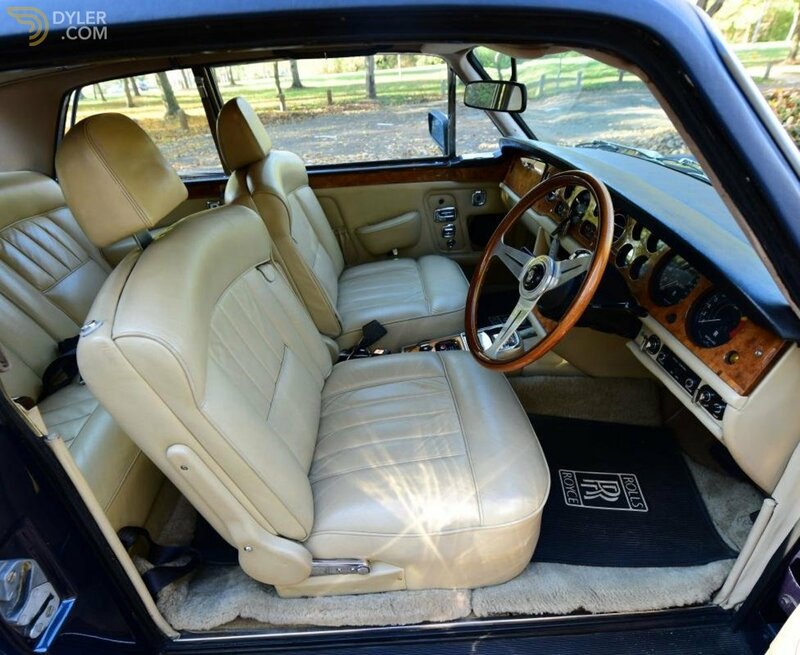 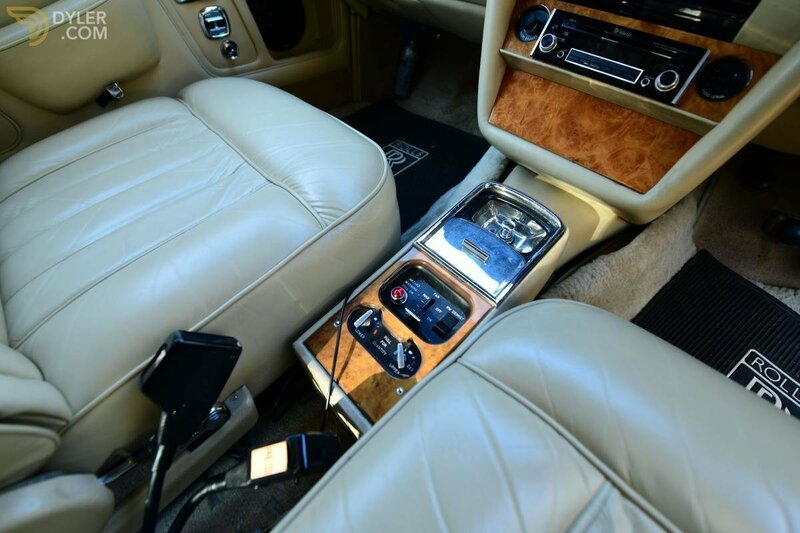 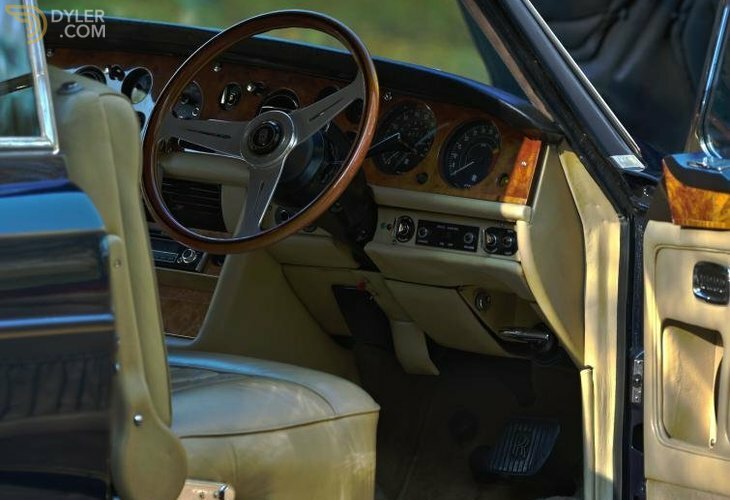 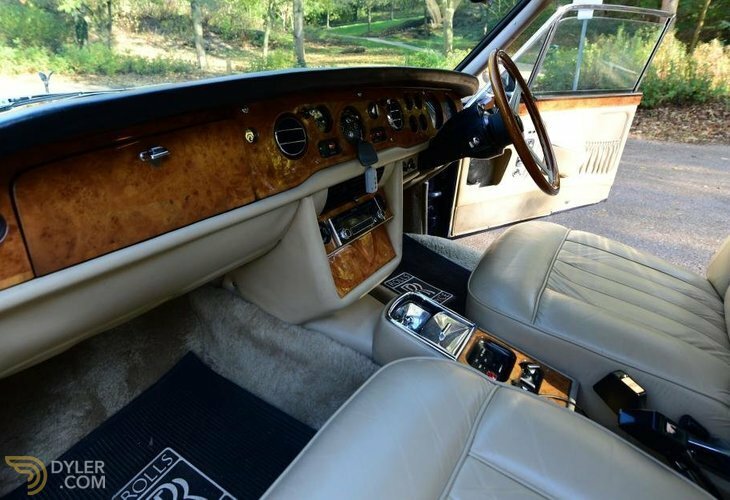 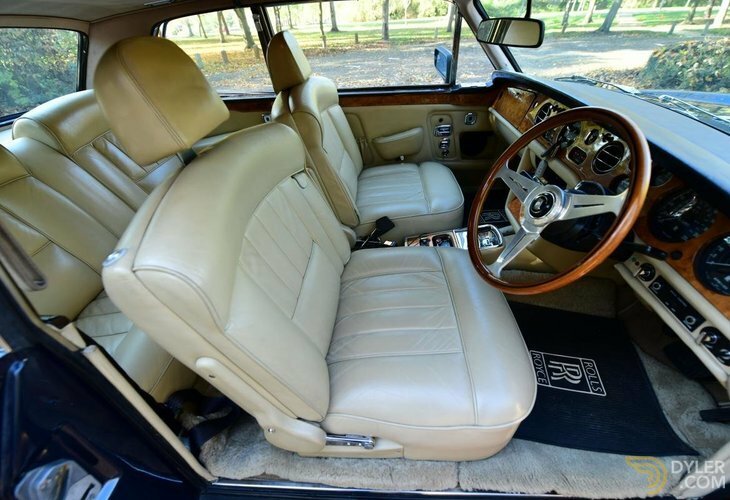 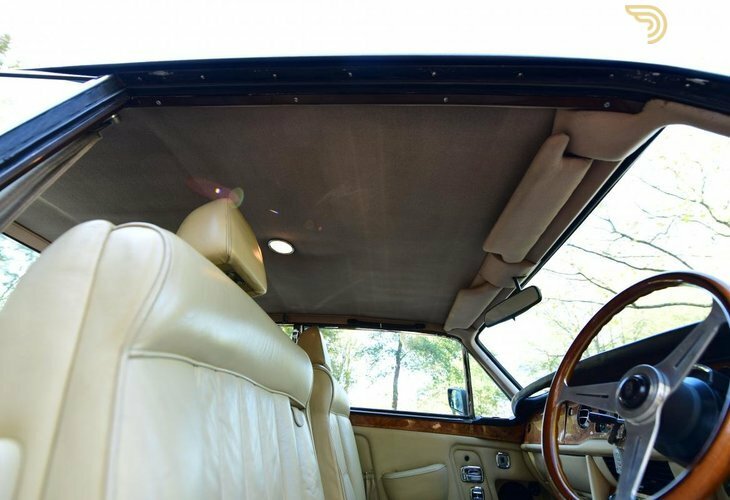 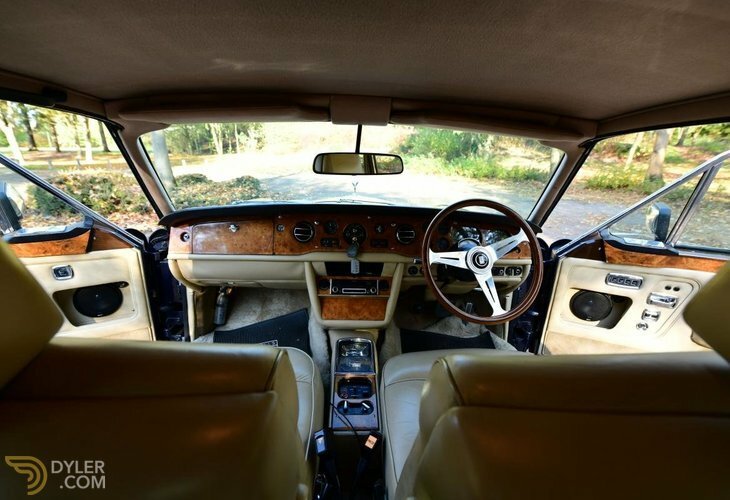 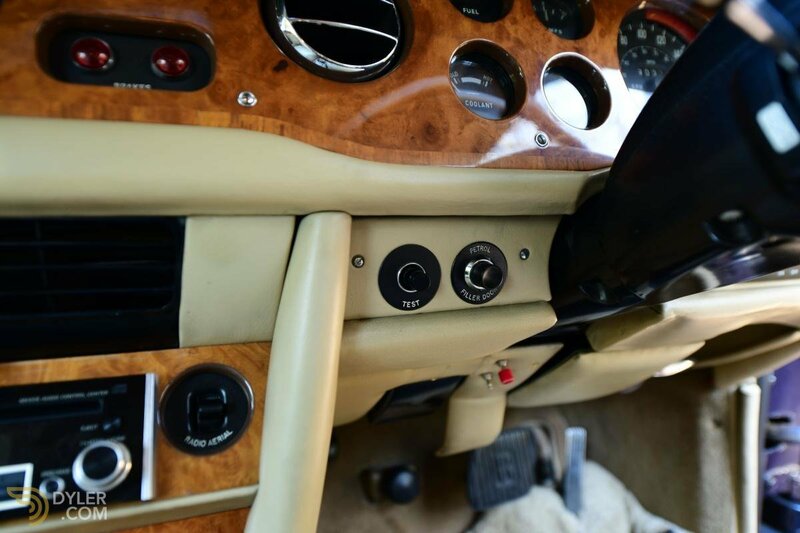 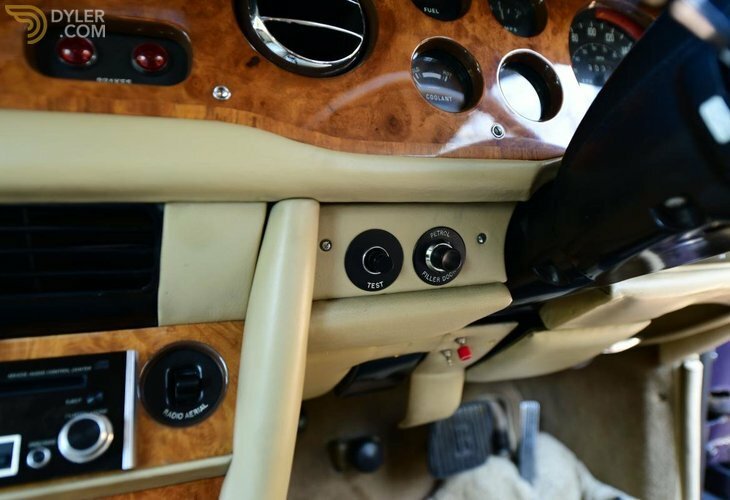 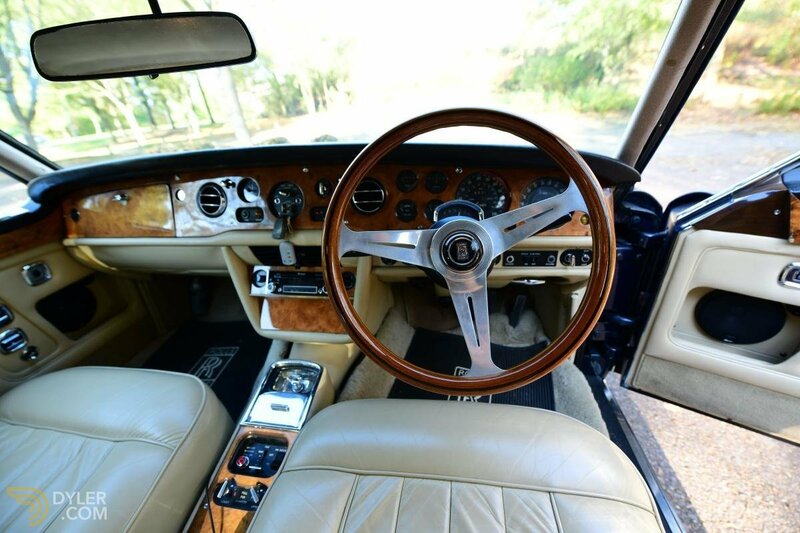 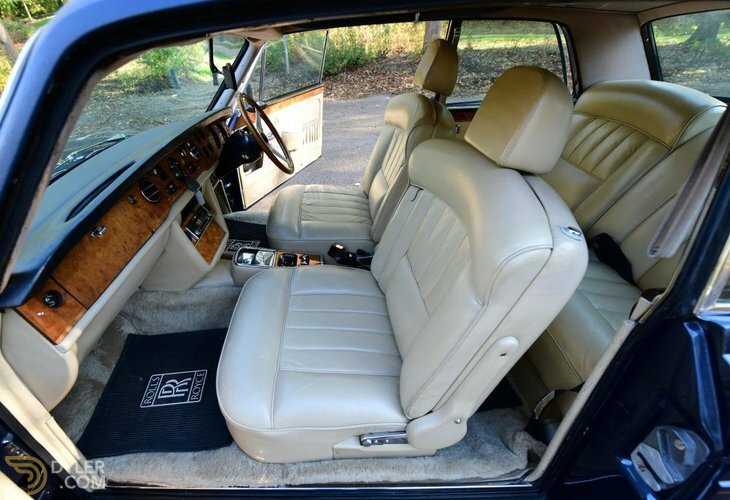 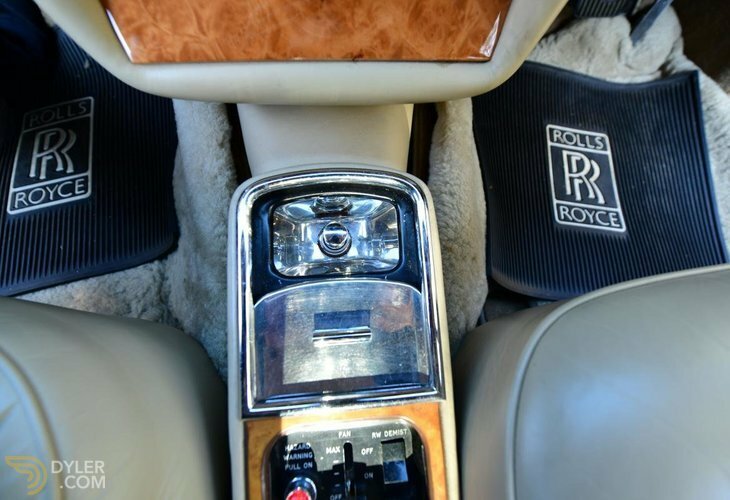 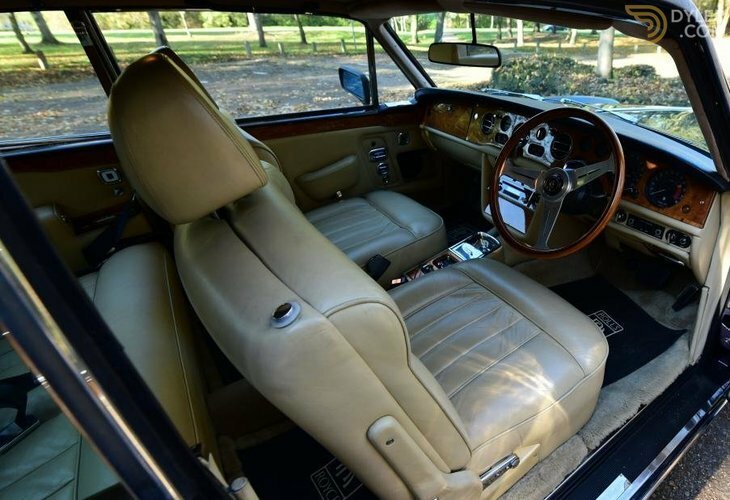 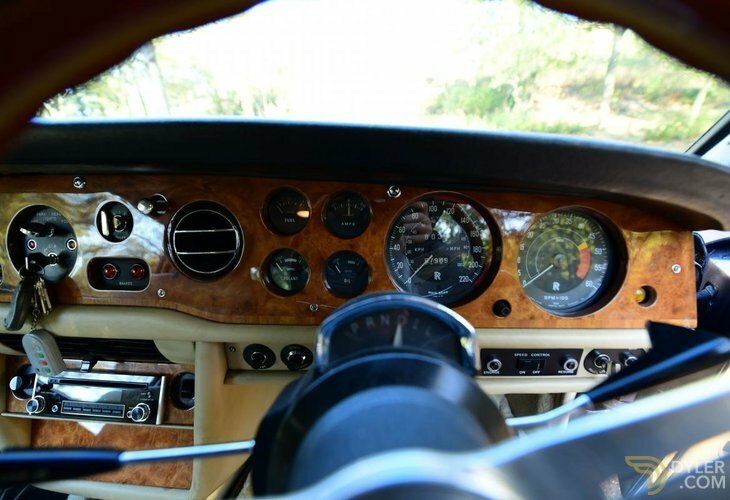 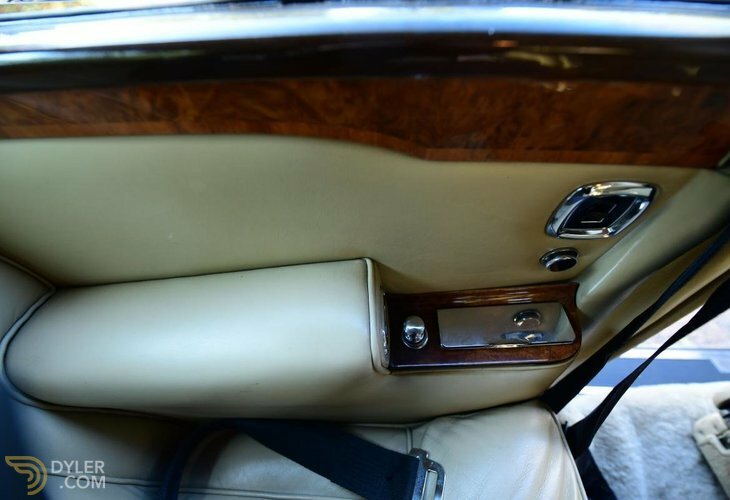 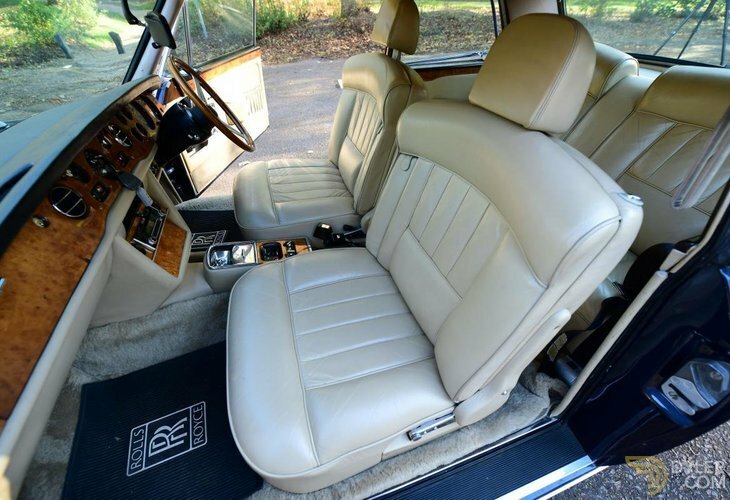 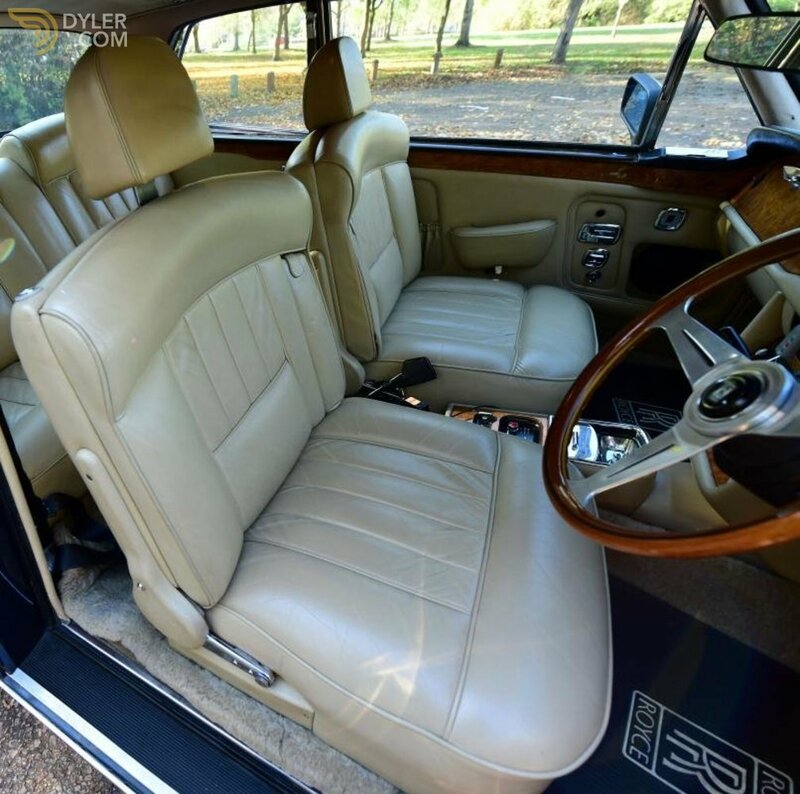 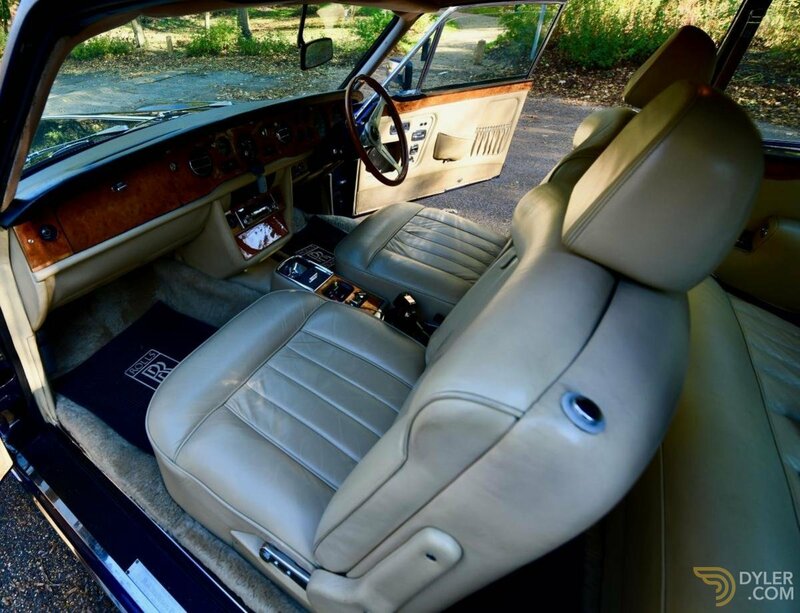 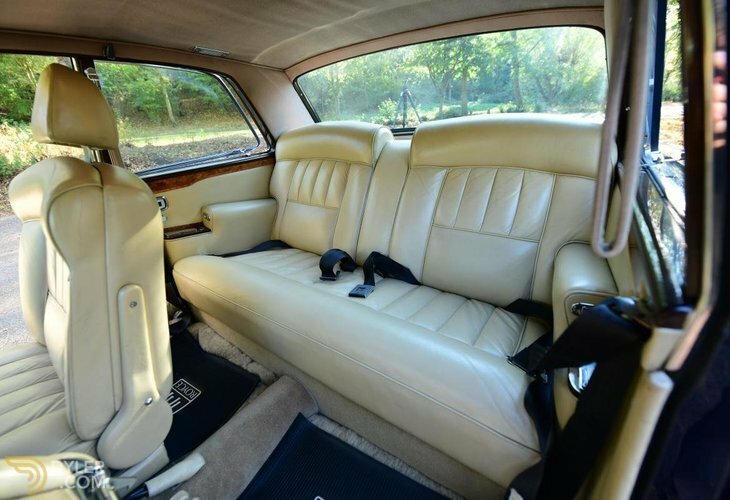 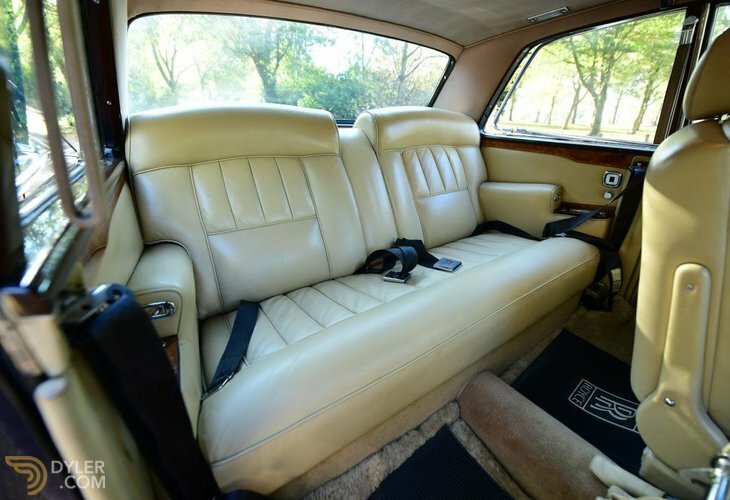 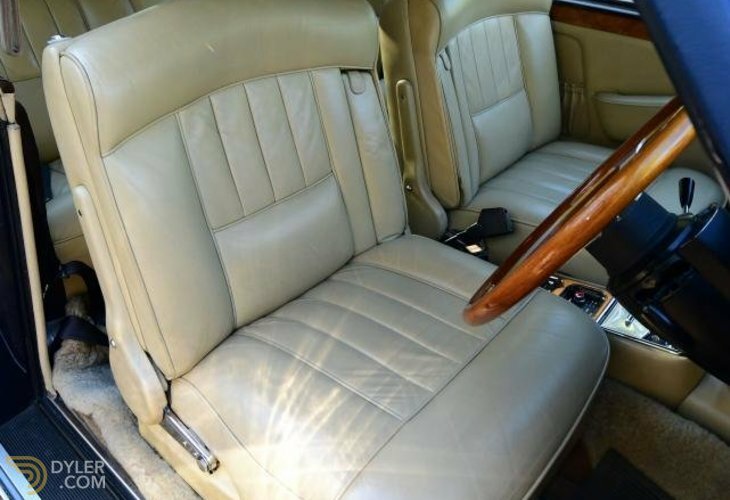 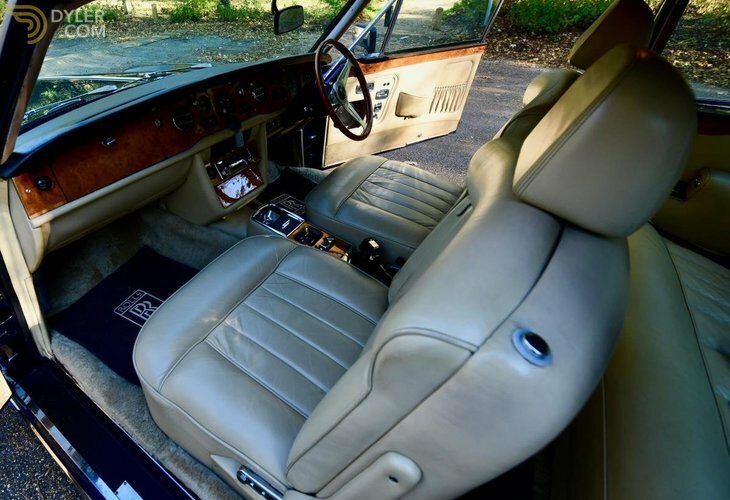 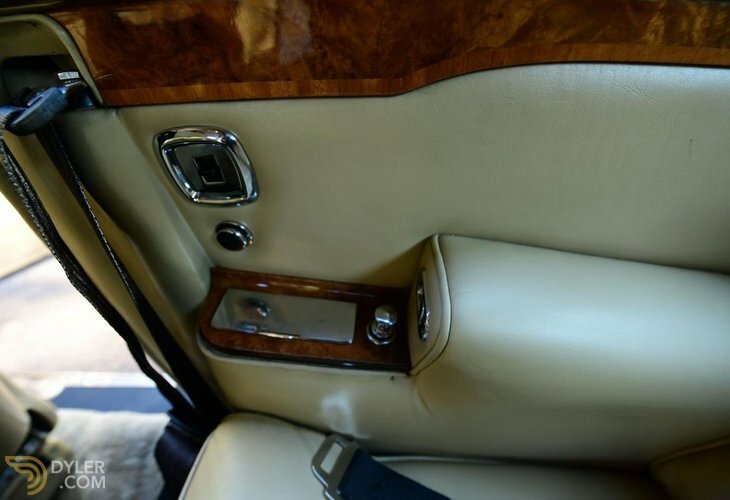 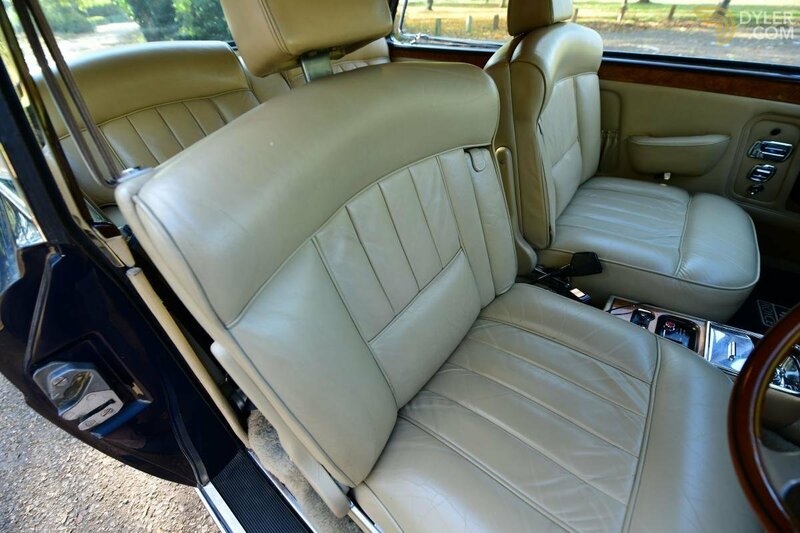 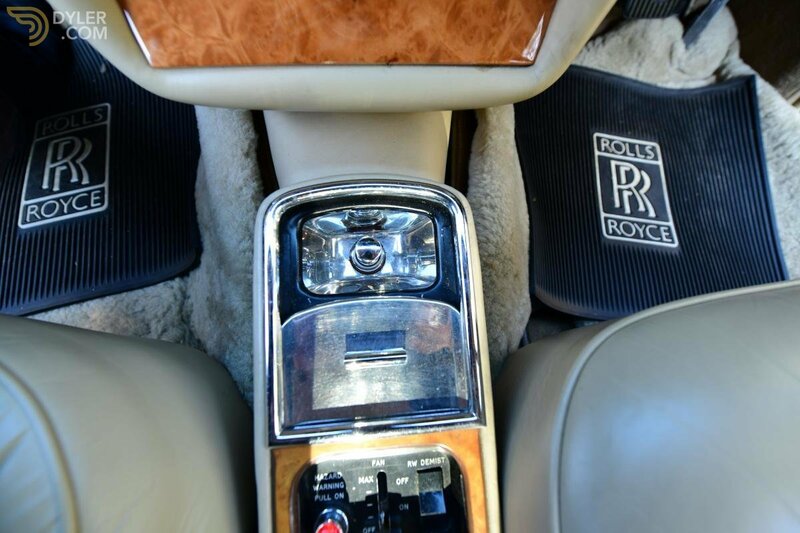 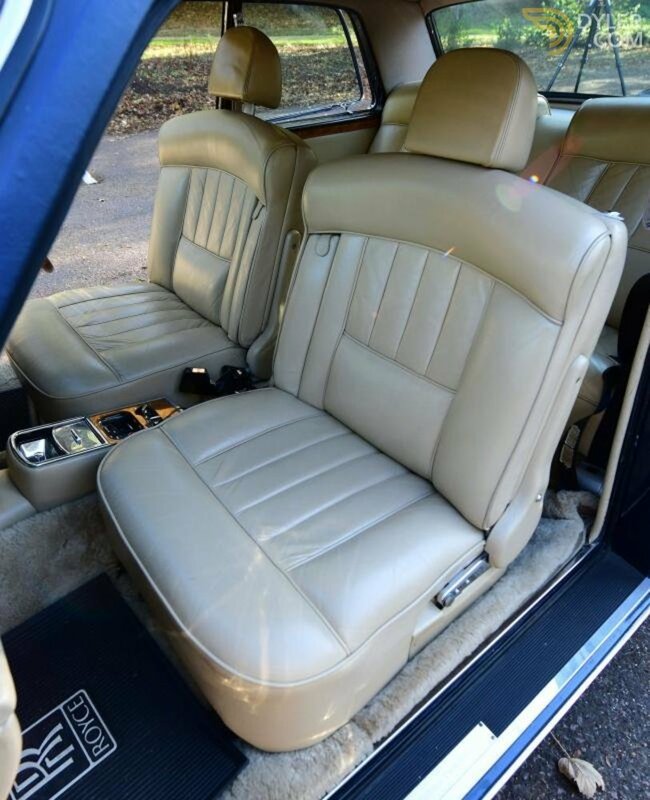 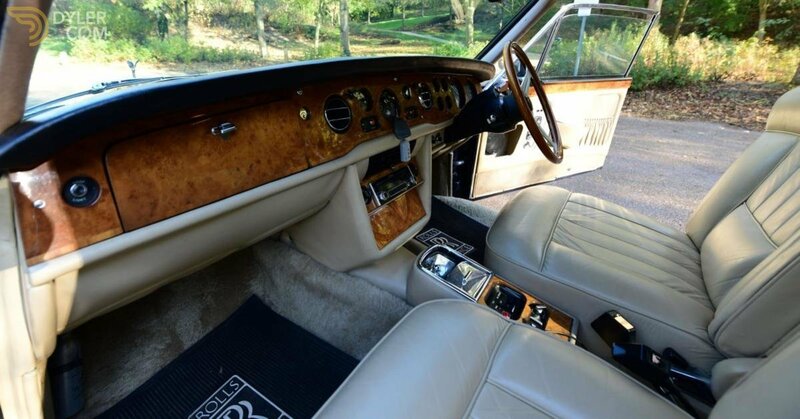 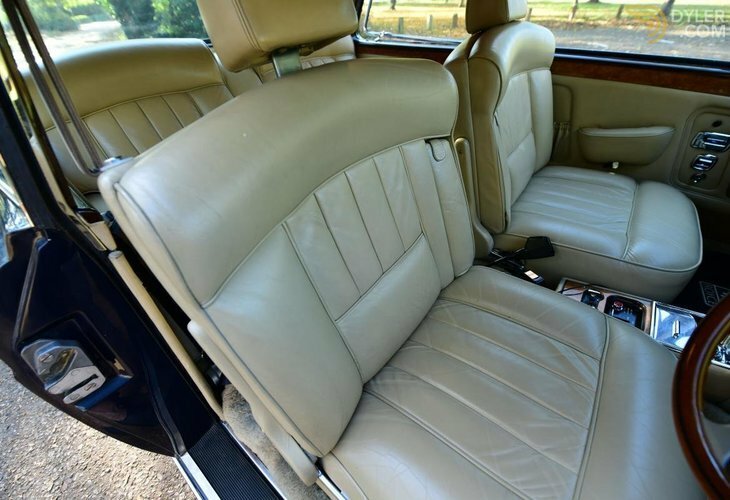 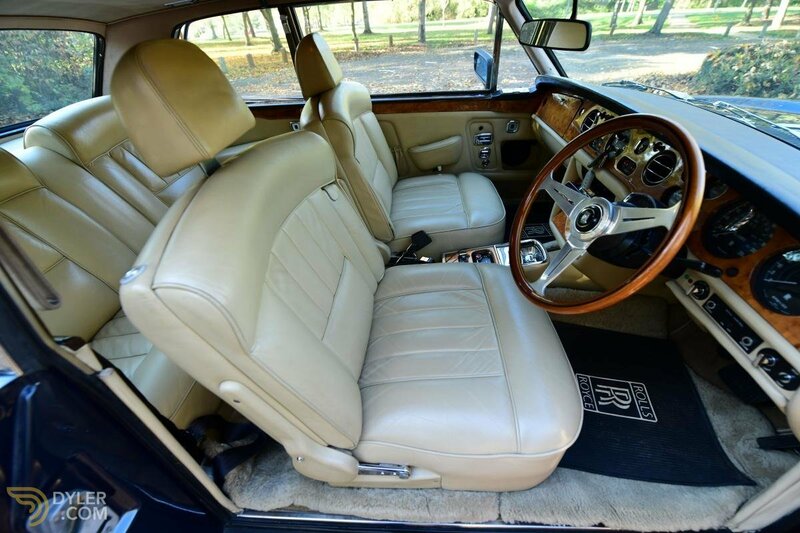 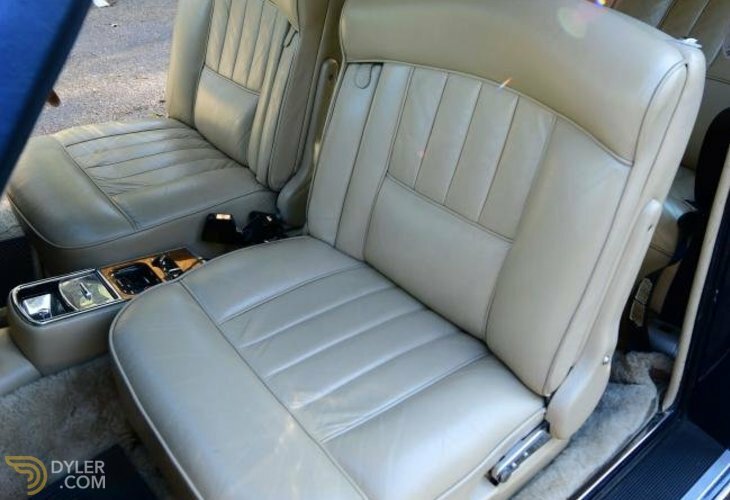 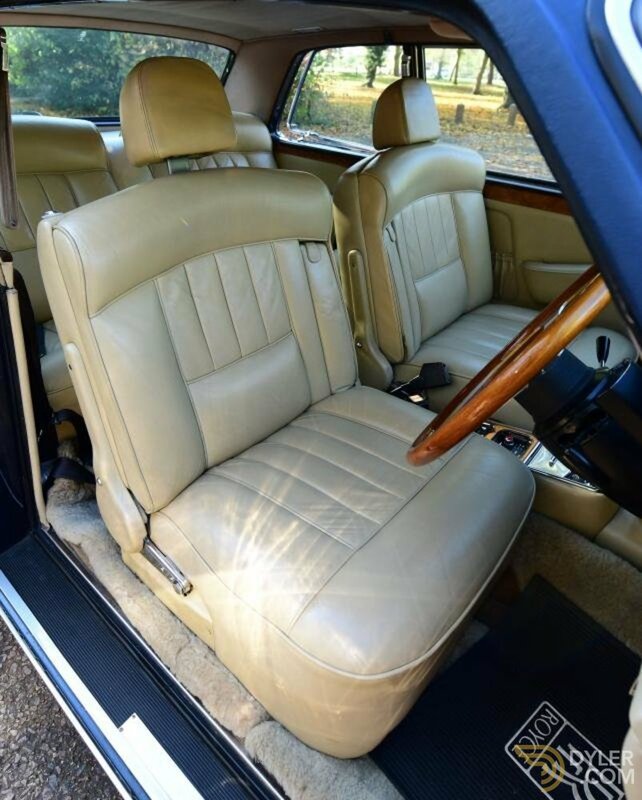 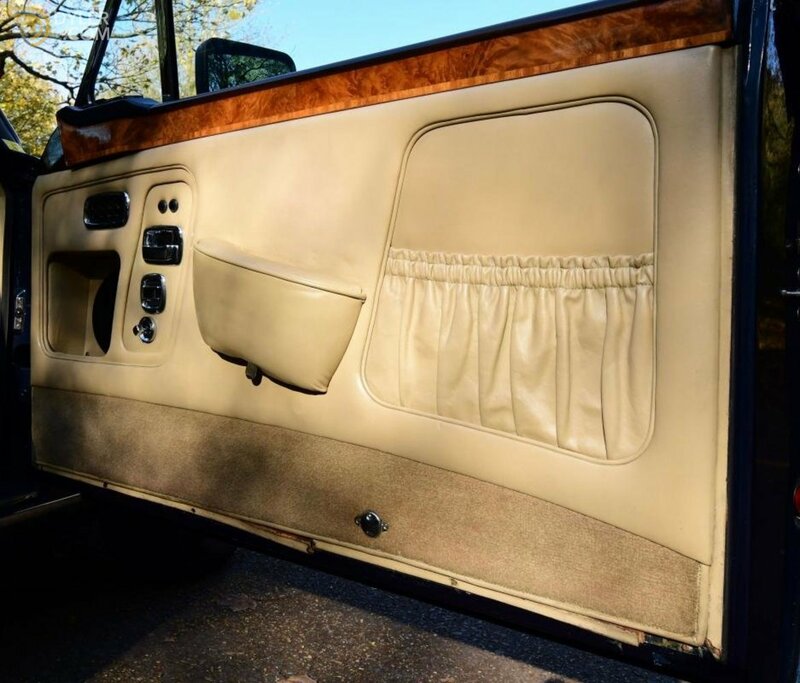 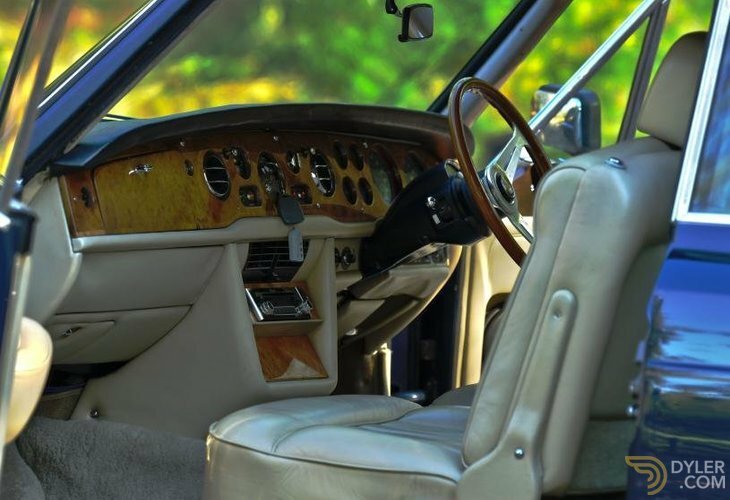 The interior is the same story and is in showroom condition, finshed in beige leather.